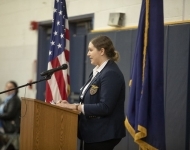 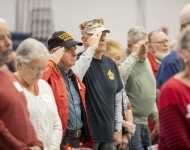 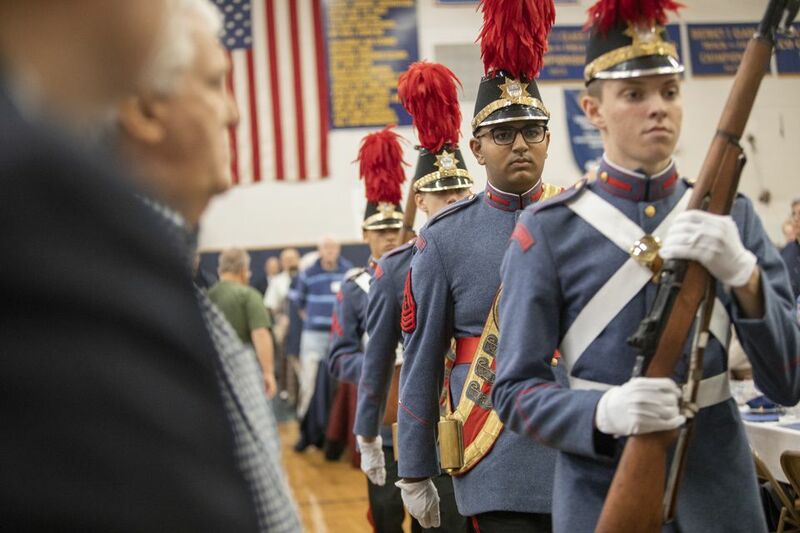 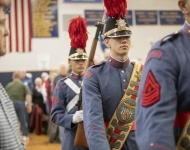 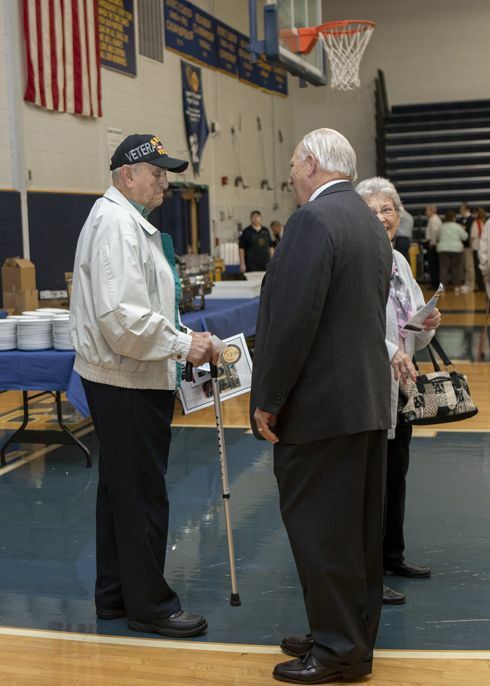 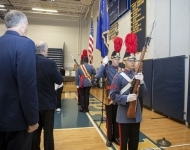 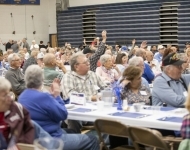 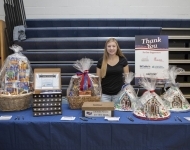 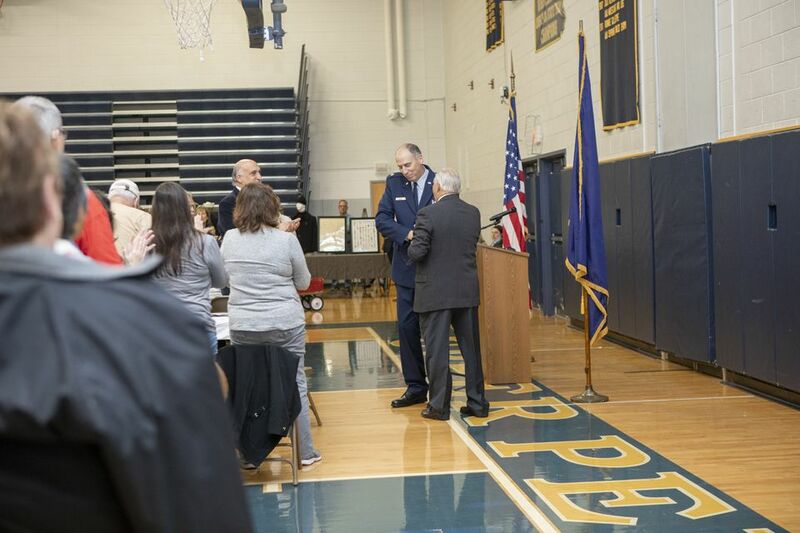 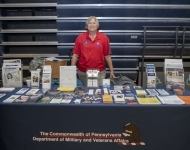 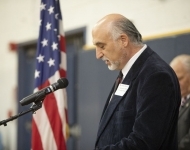 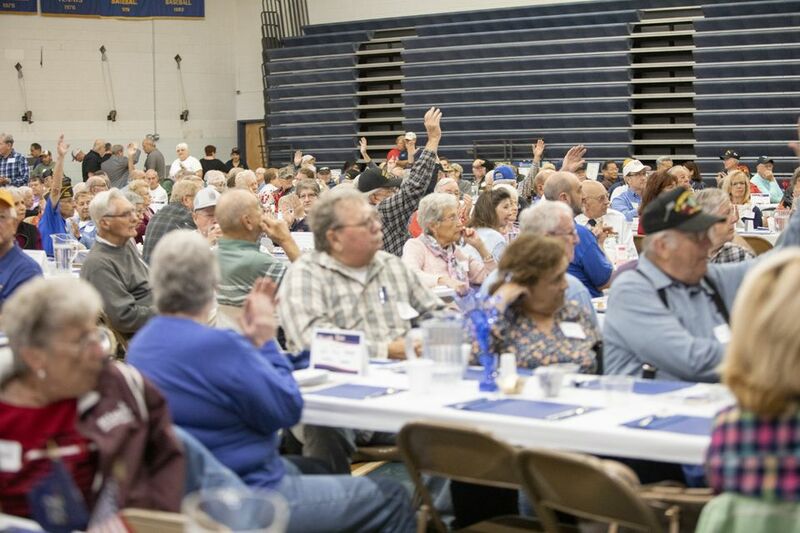 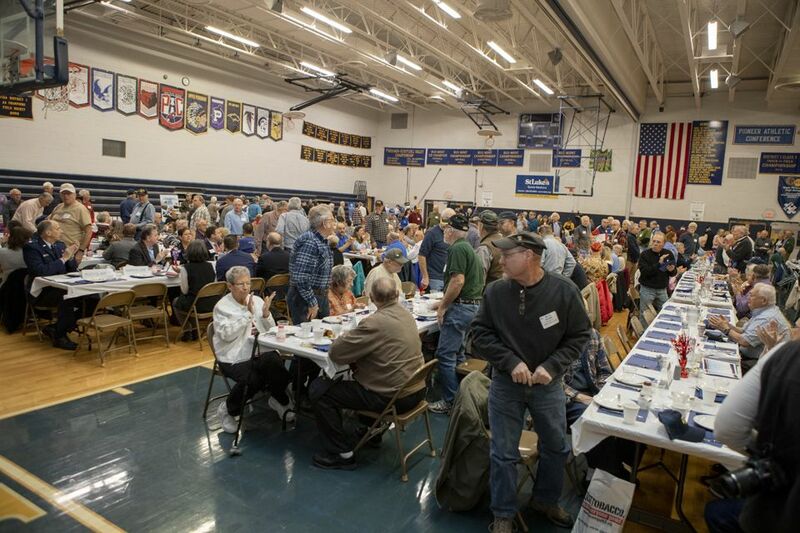 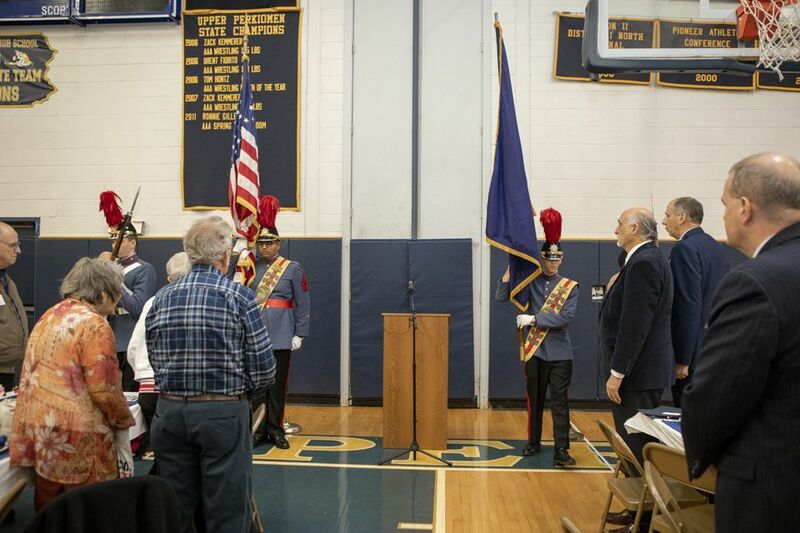 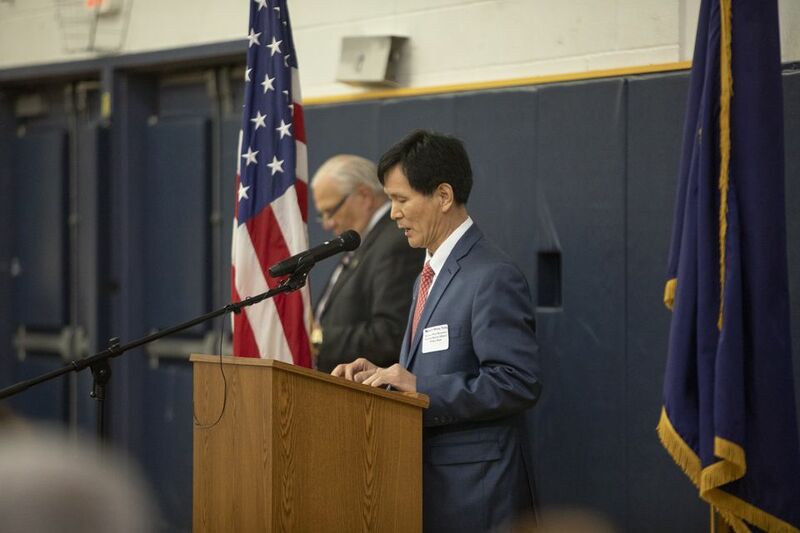 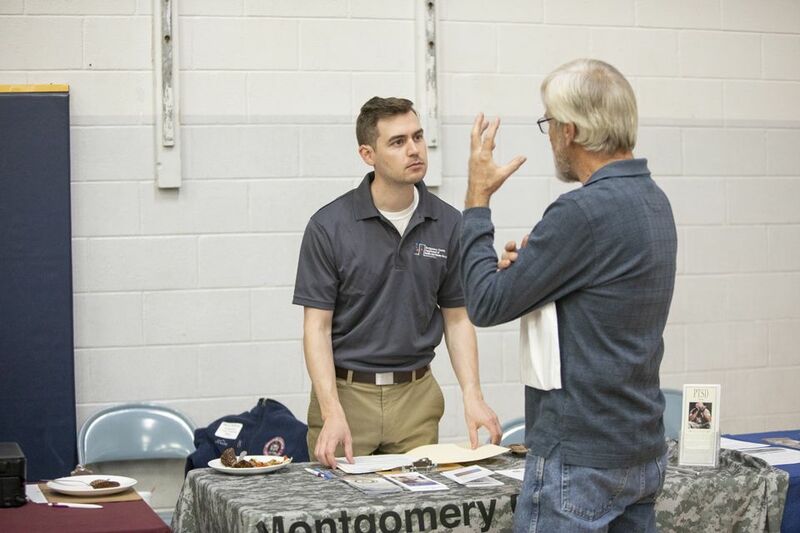 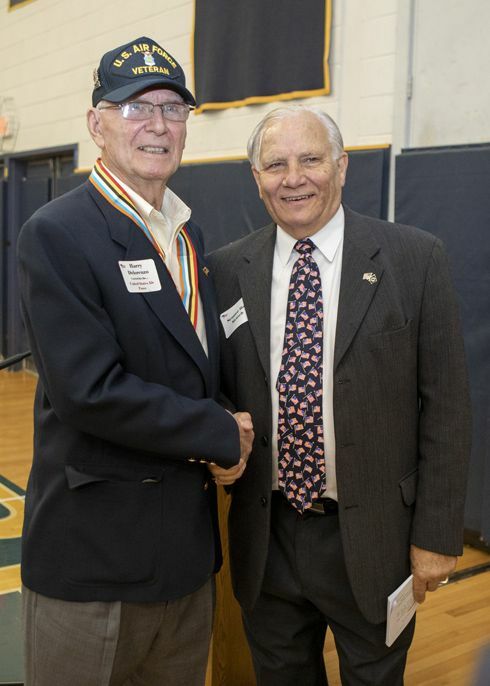 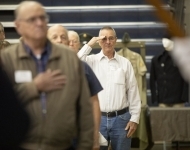 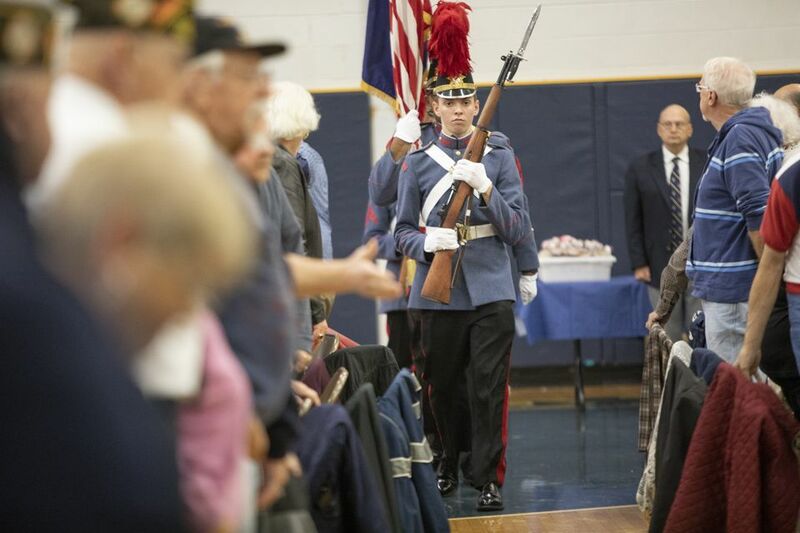 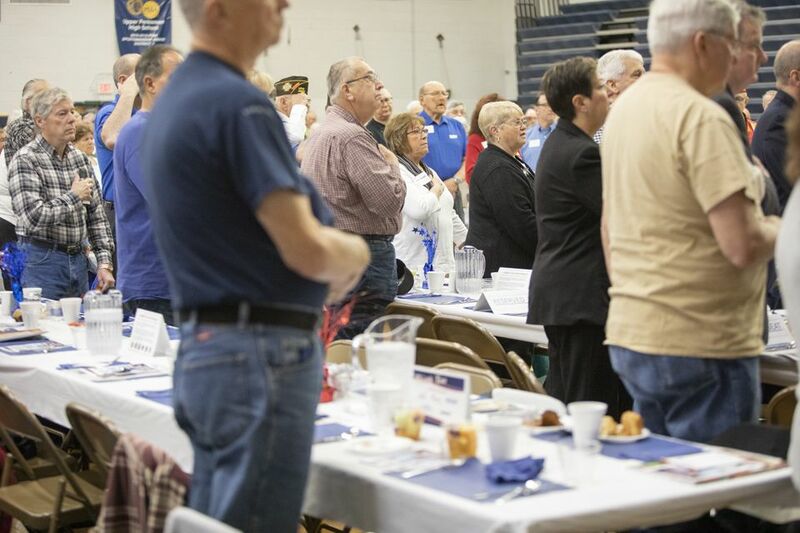 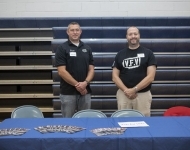 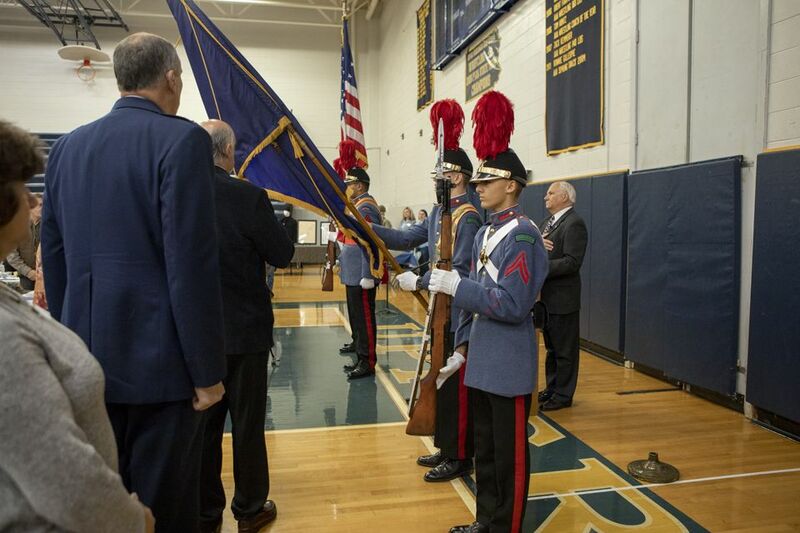 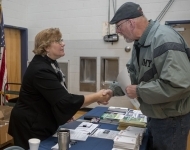 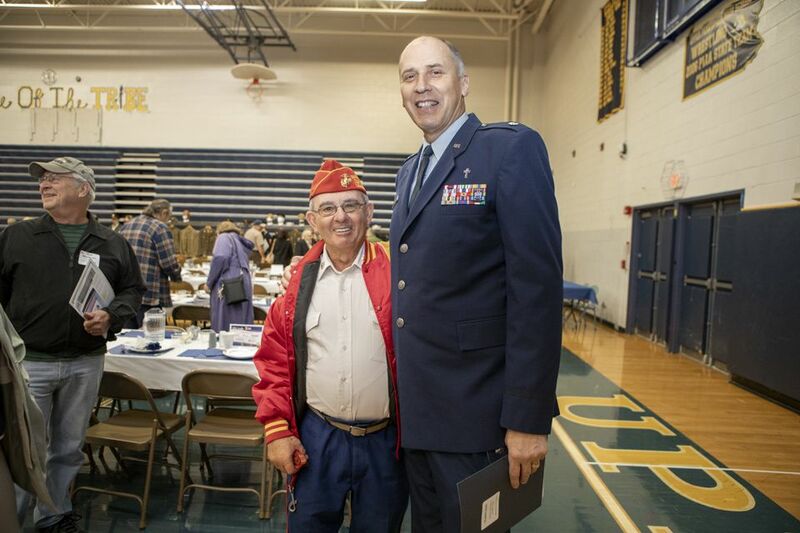 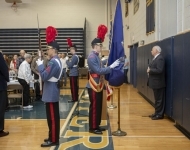 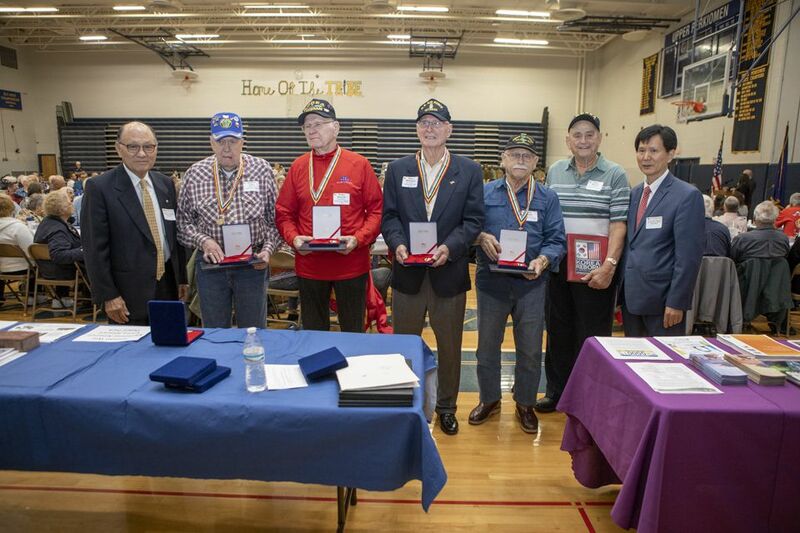 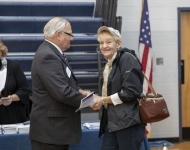 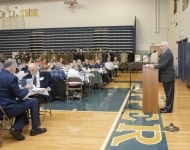 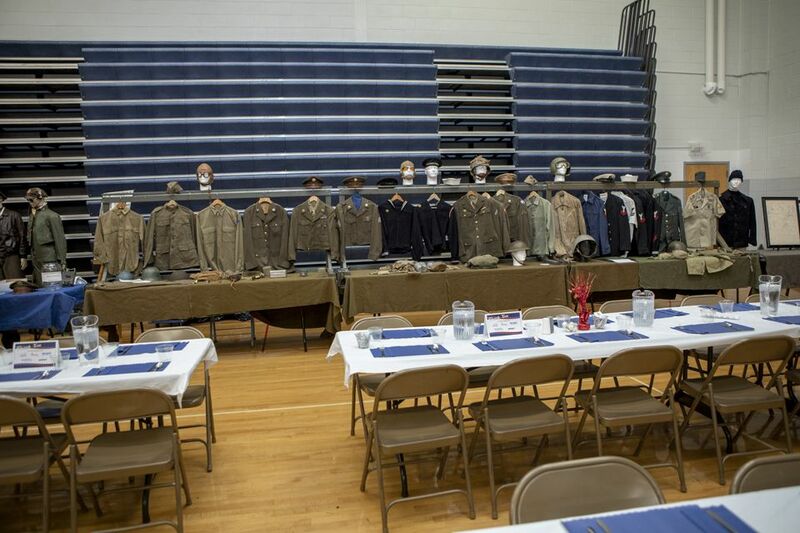 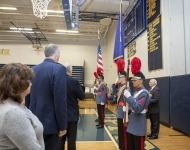 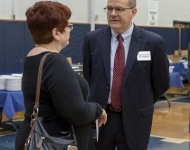 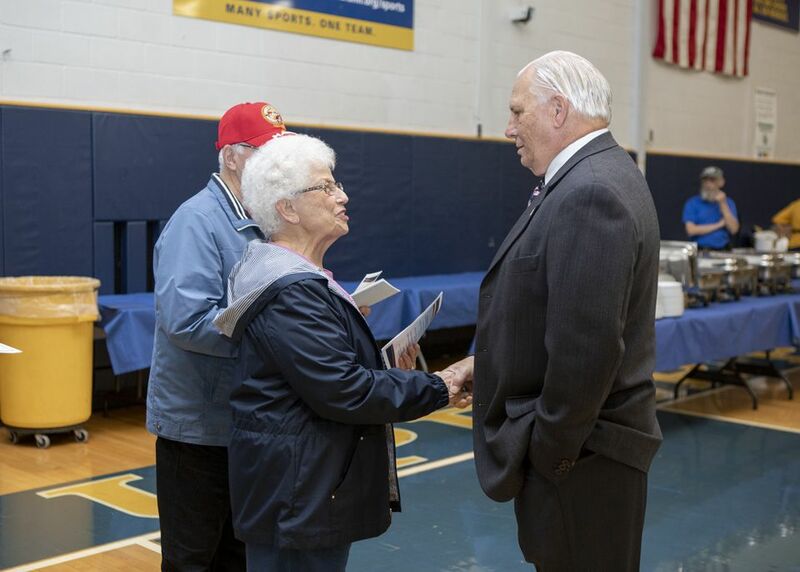 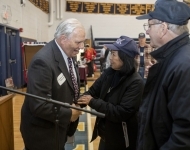 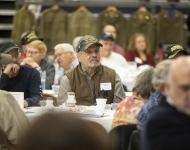 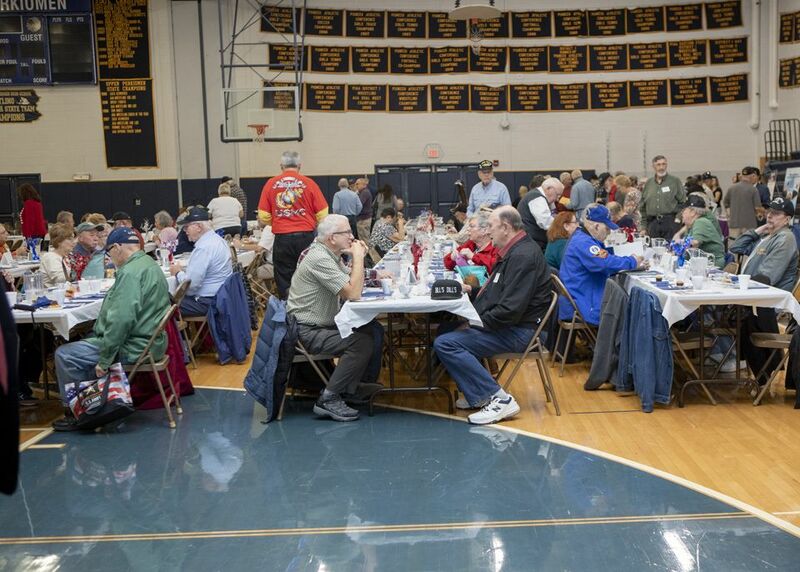 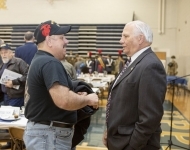 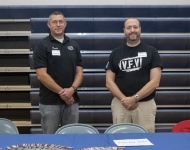 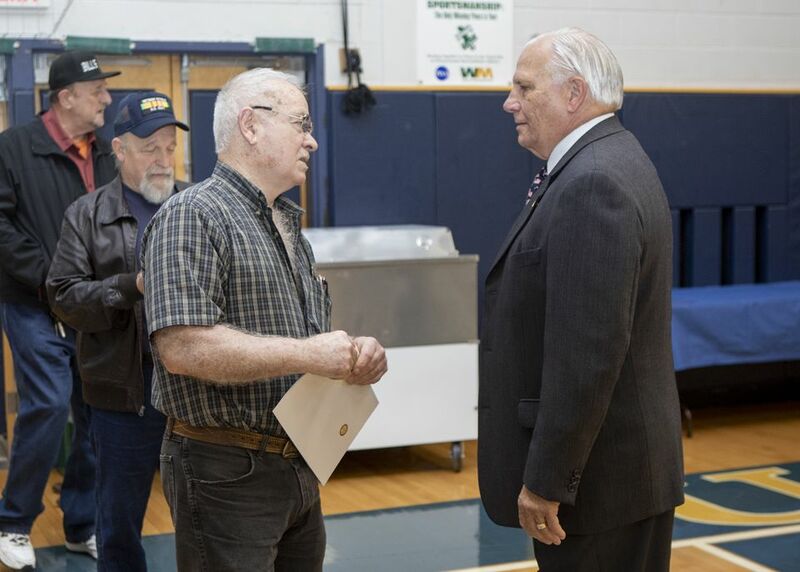 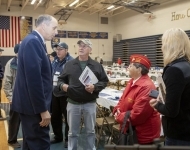 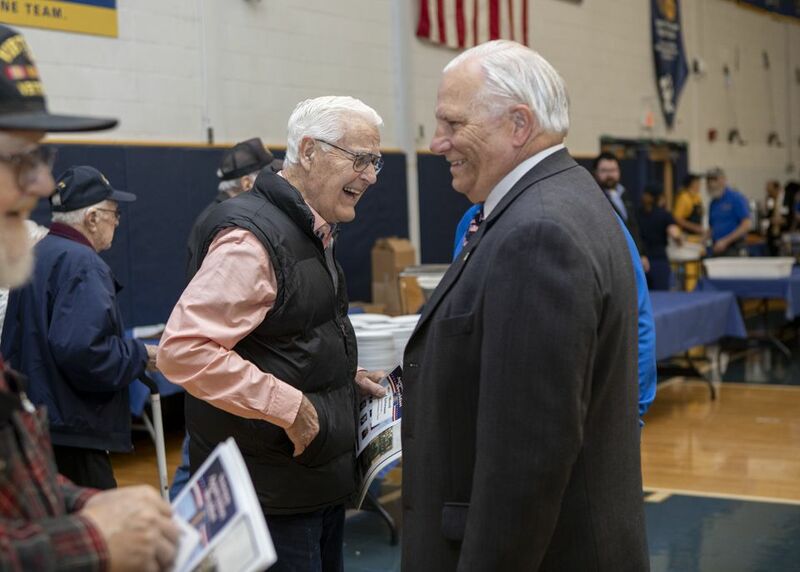 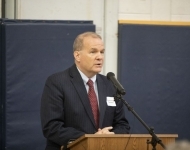 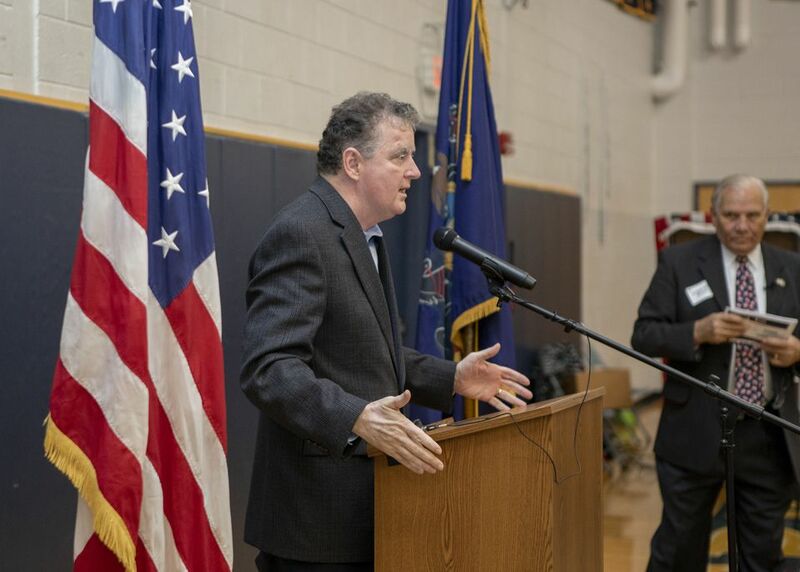 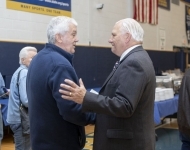 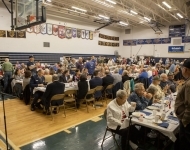 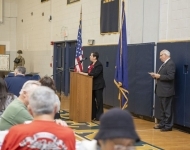 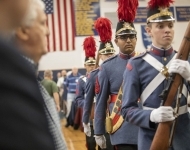 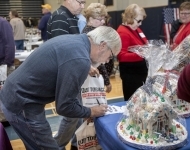 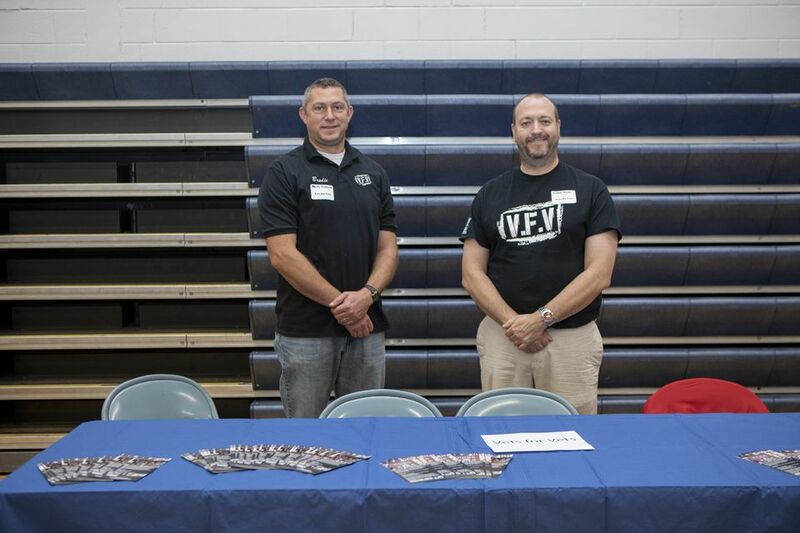 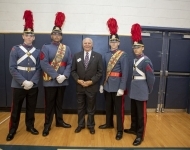 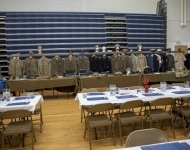 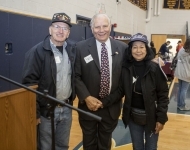 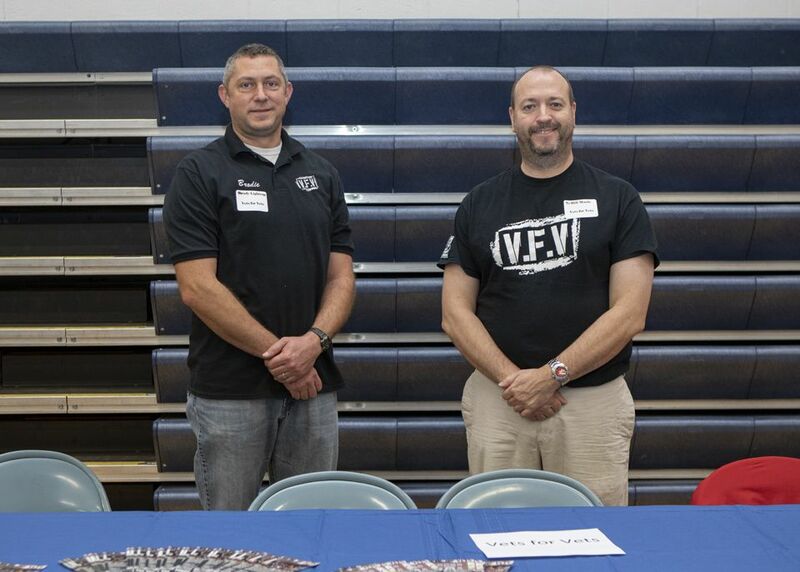 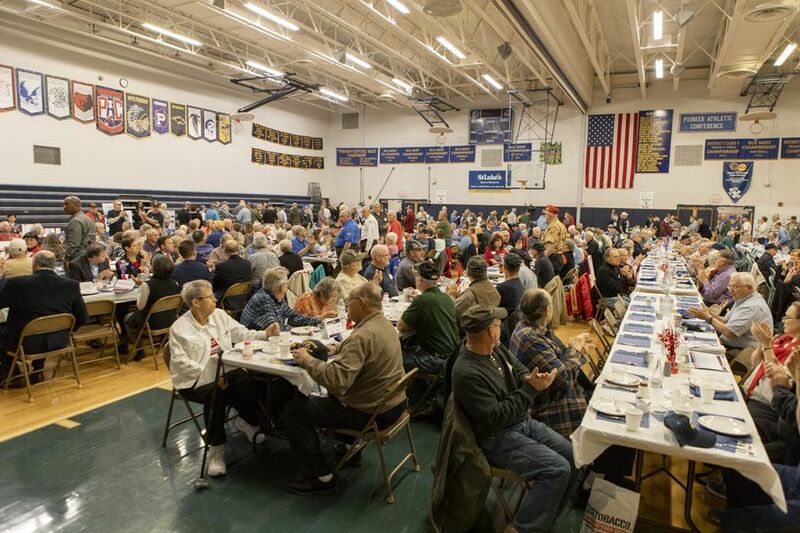 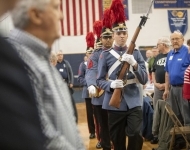 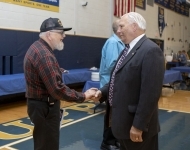 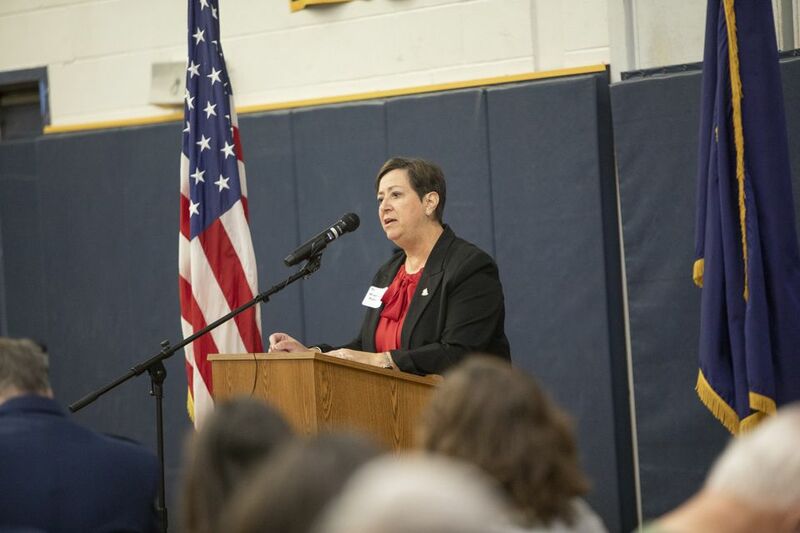 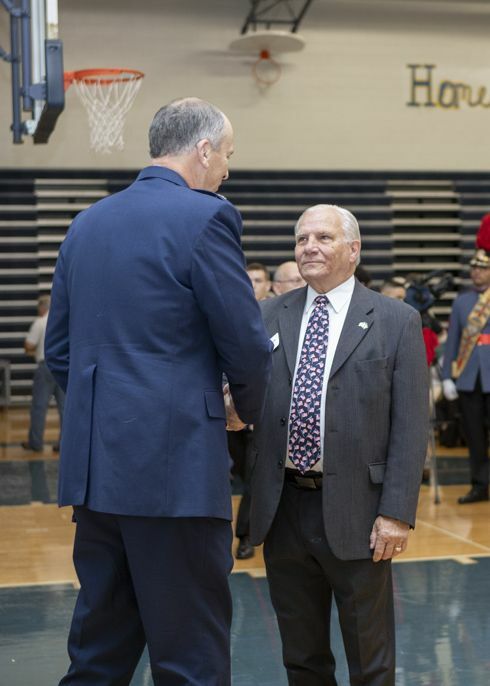 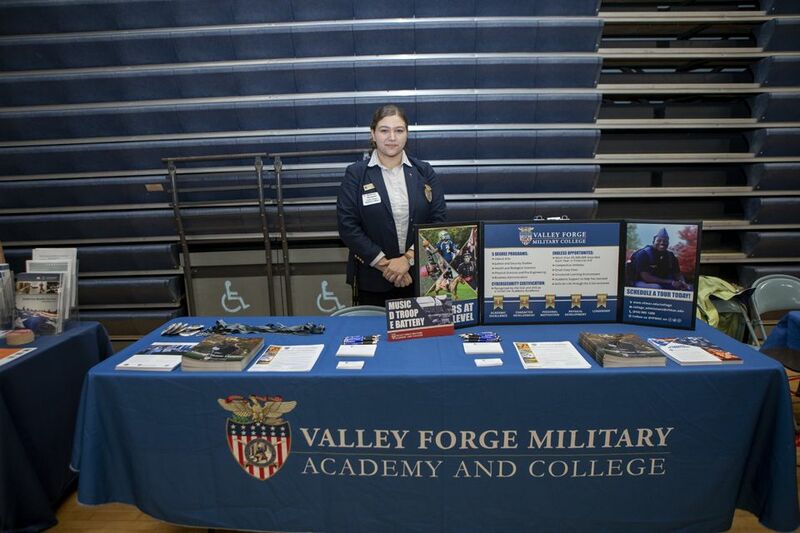 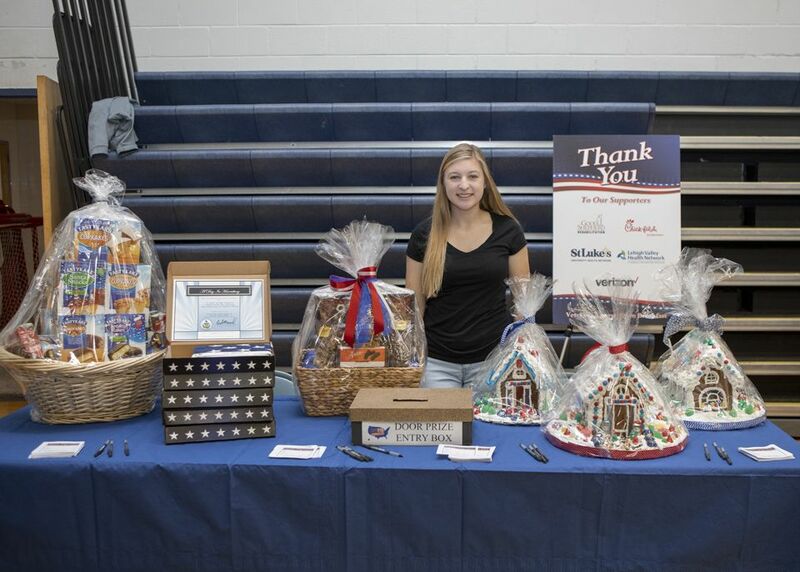 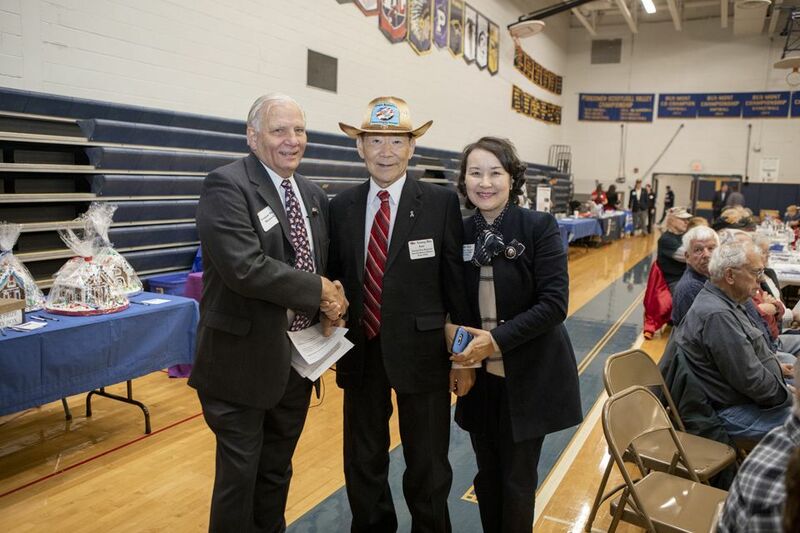 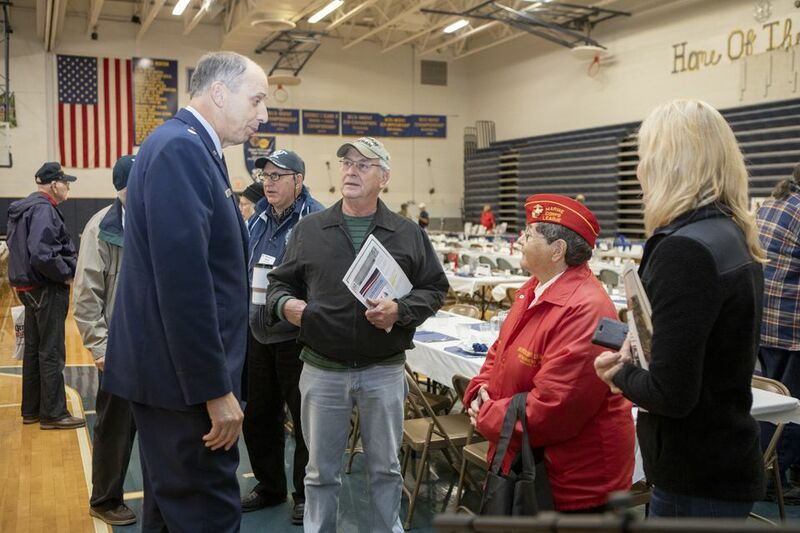 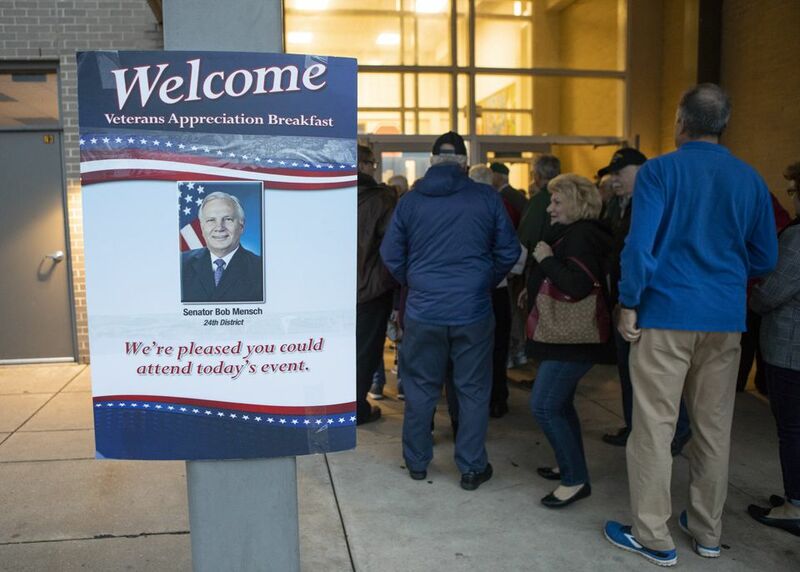 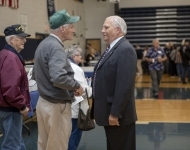 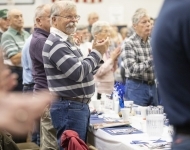 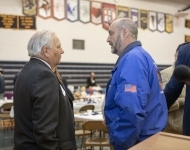 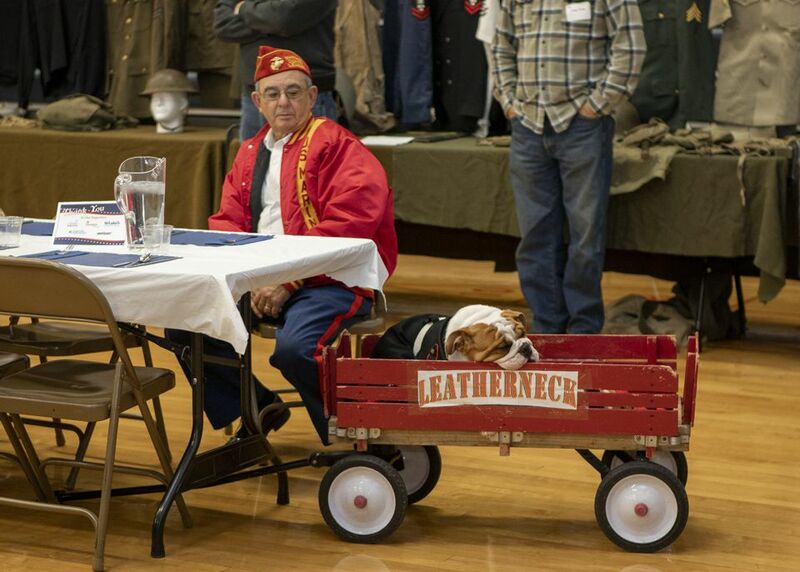 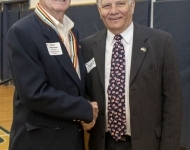 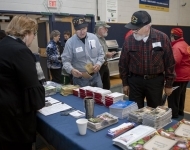 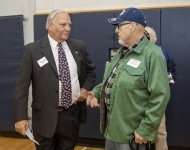 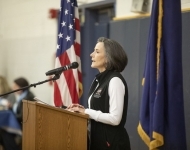 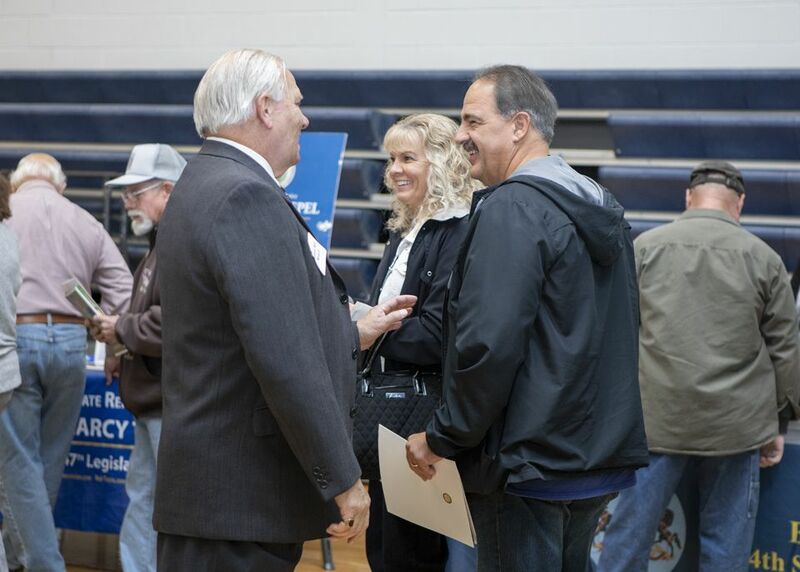 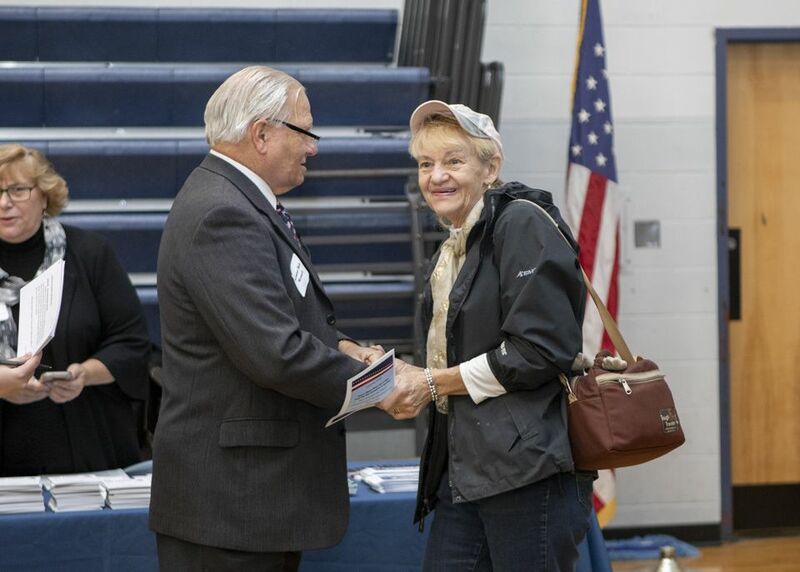 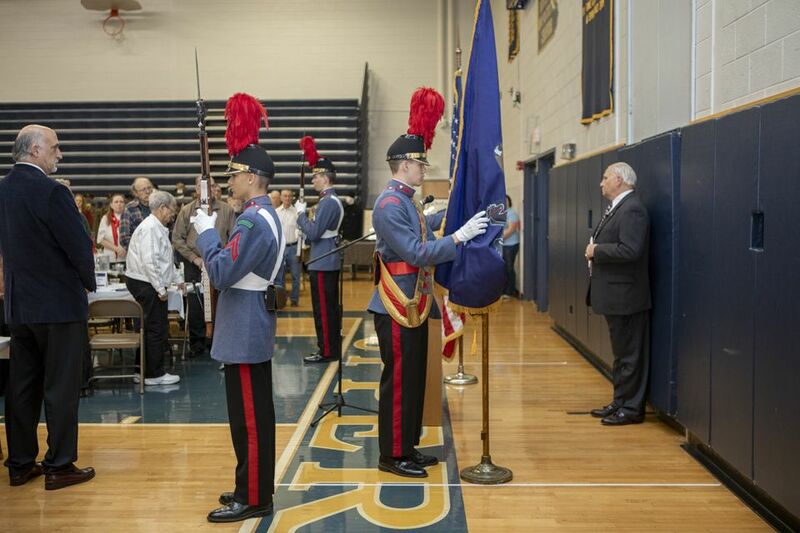 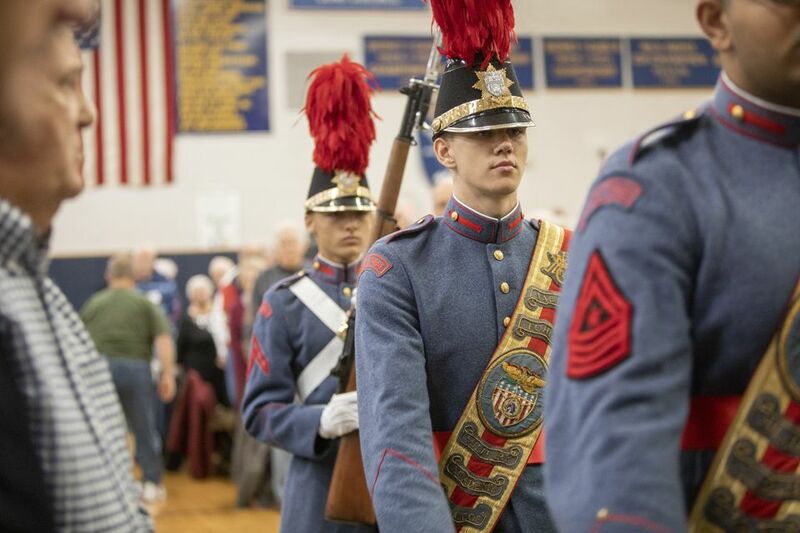 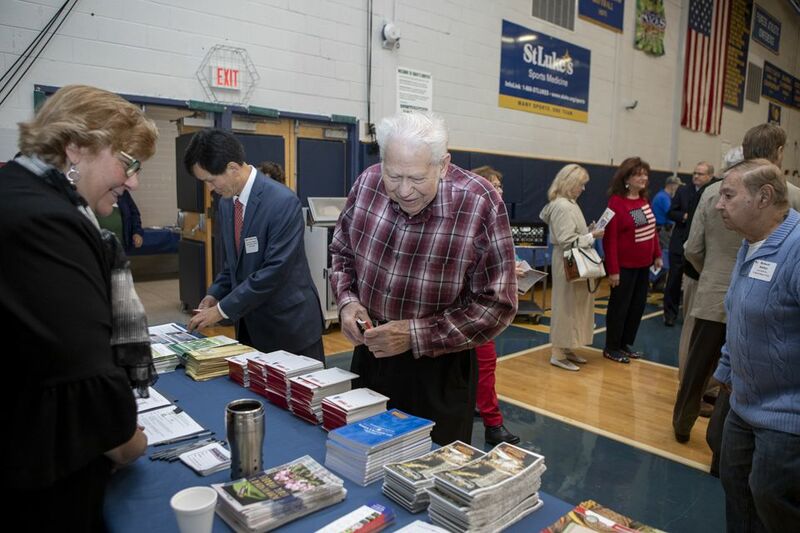 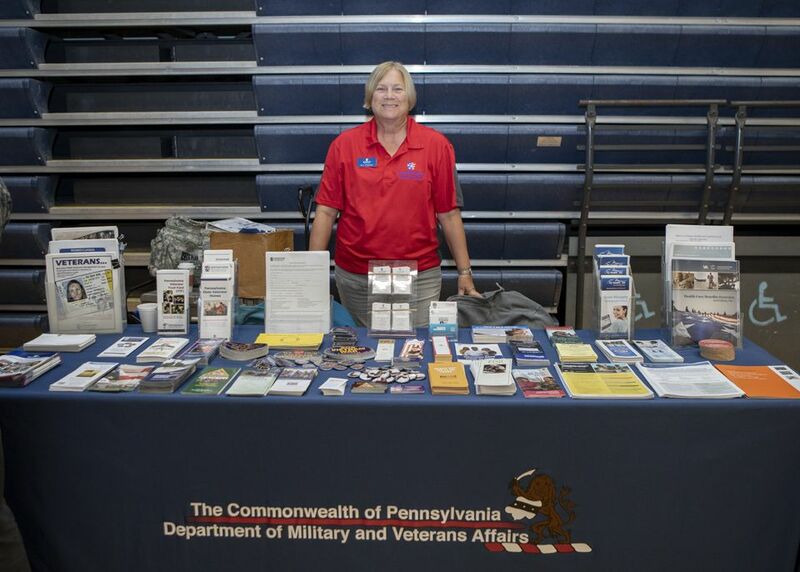 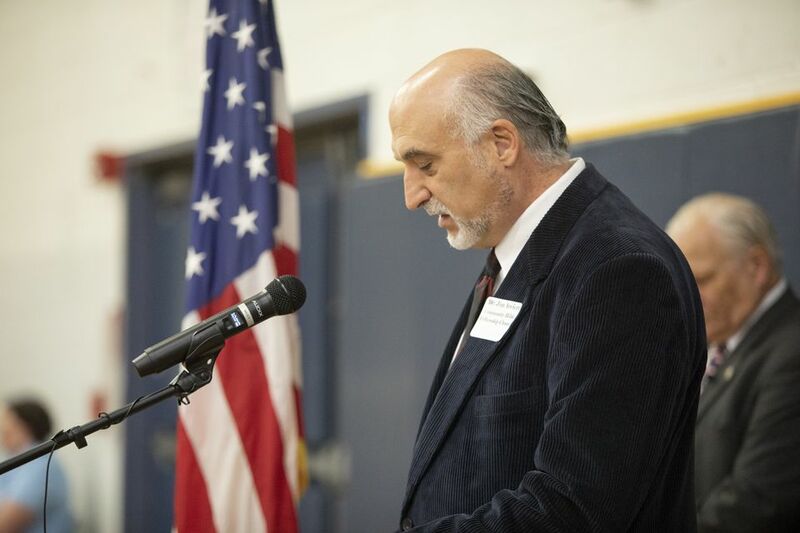 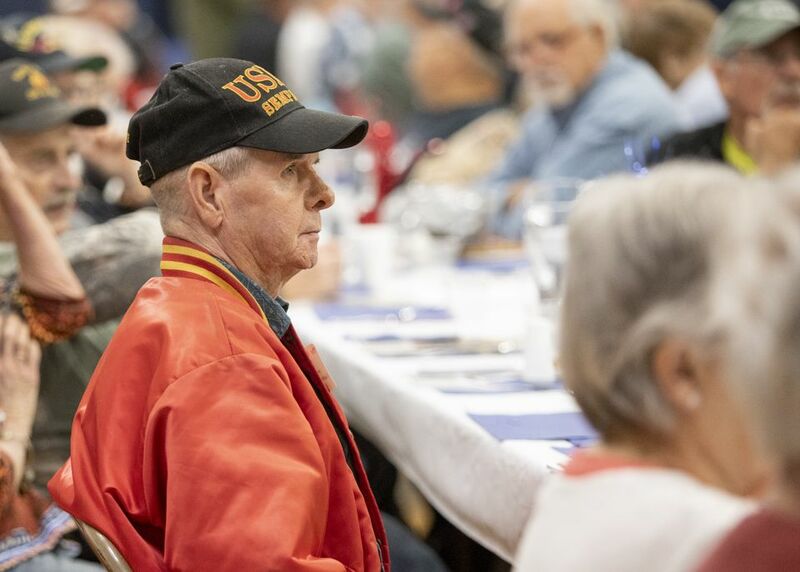 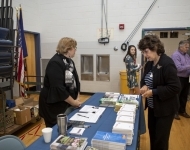 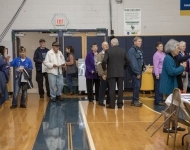 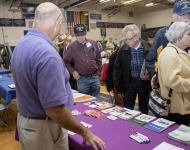 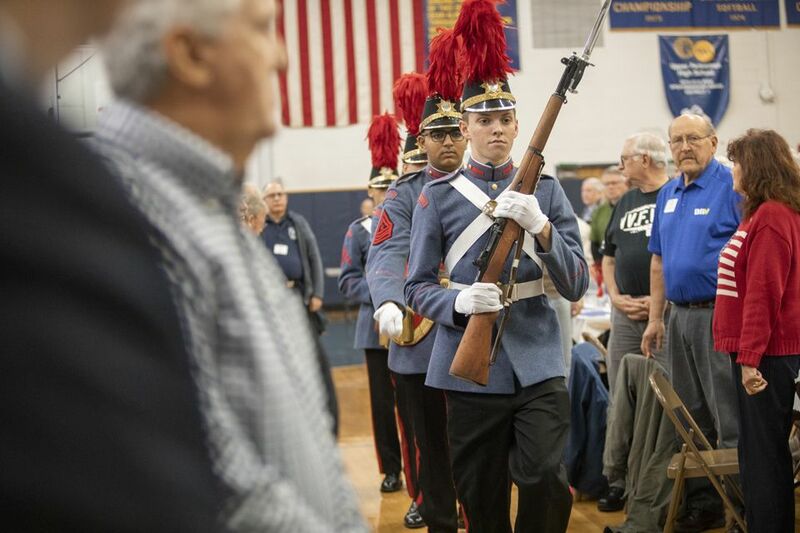 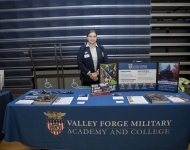 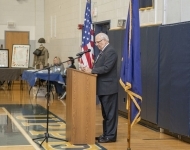 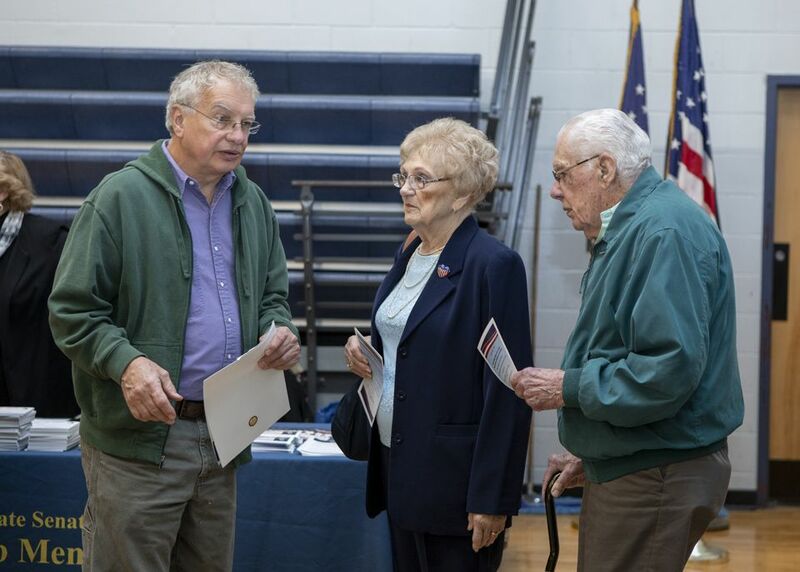 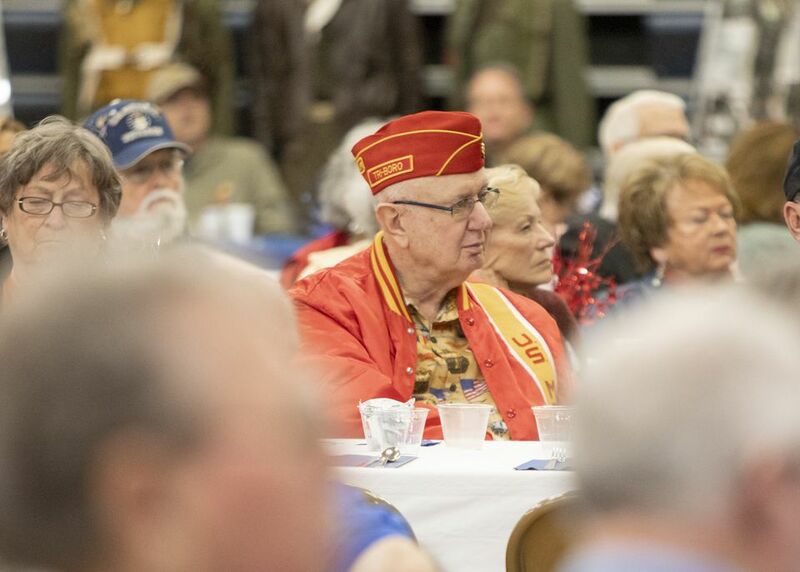 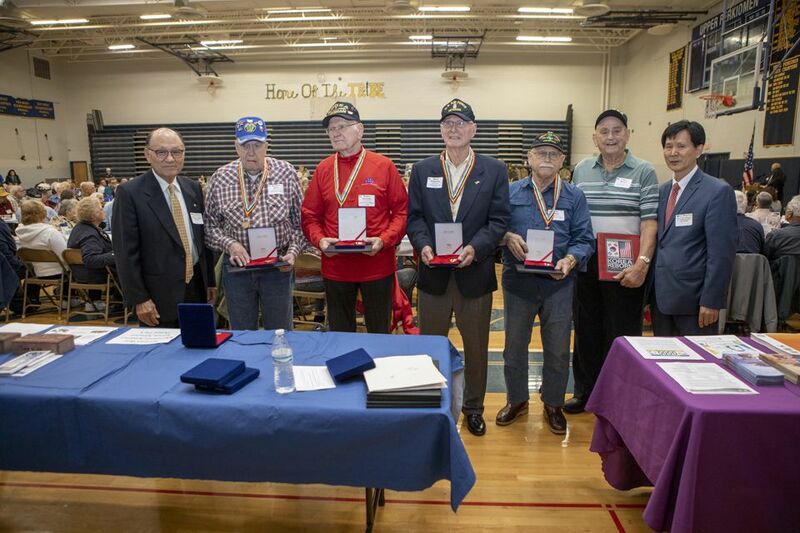 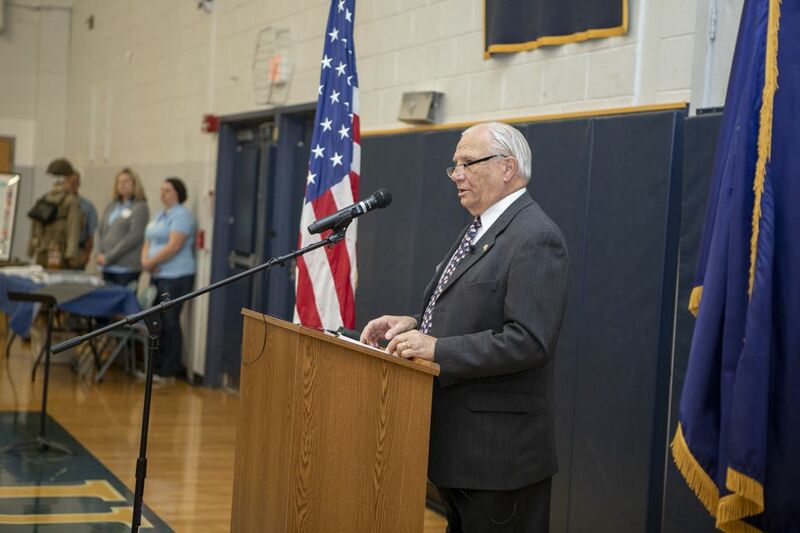 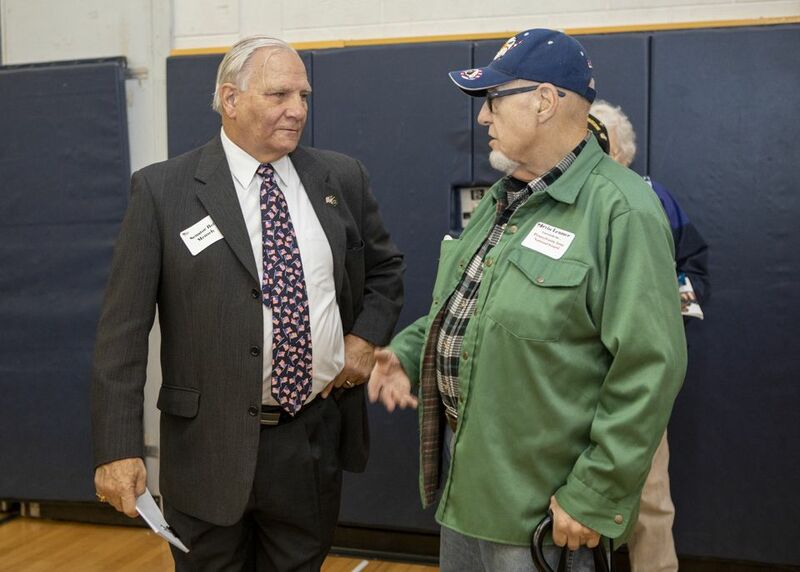 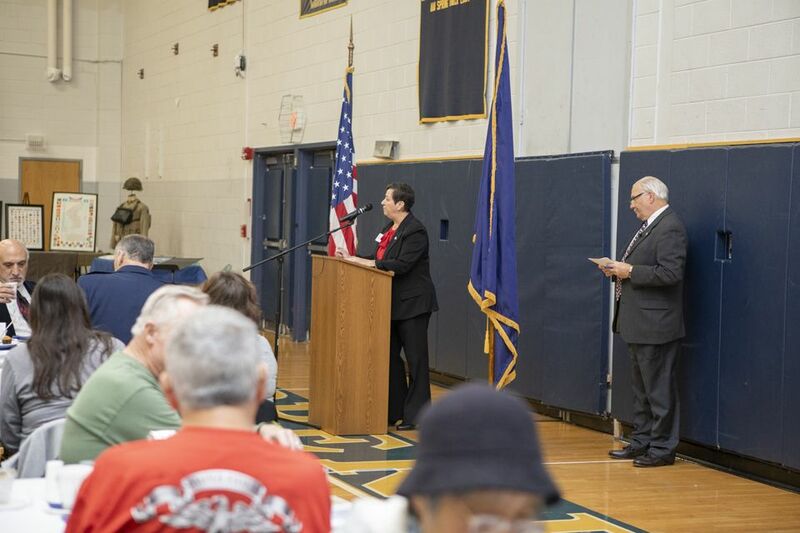 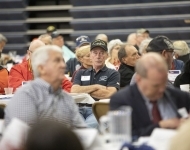 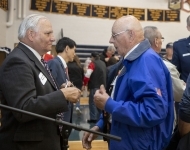 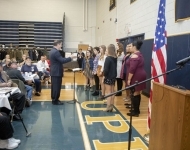 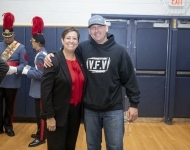 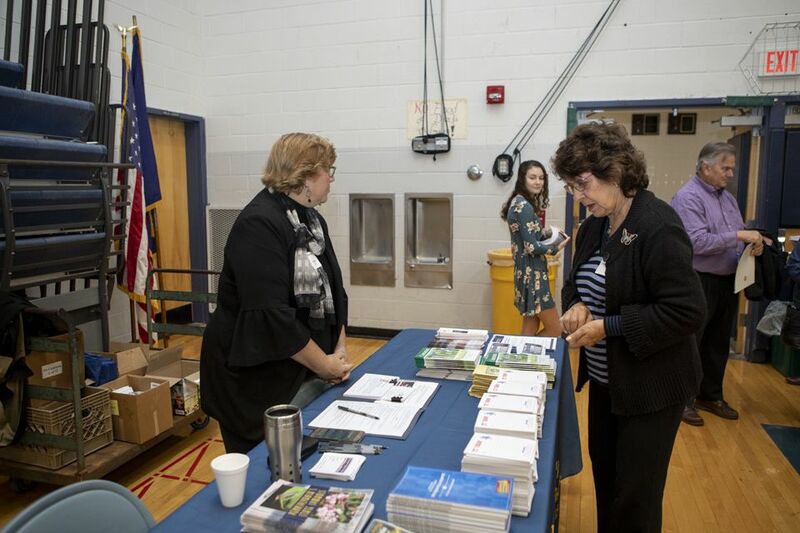 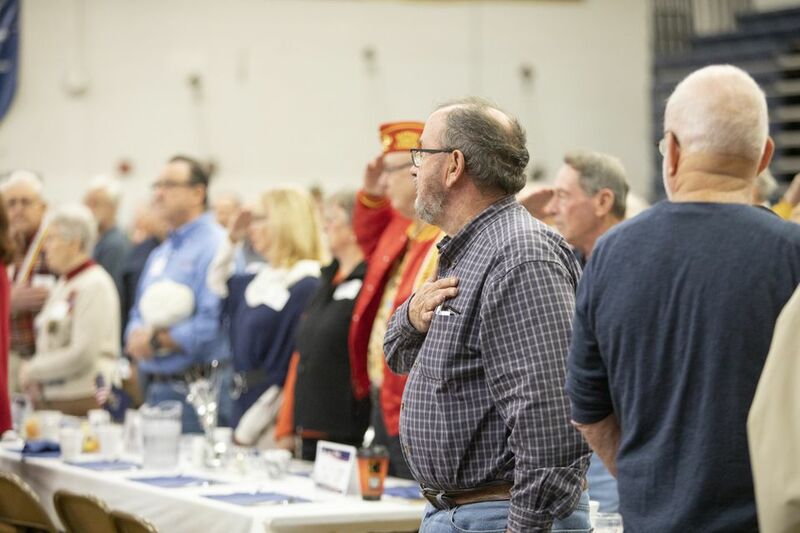 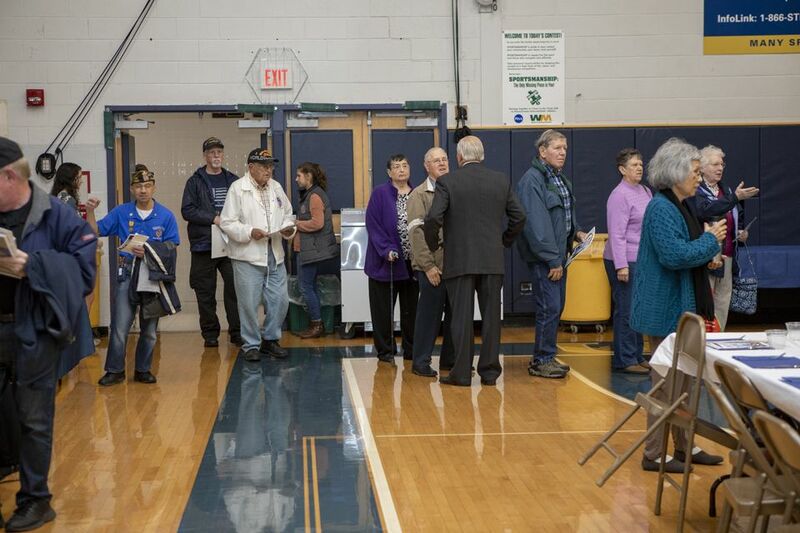 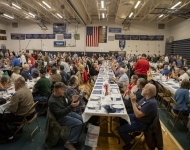 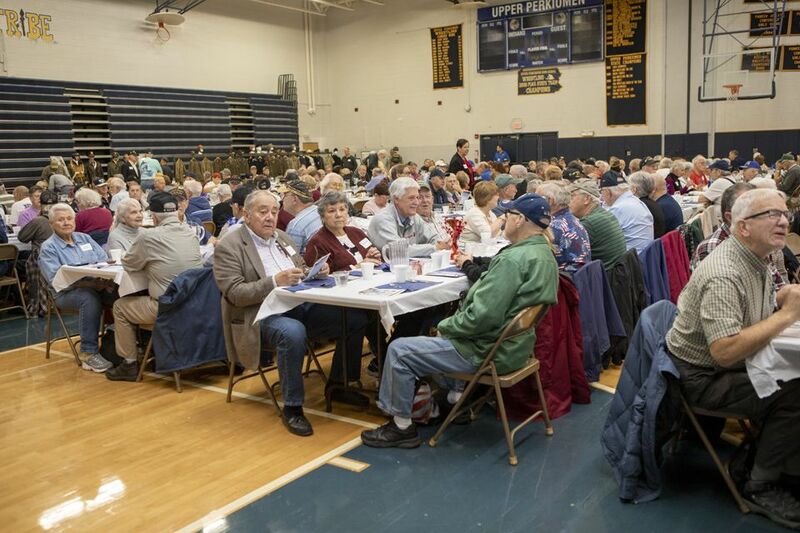 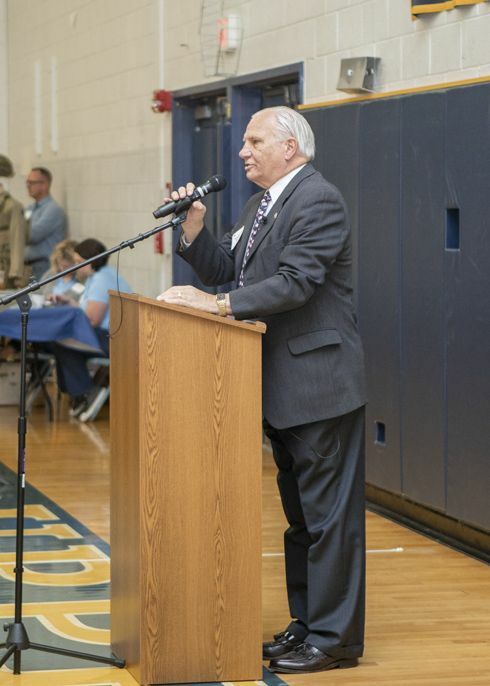 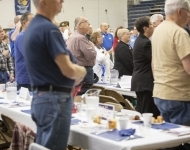 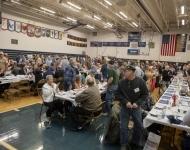 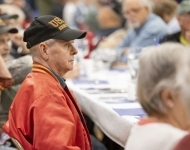 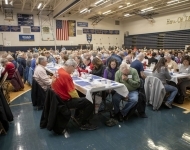 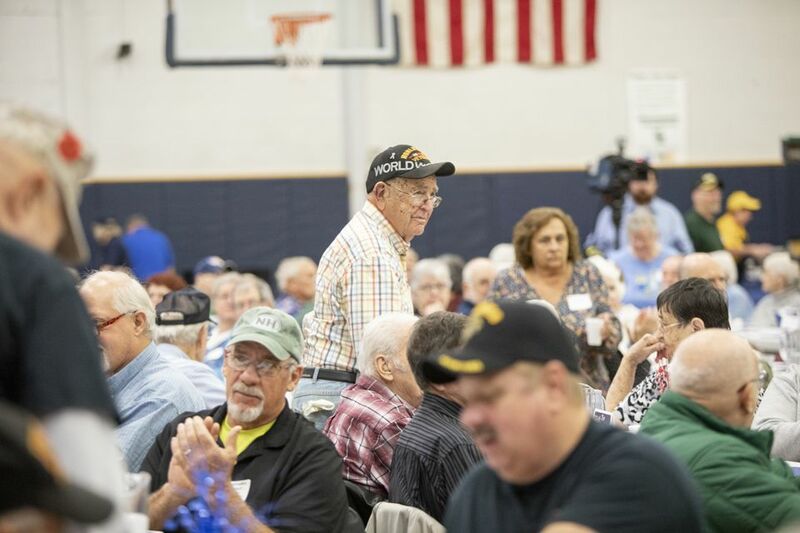 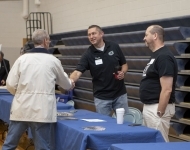 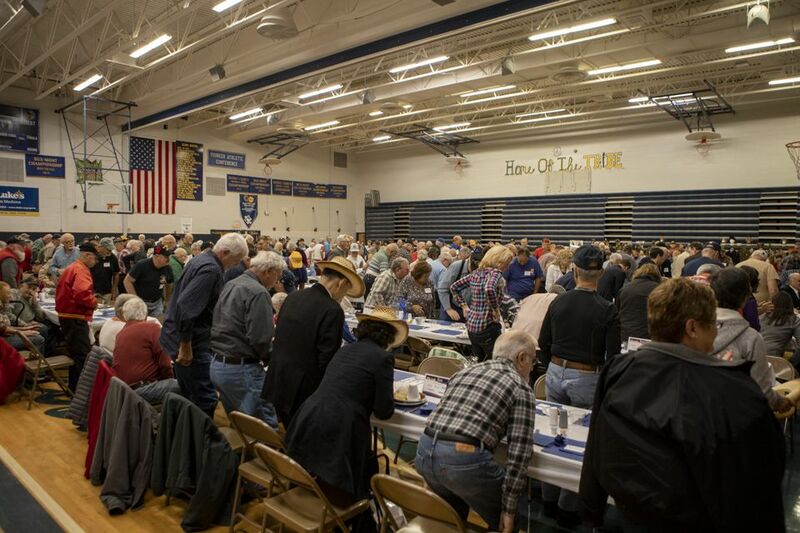 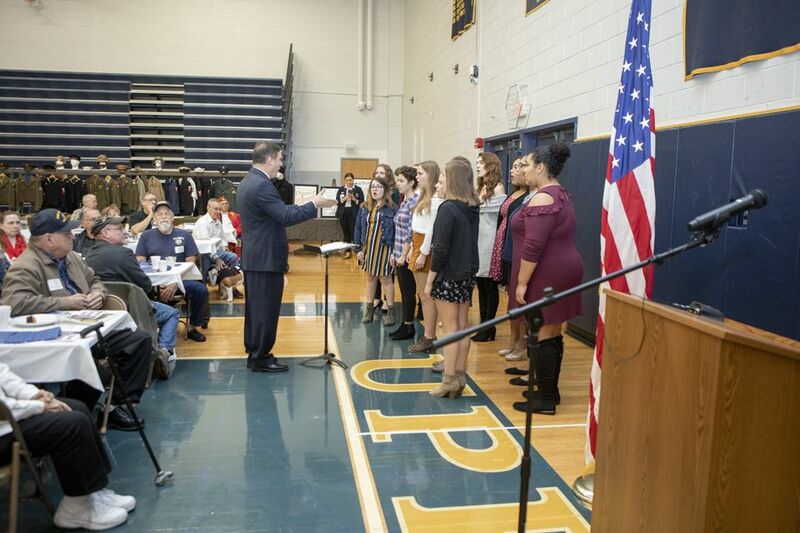 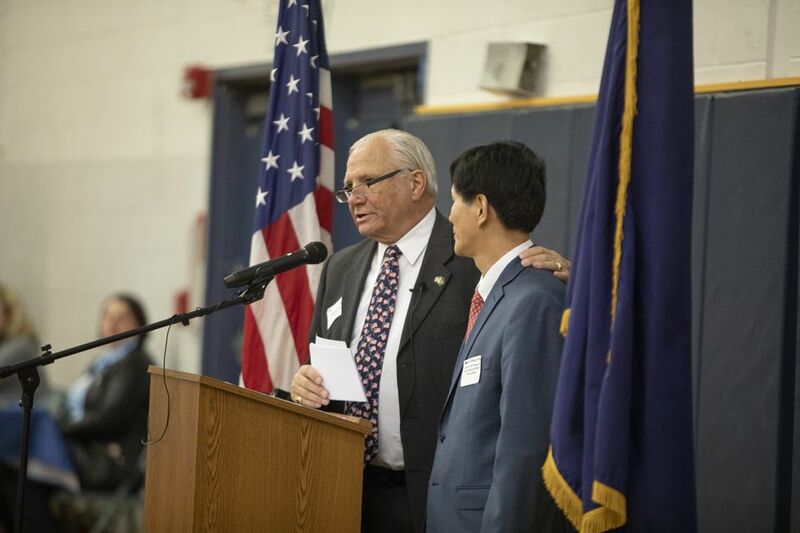 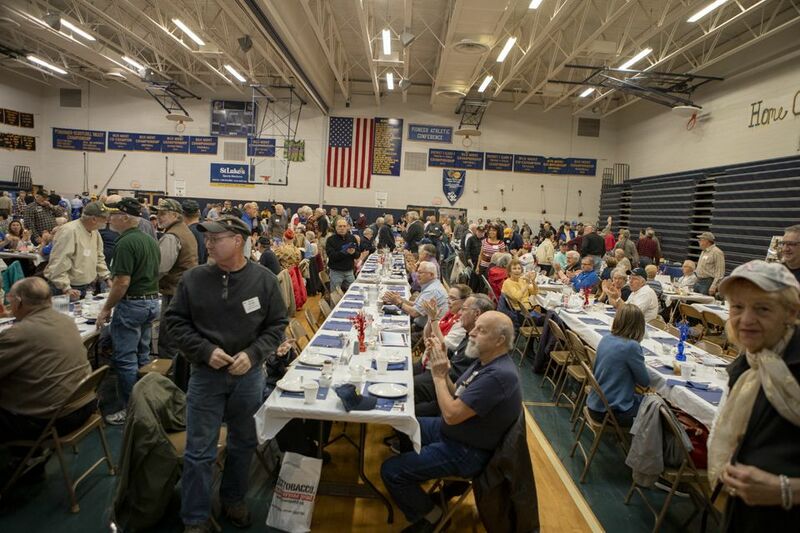 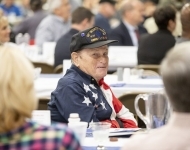 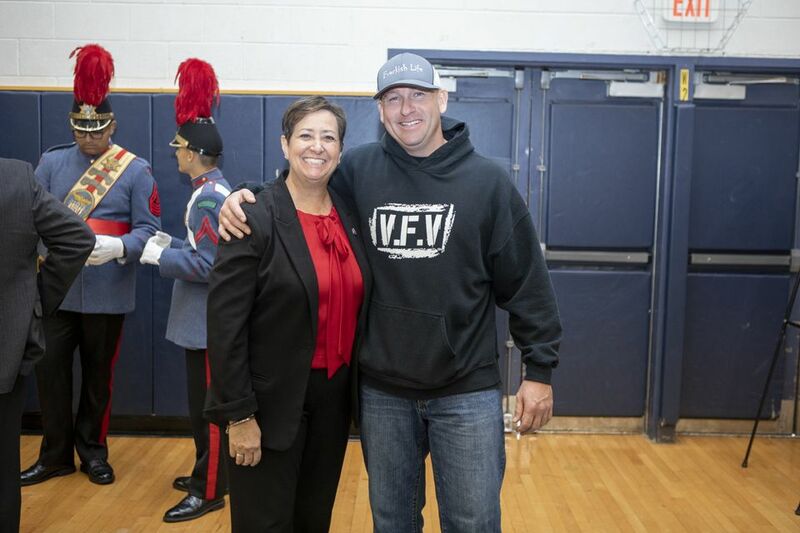 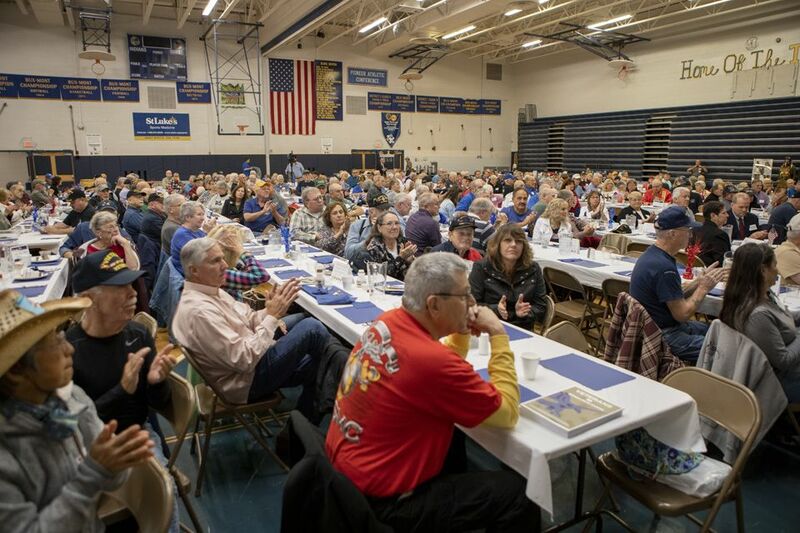 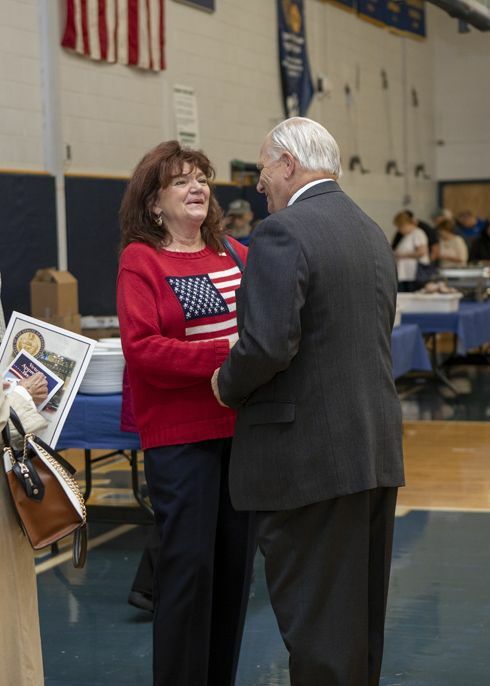 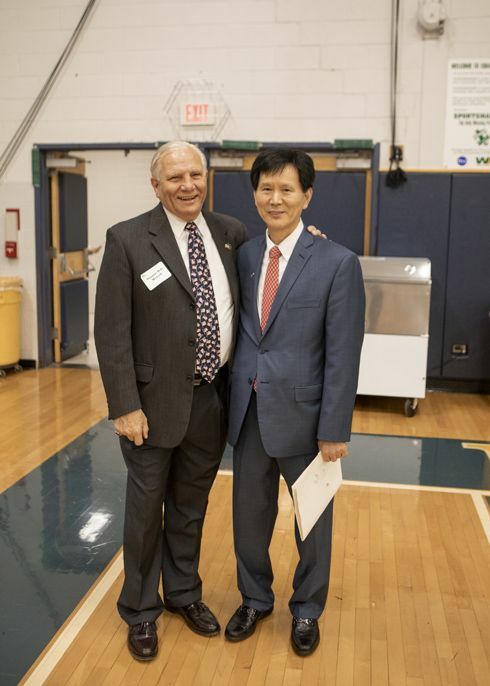 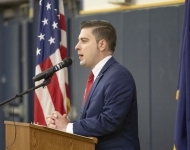 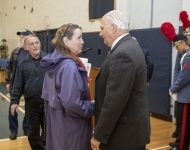 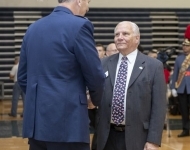 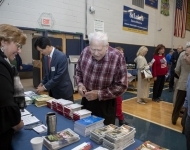 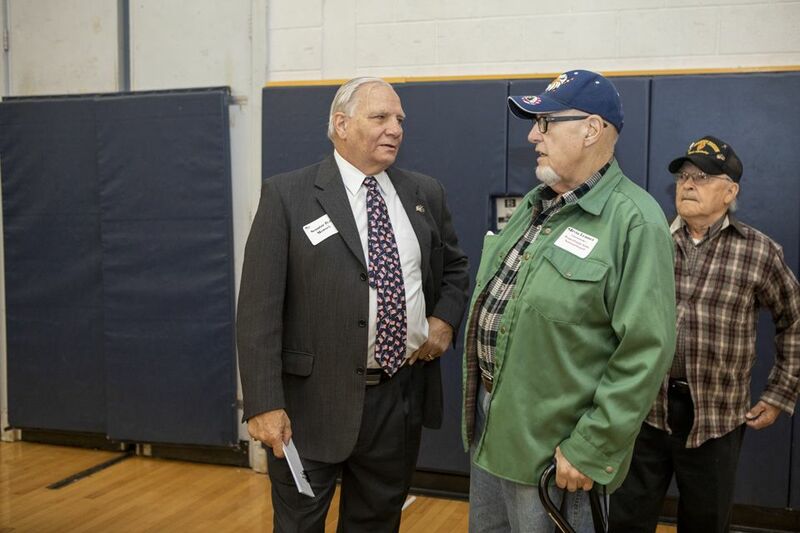 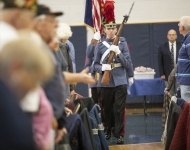 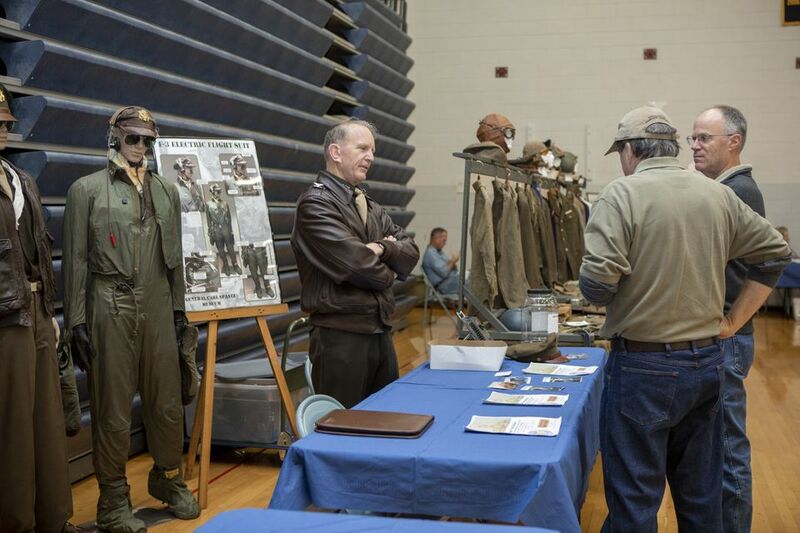 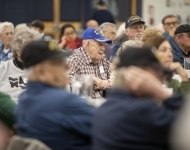 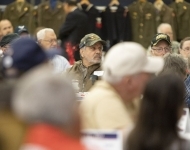 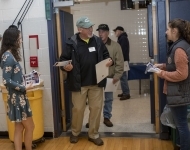 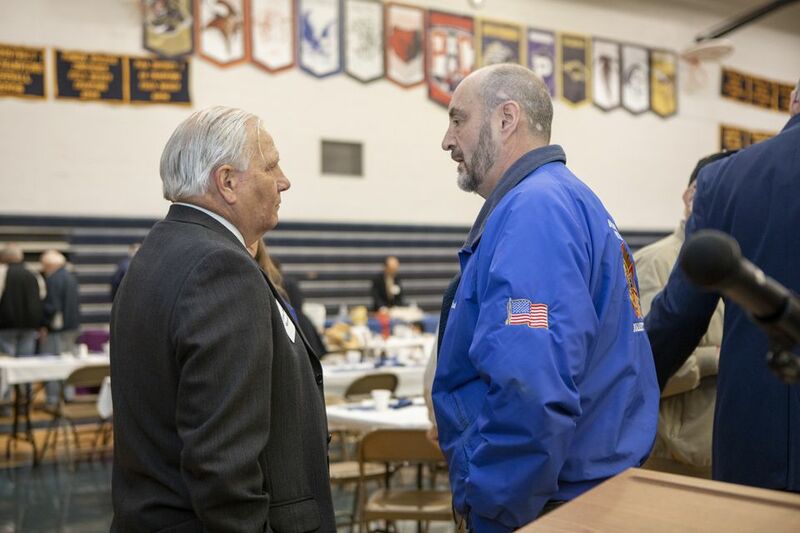 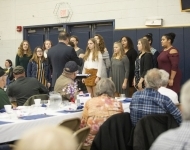 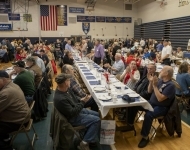 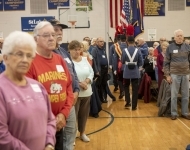 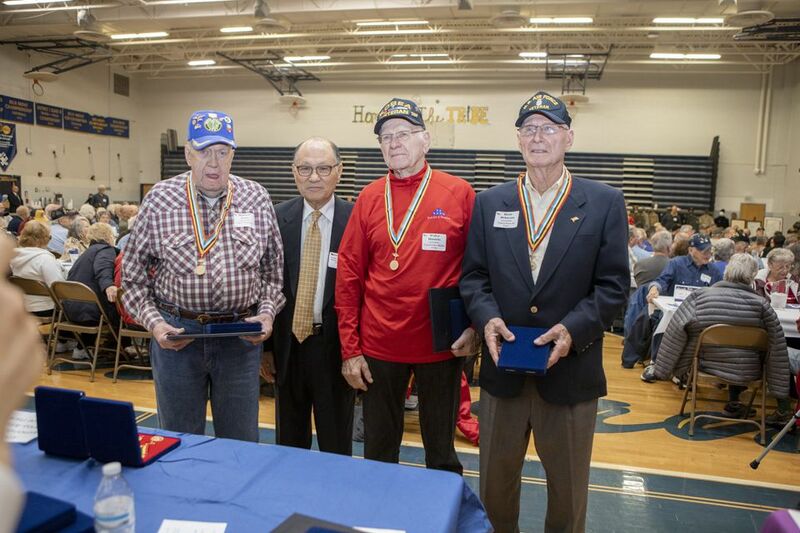 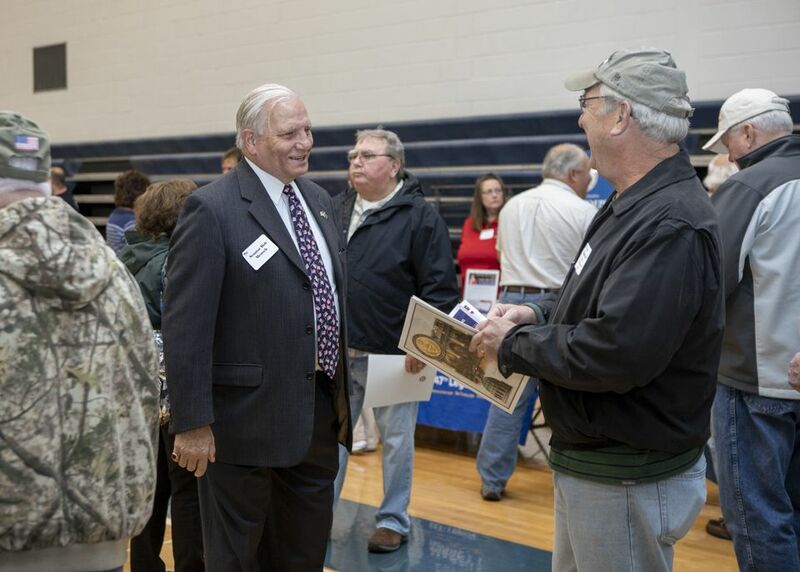 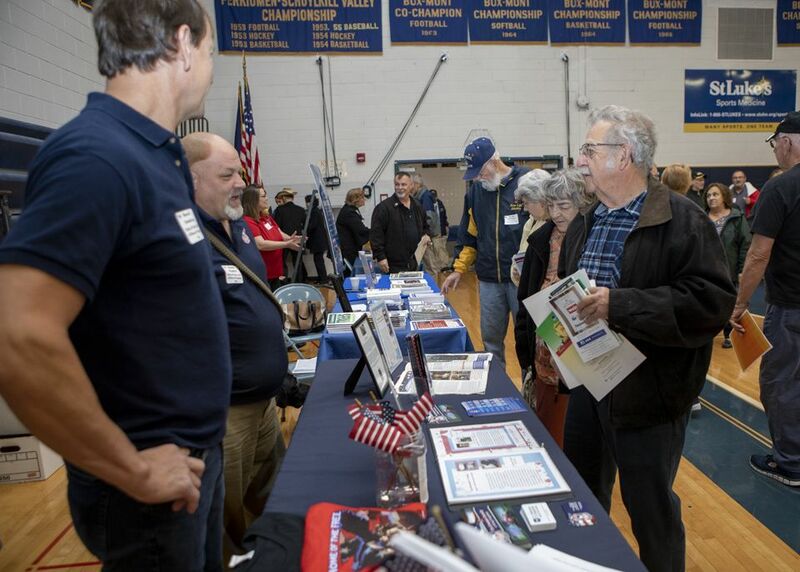 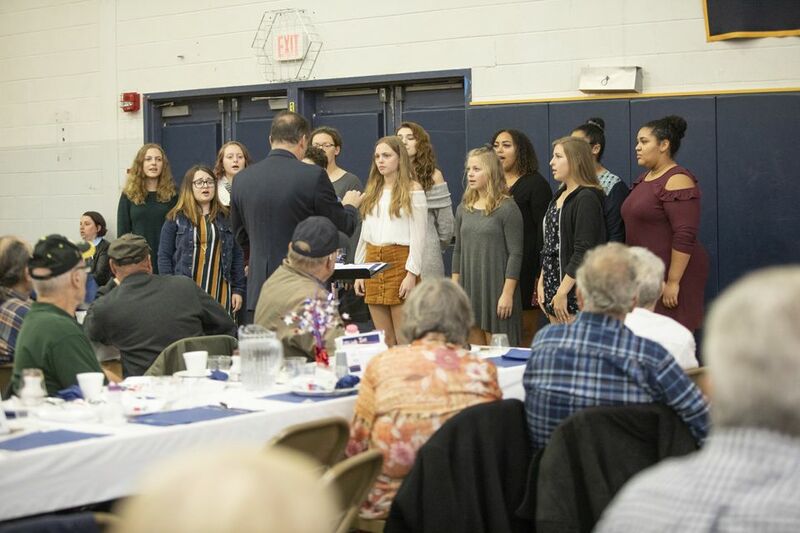 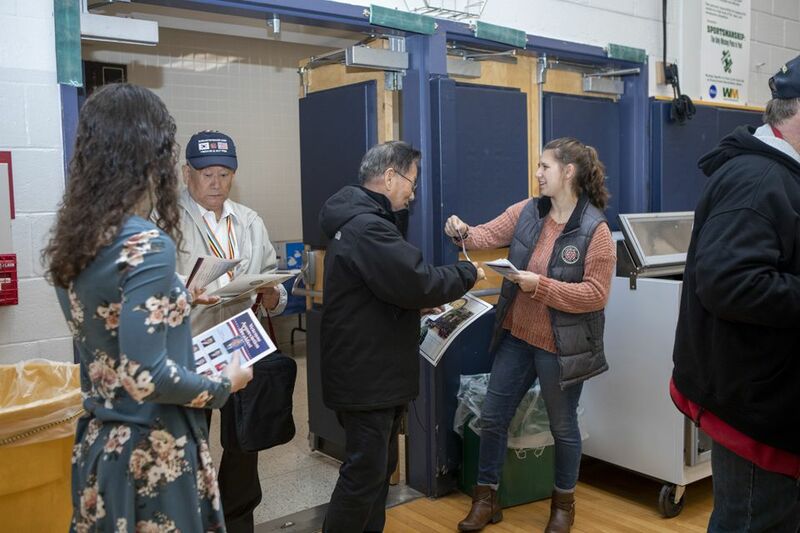 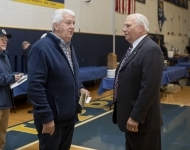 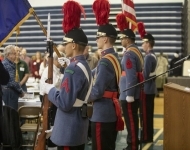 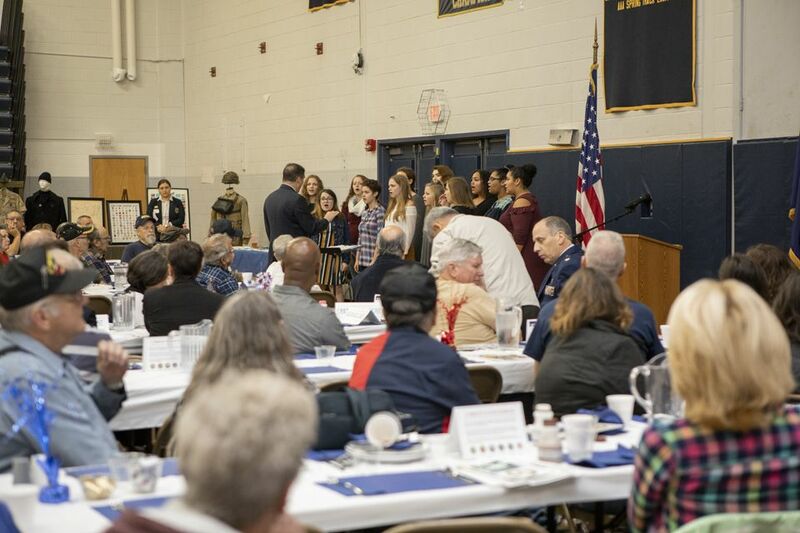 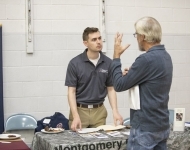 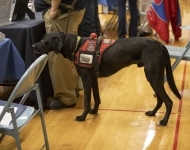 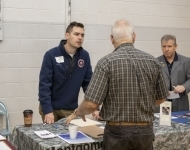 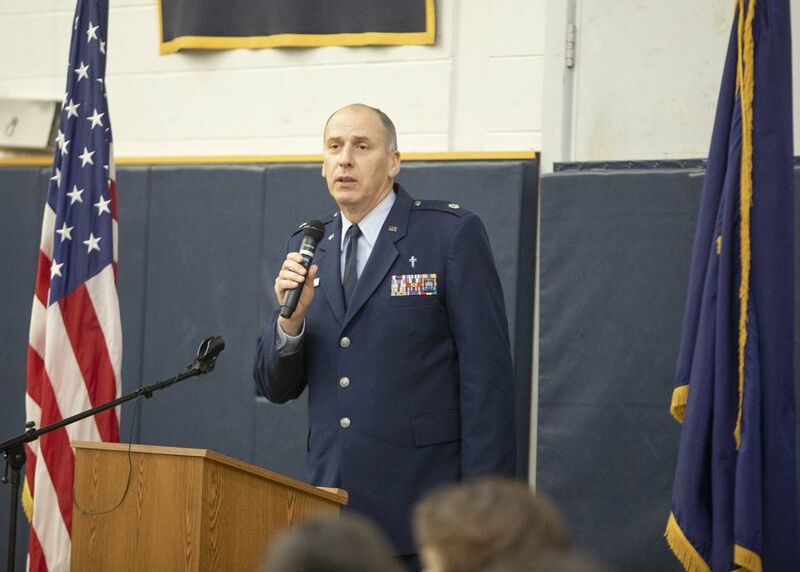 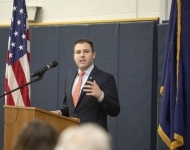 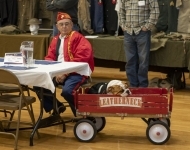 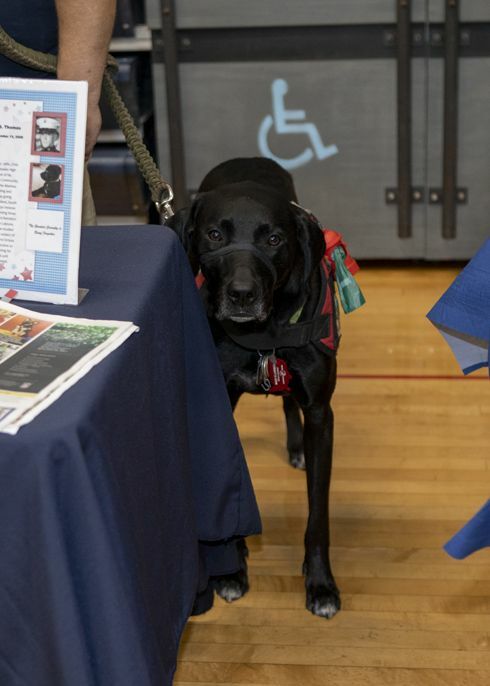 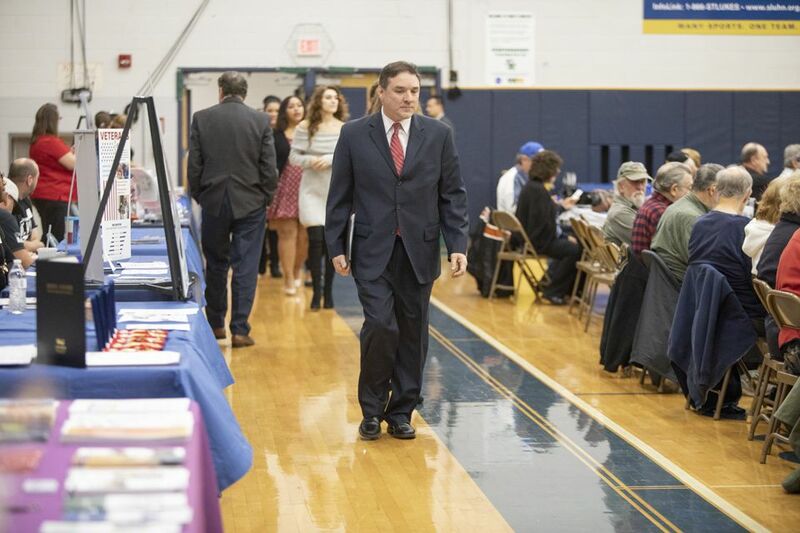 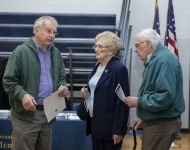 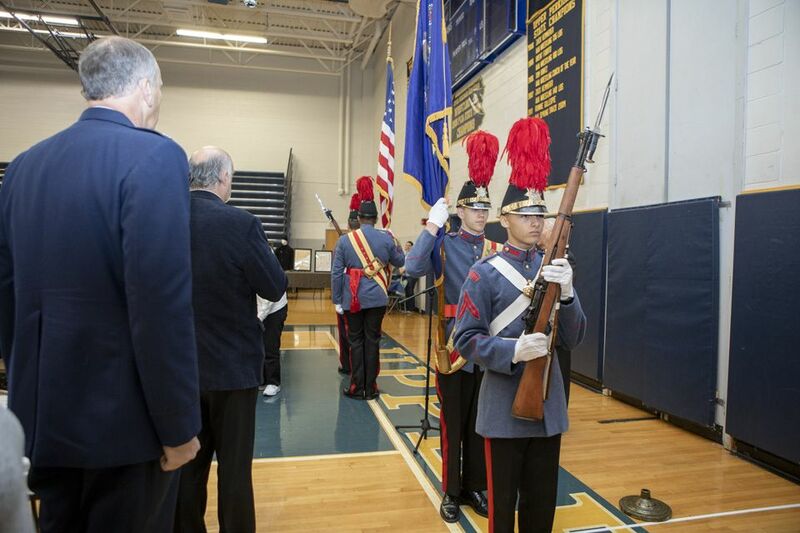 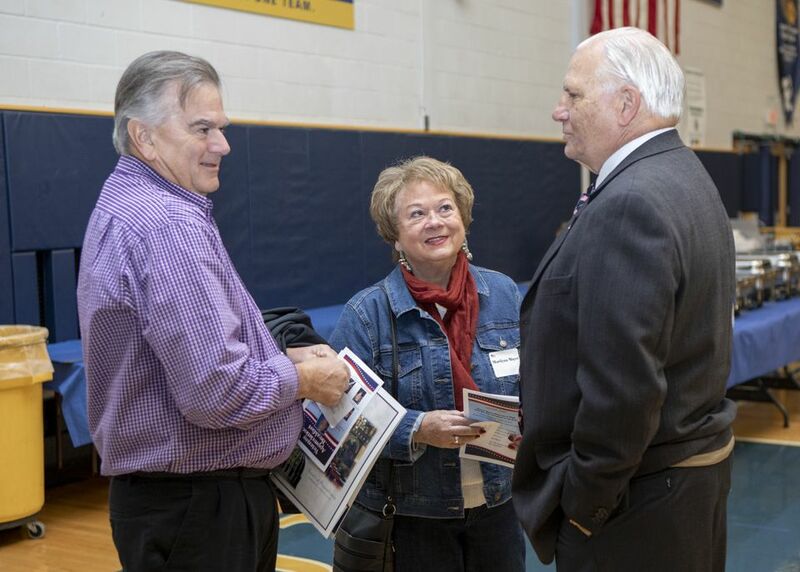 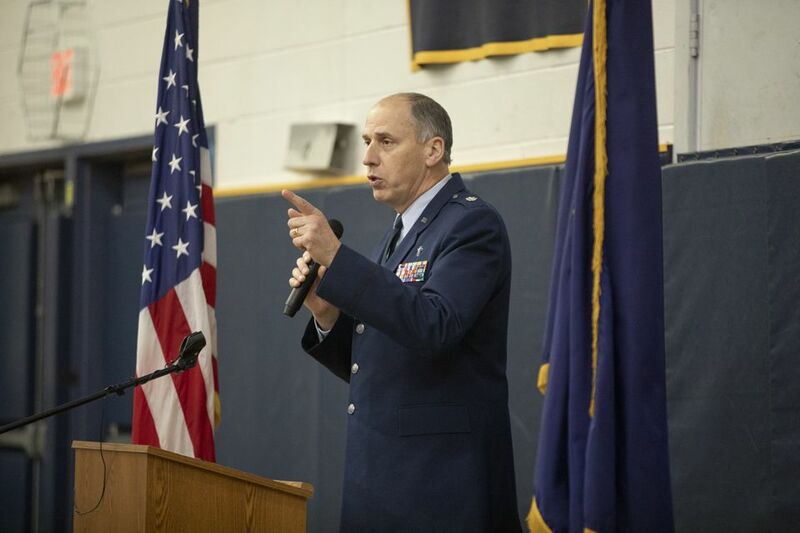 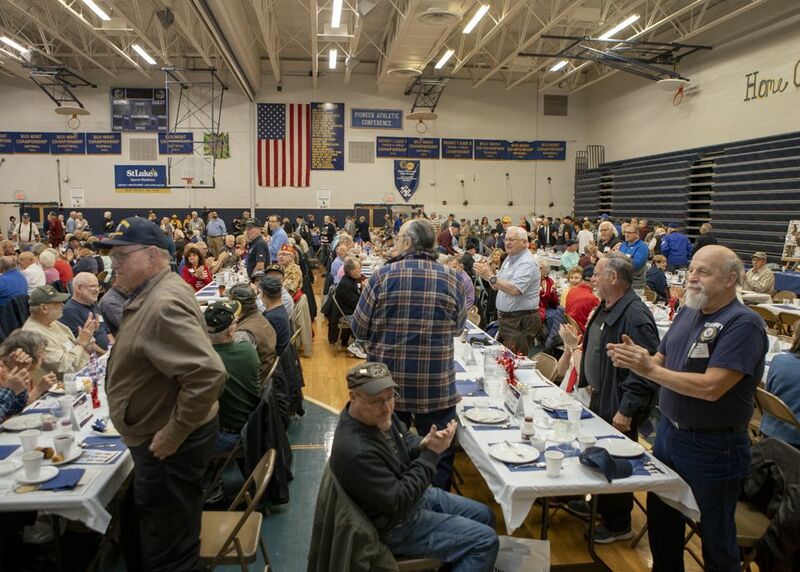 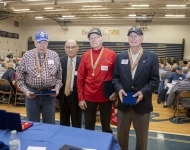 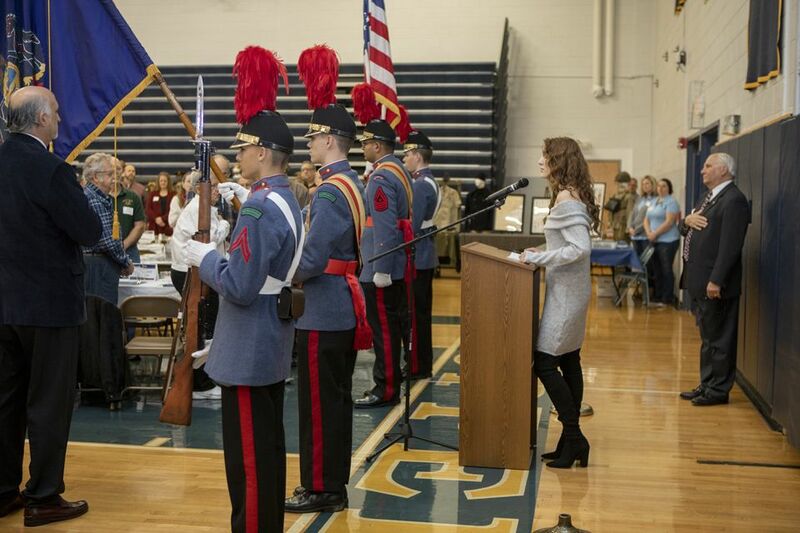 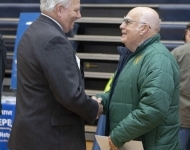 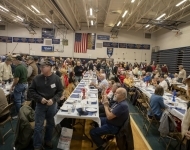 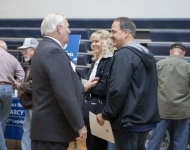 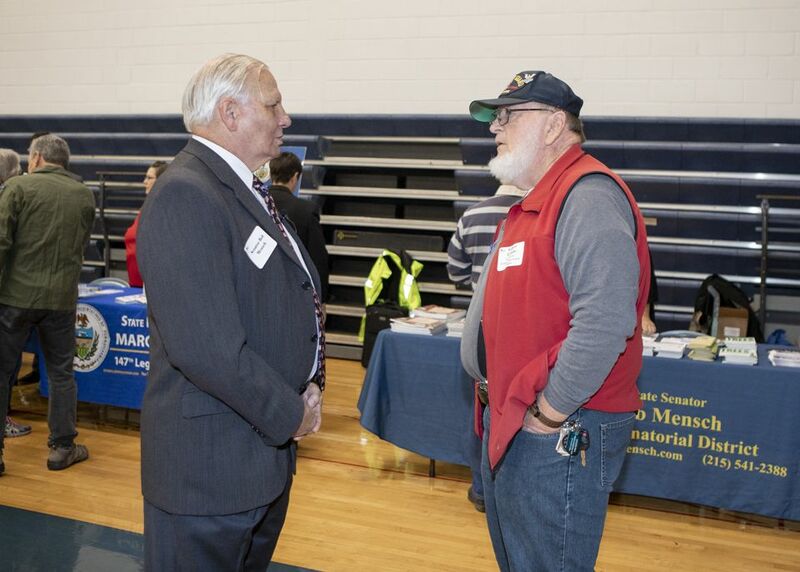 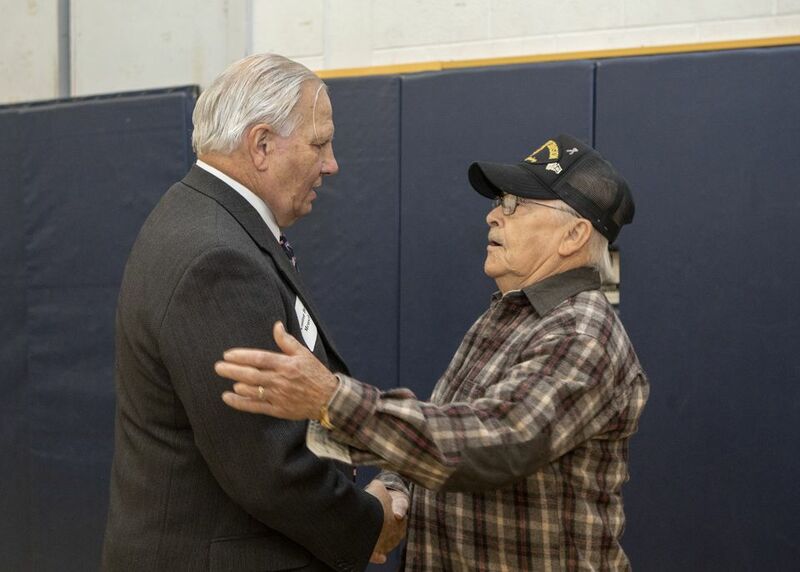 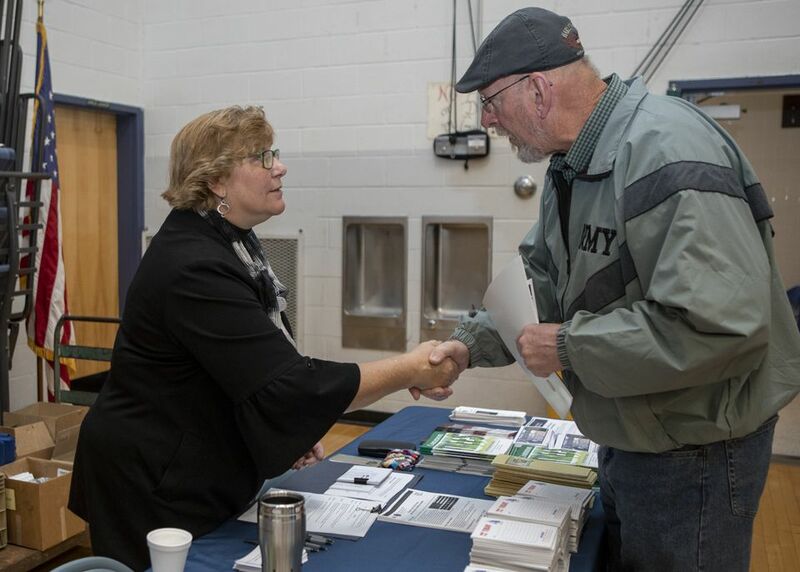 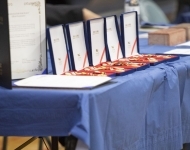 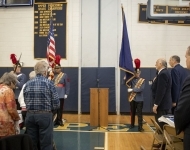 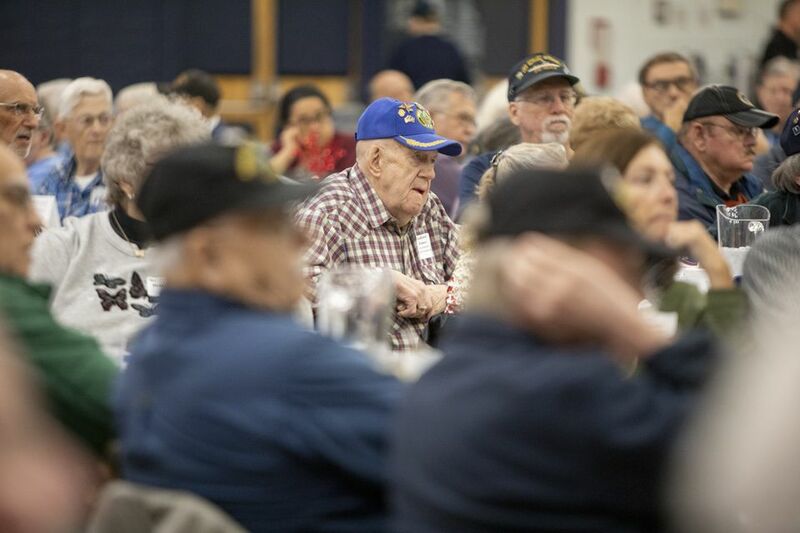 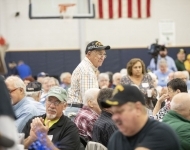 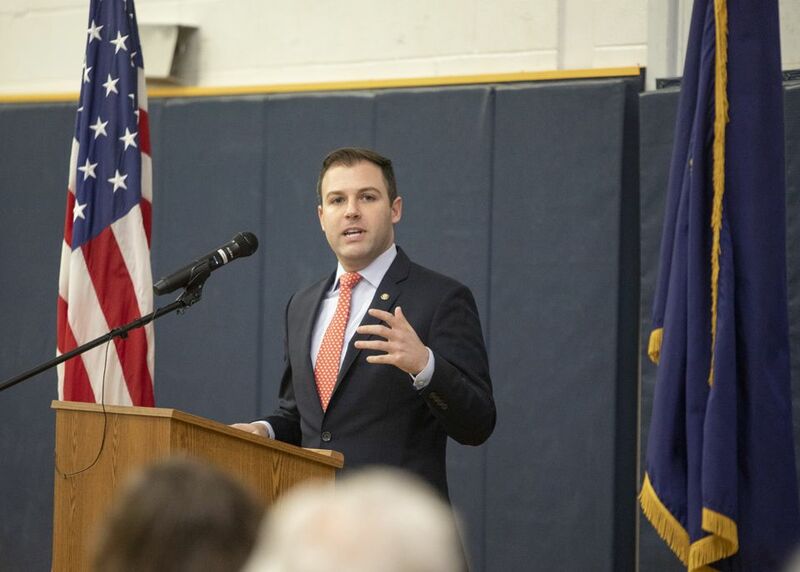 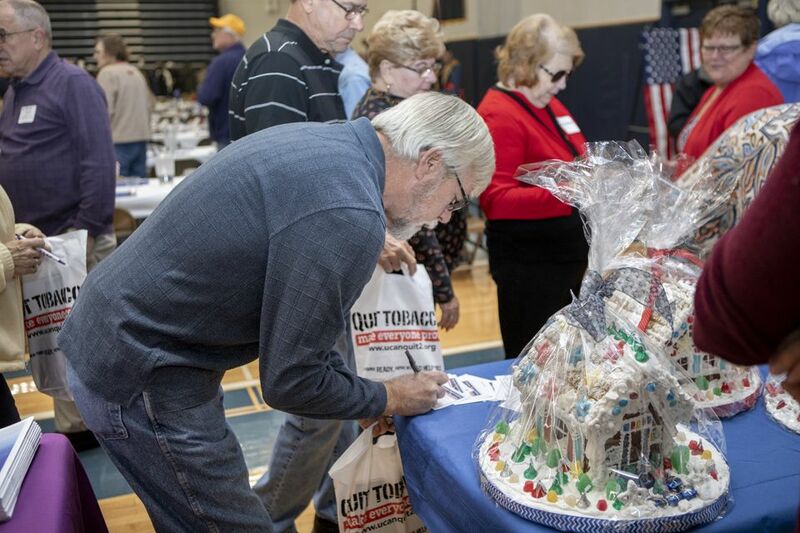 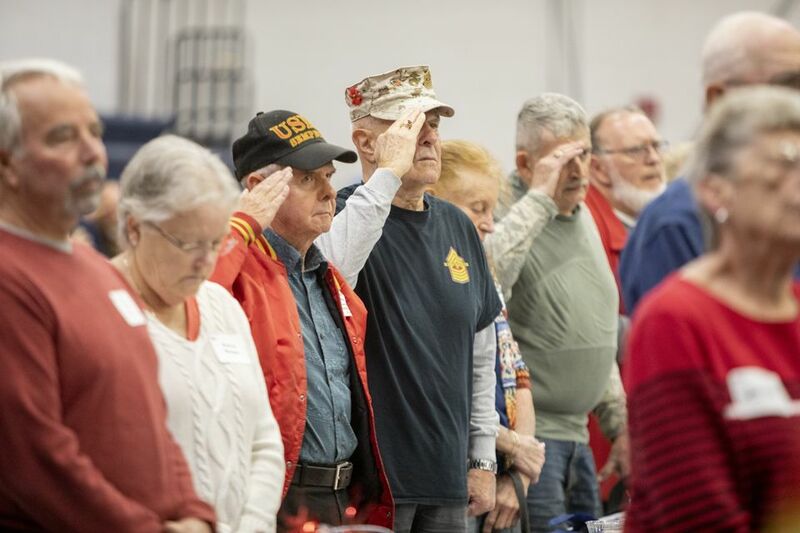 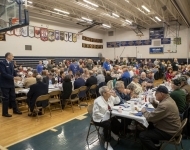 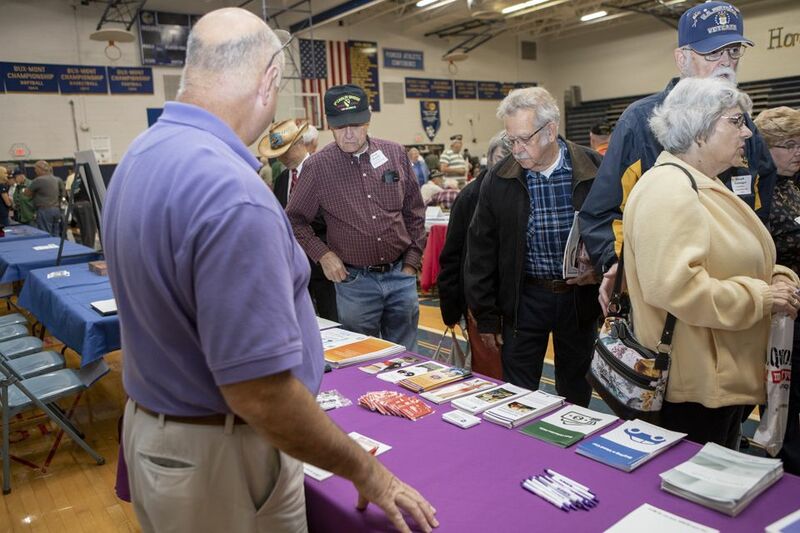 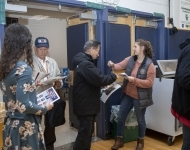 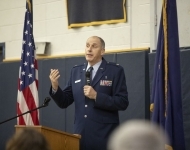 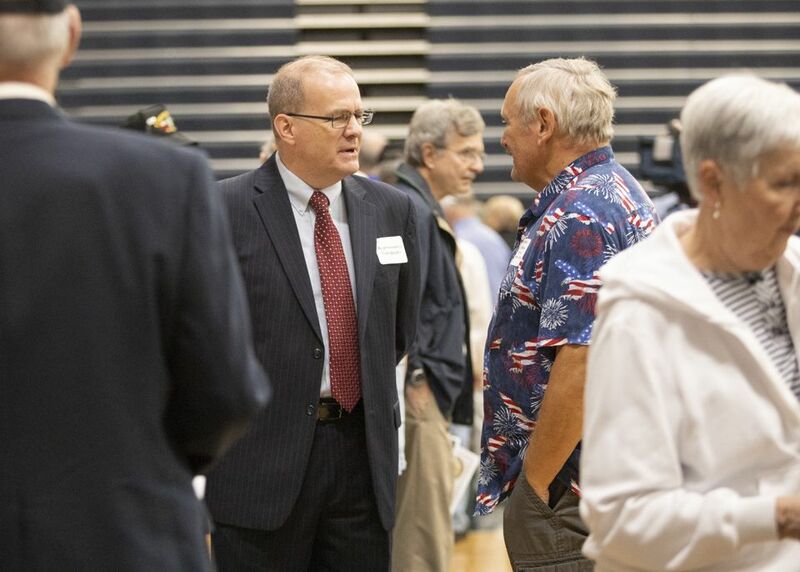 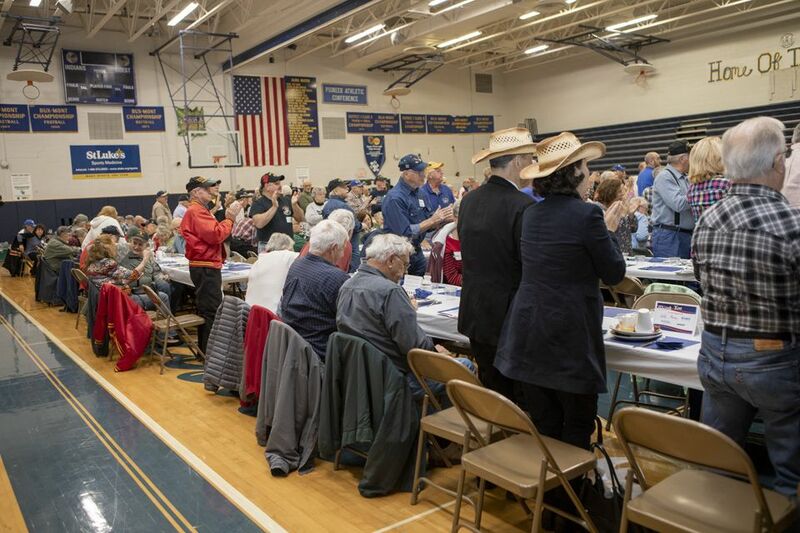 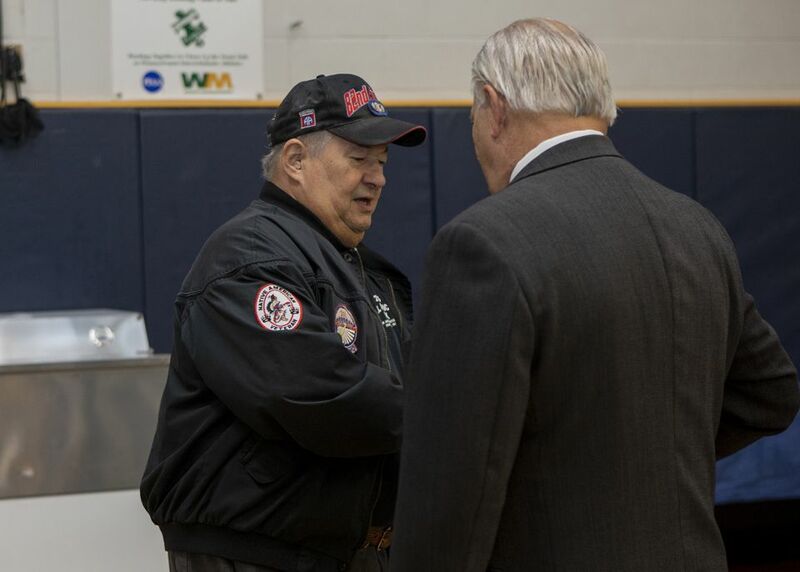 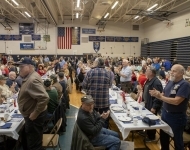 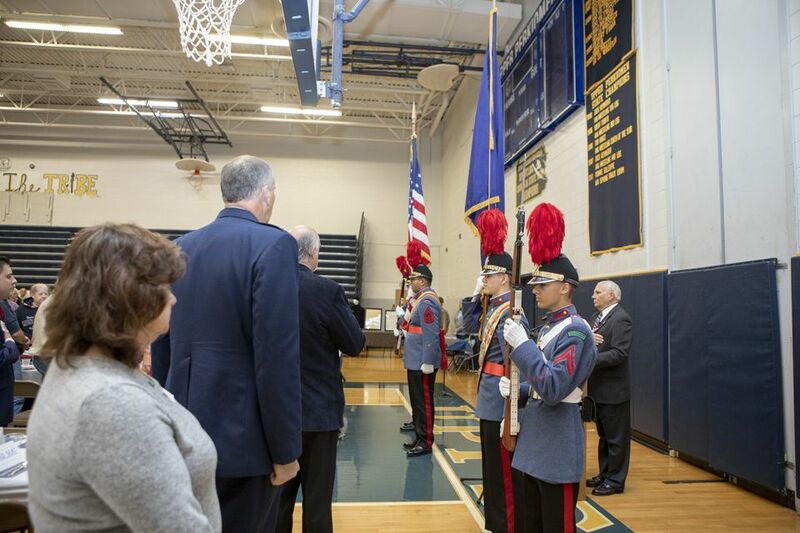 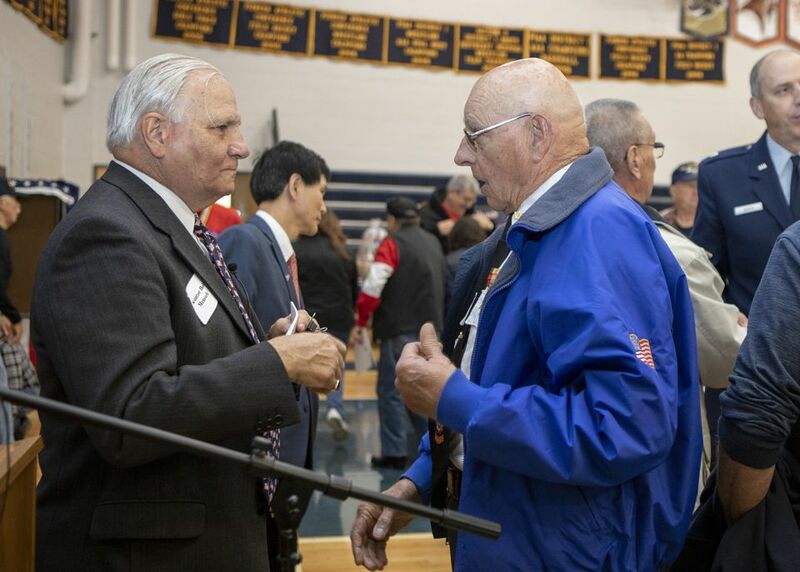 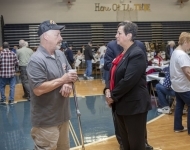 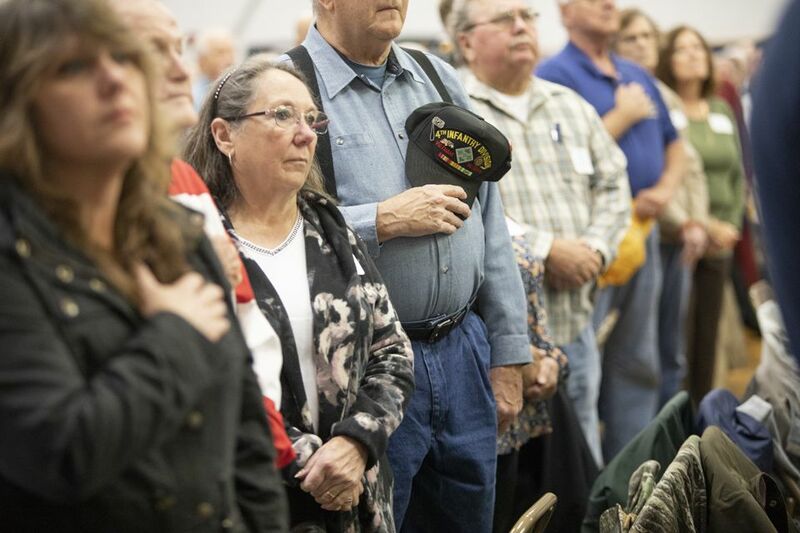 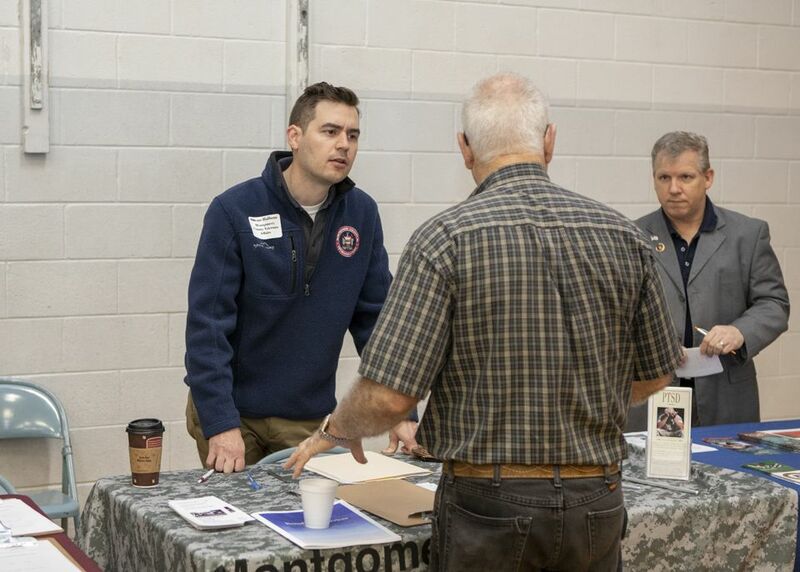 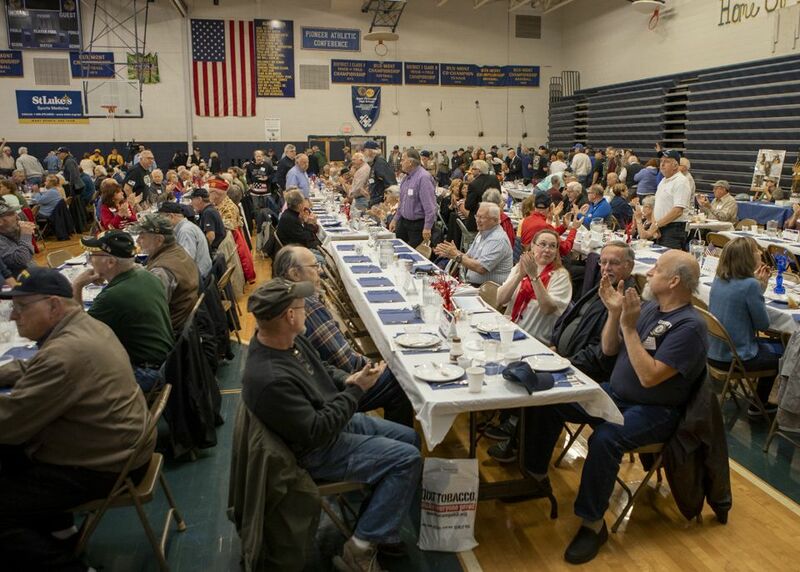 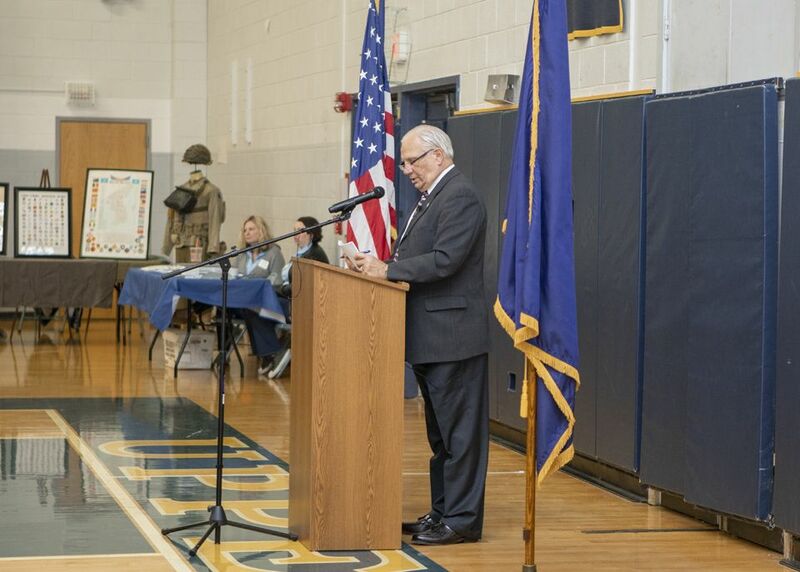 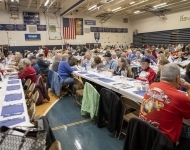 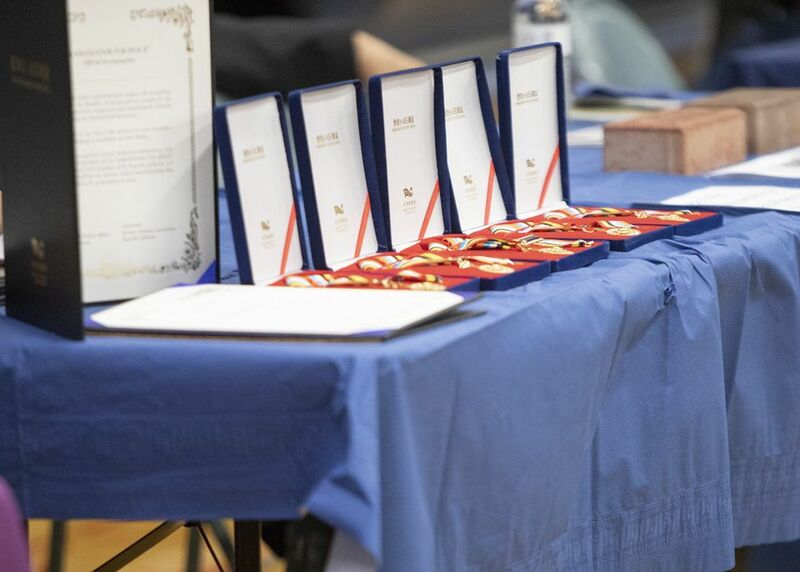 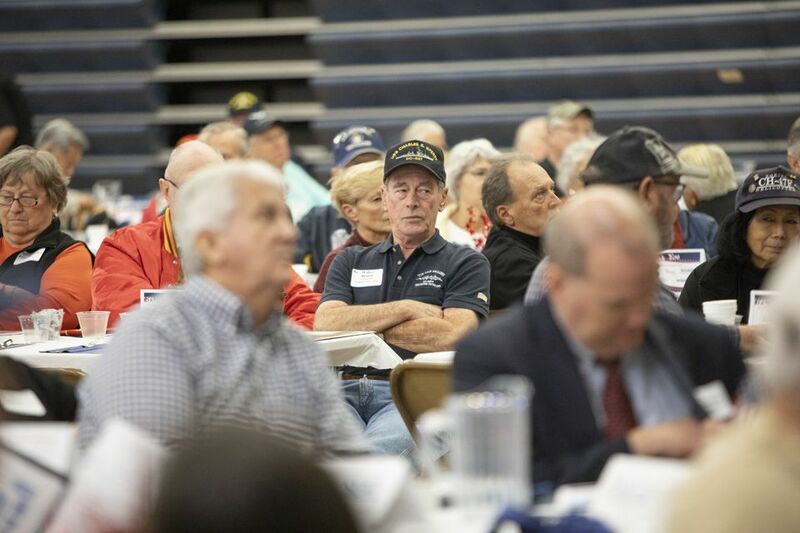 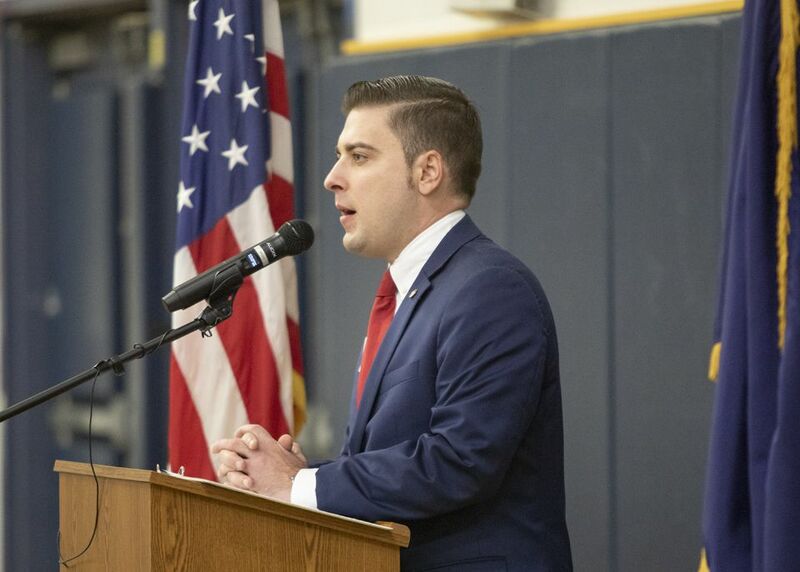 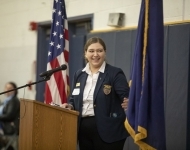 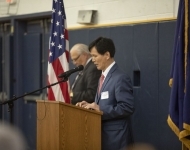 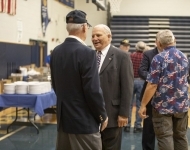 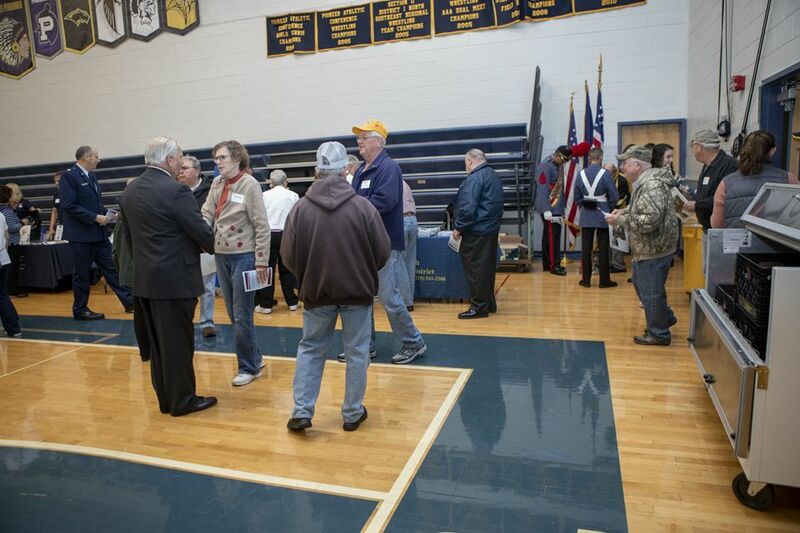 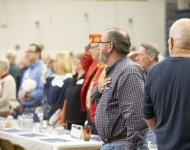 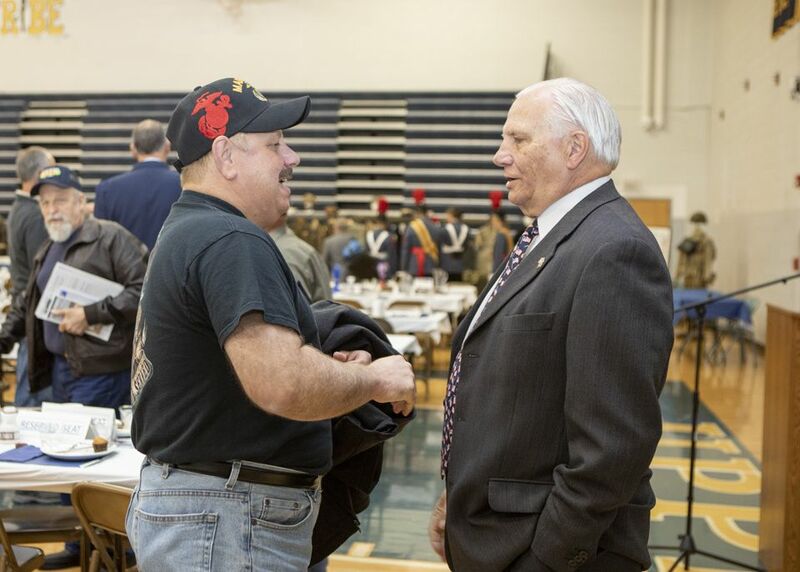 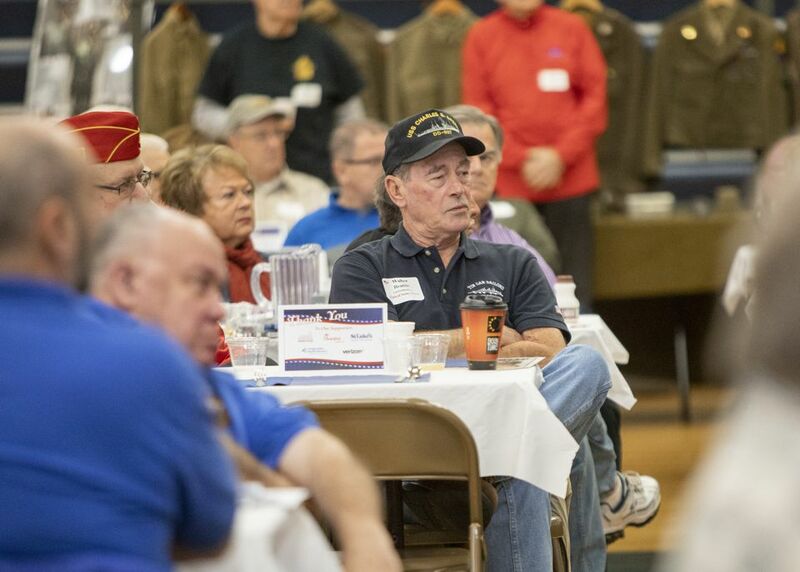 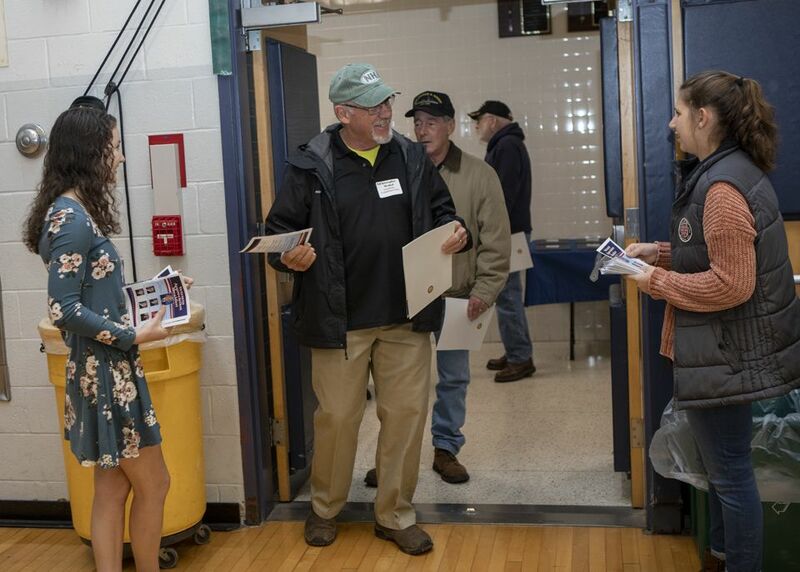 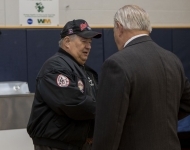 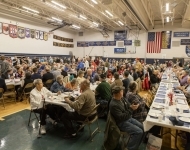 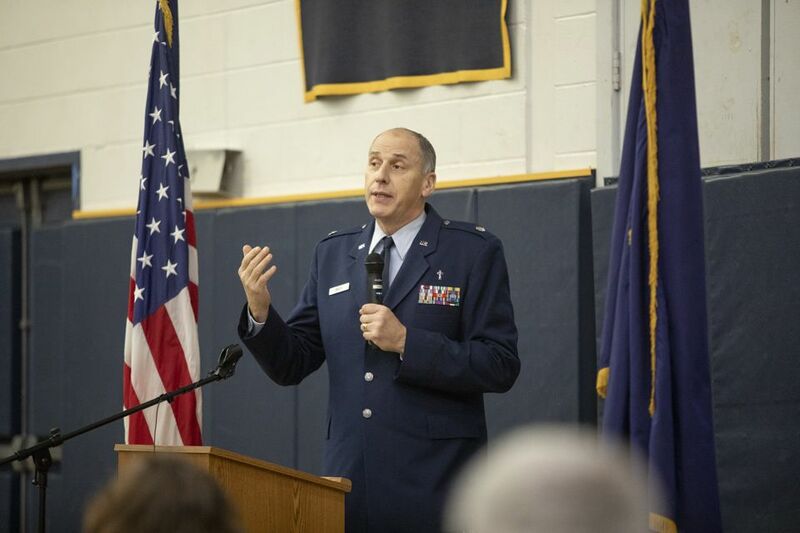 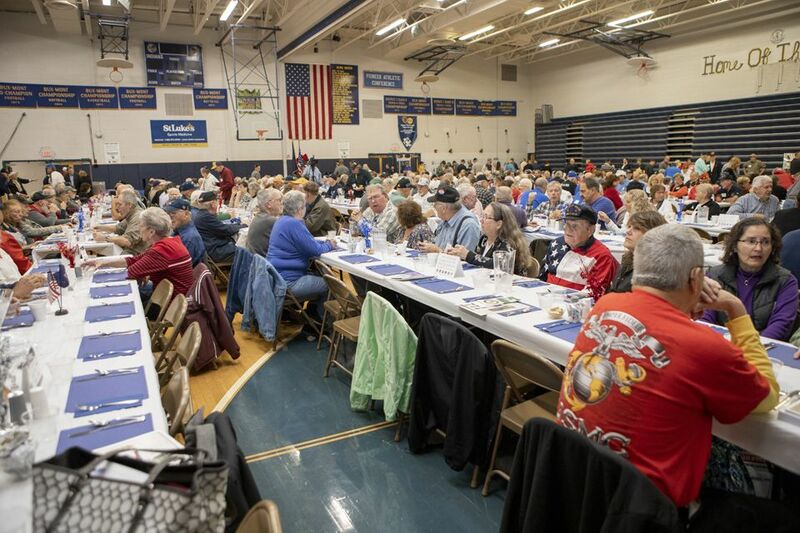 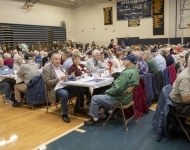 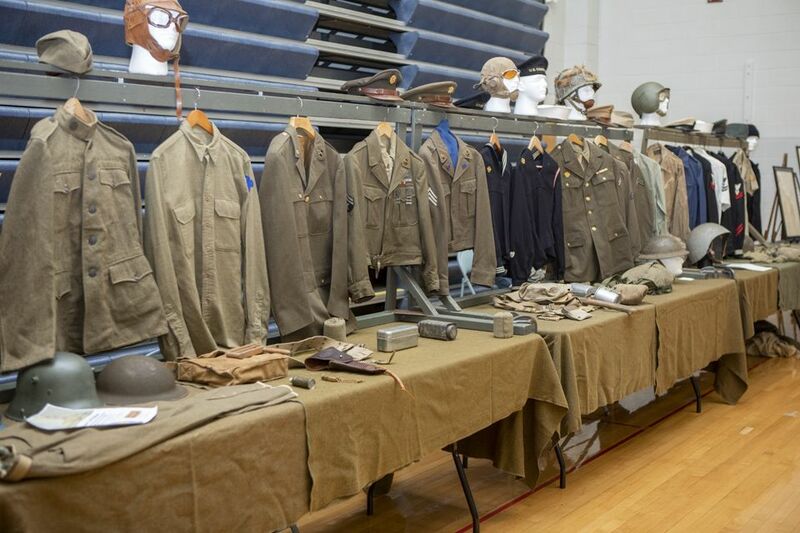 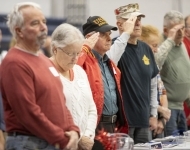 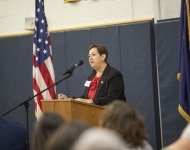 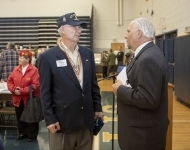 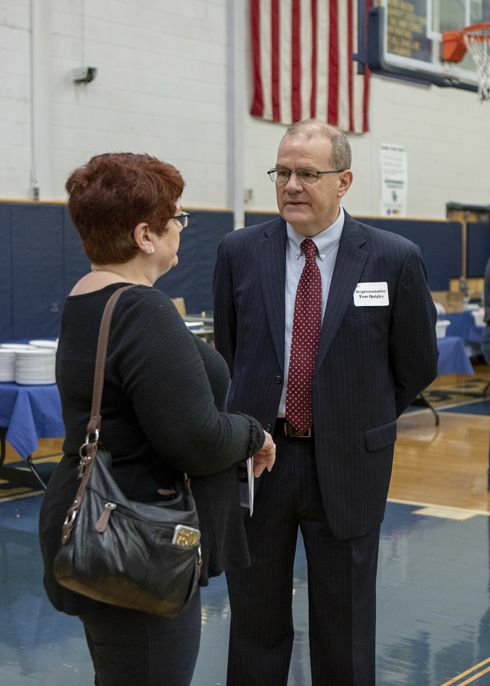 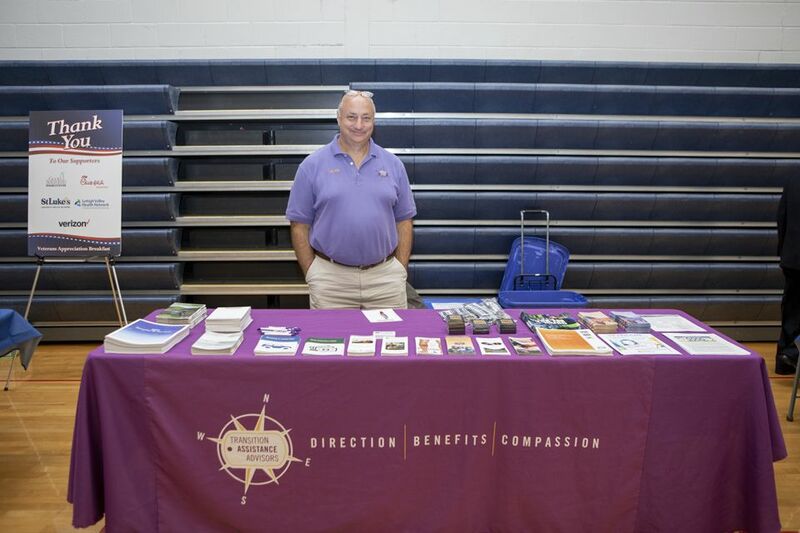 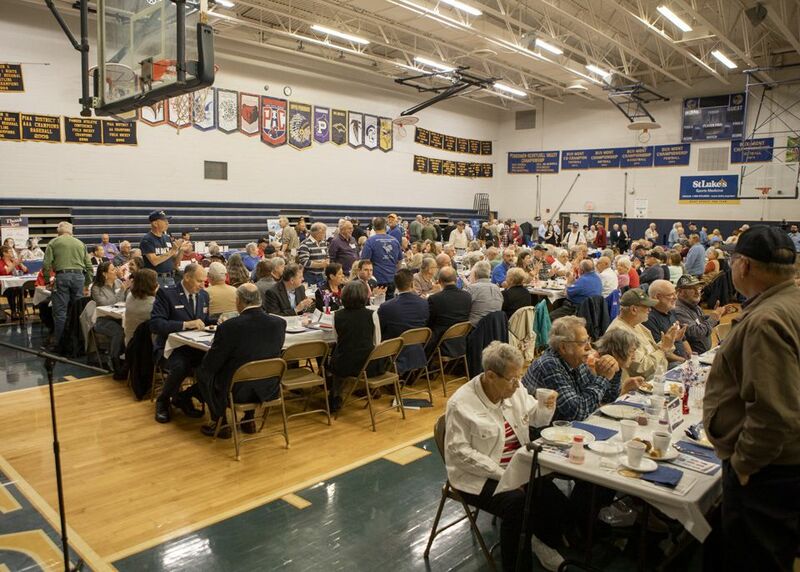 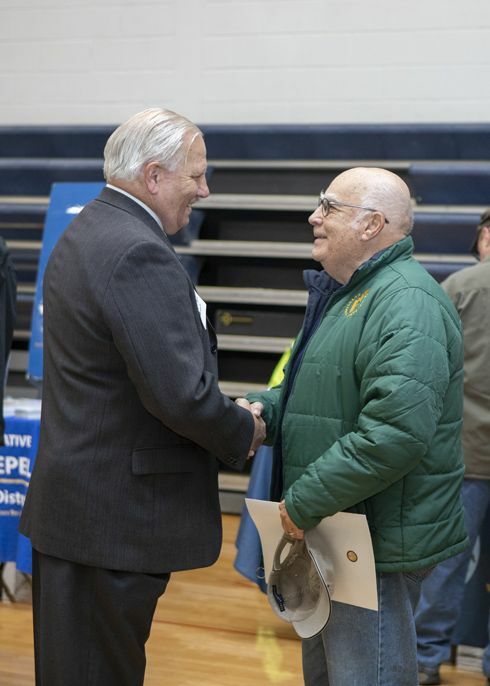 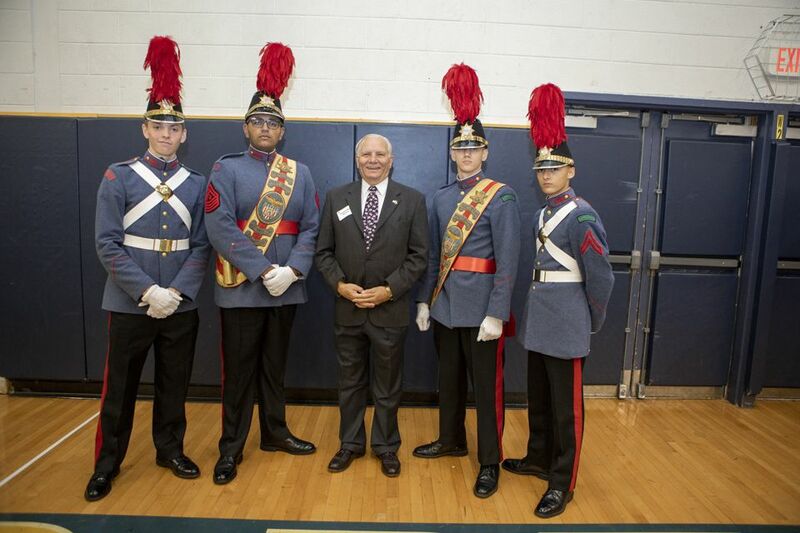 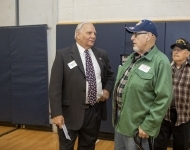 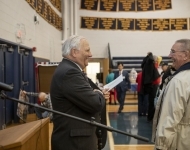 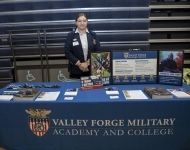 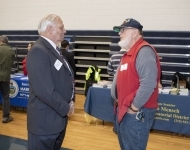 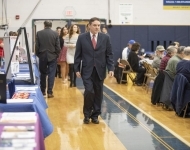 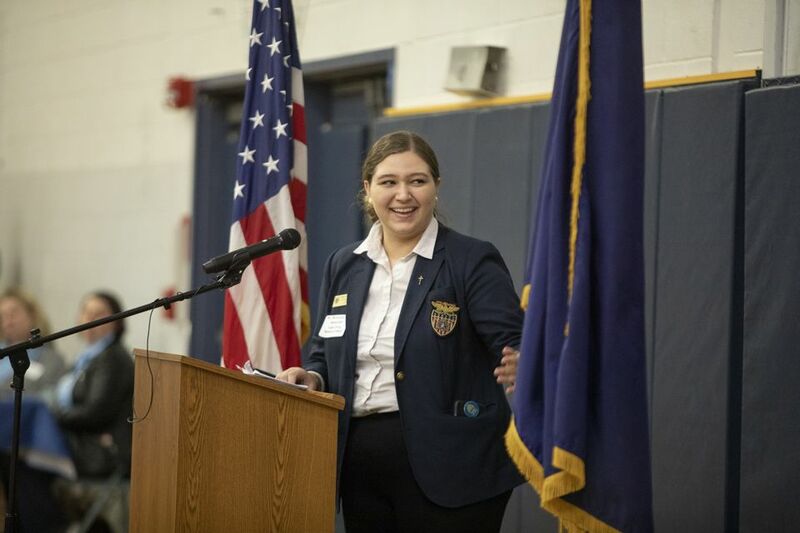 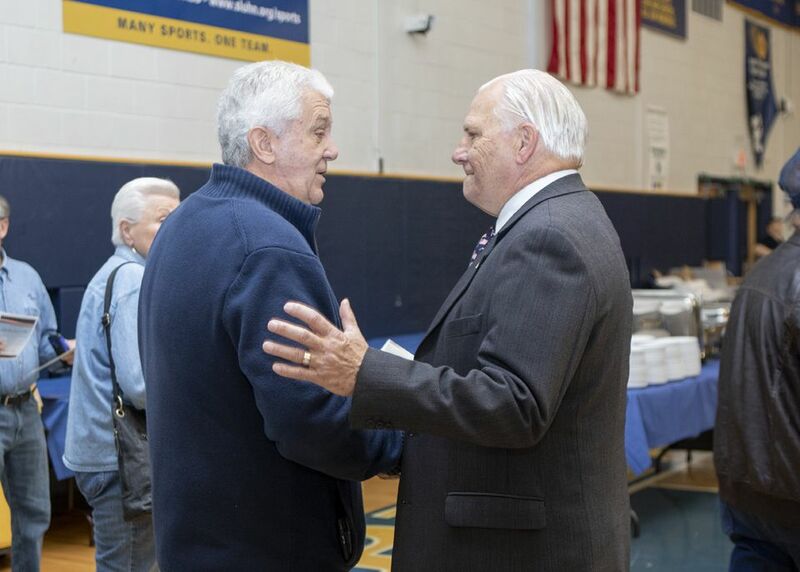 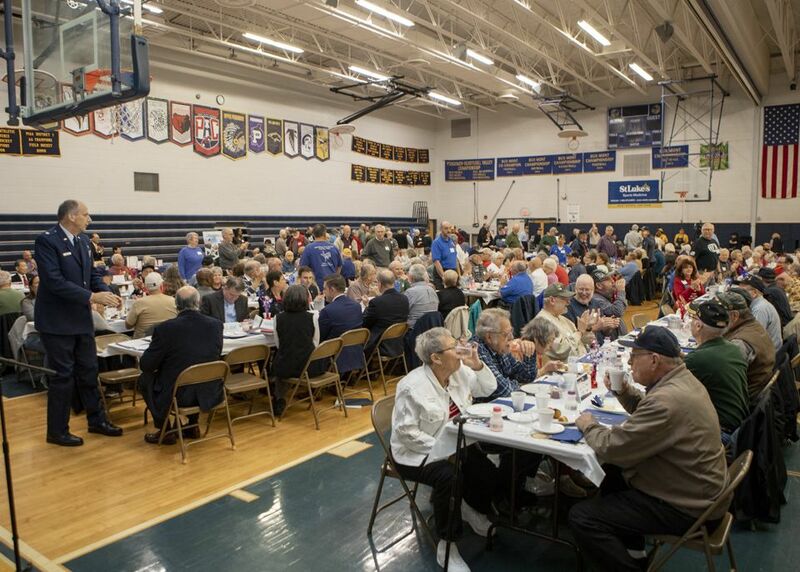 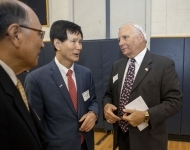 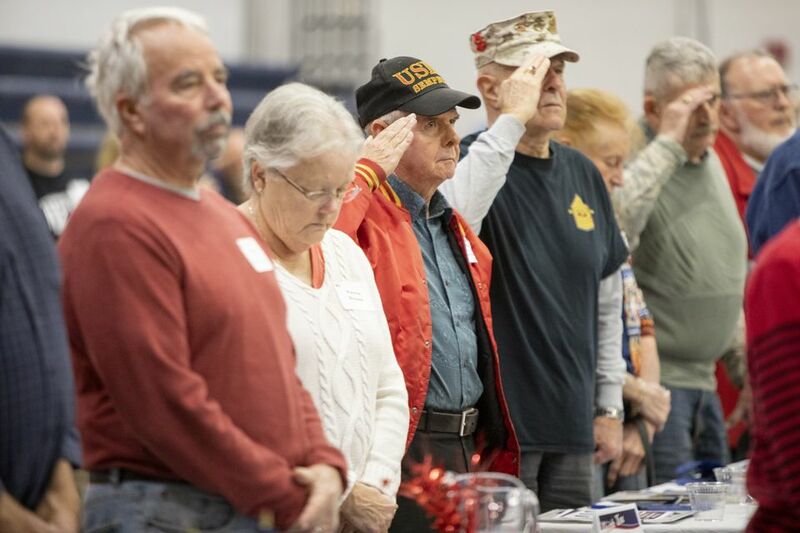 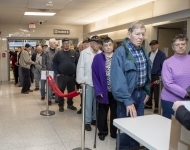 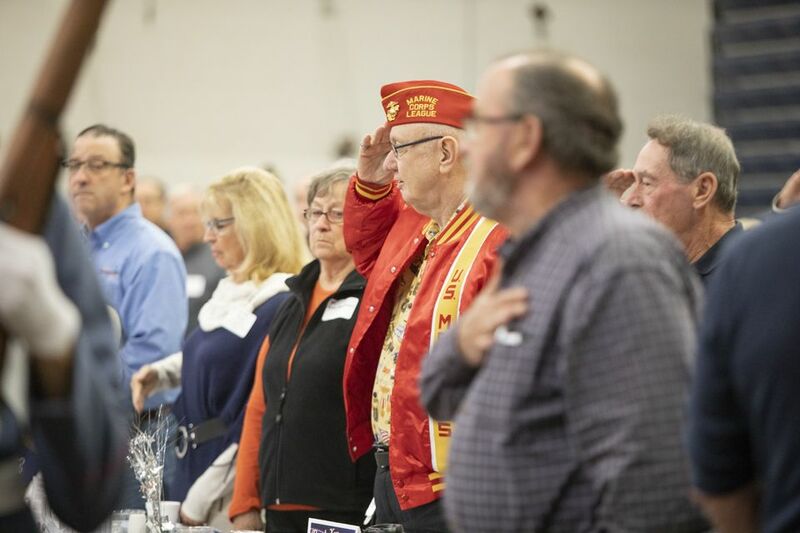 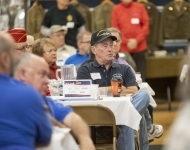 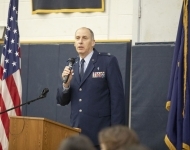 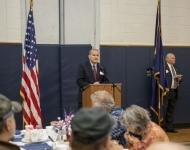 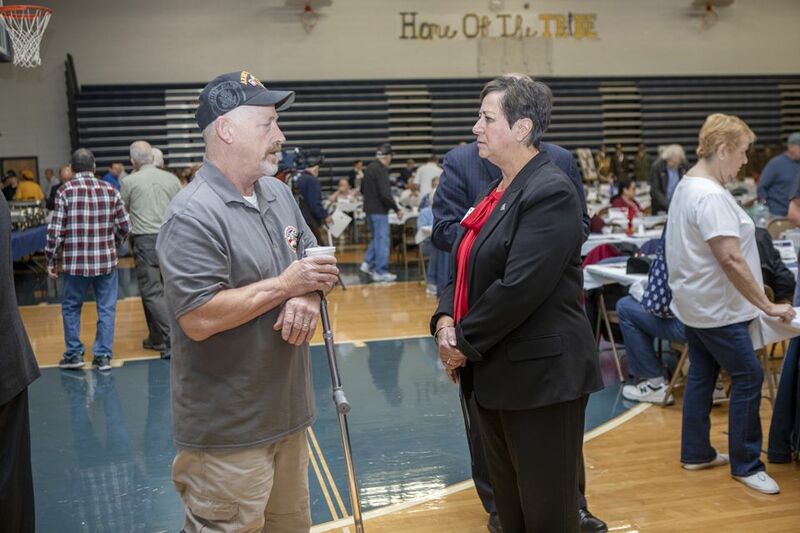 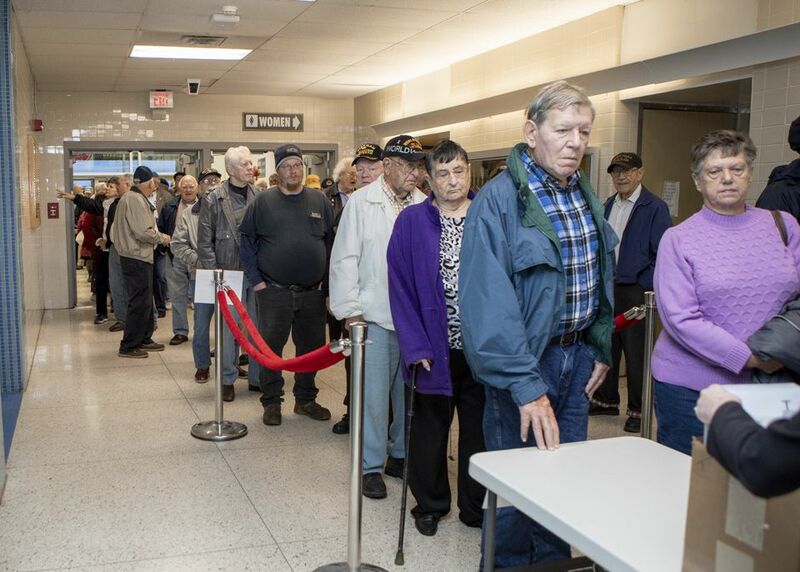 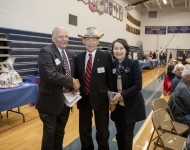 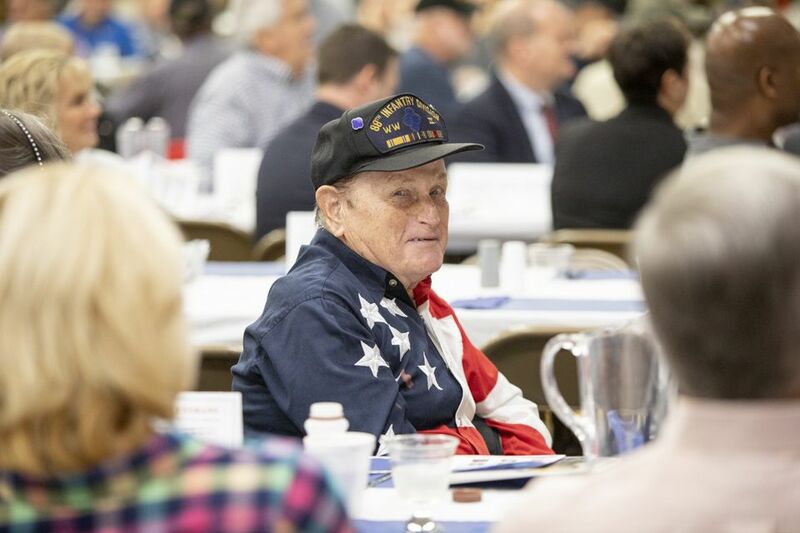 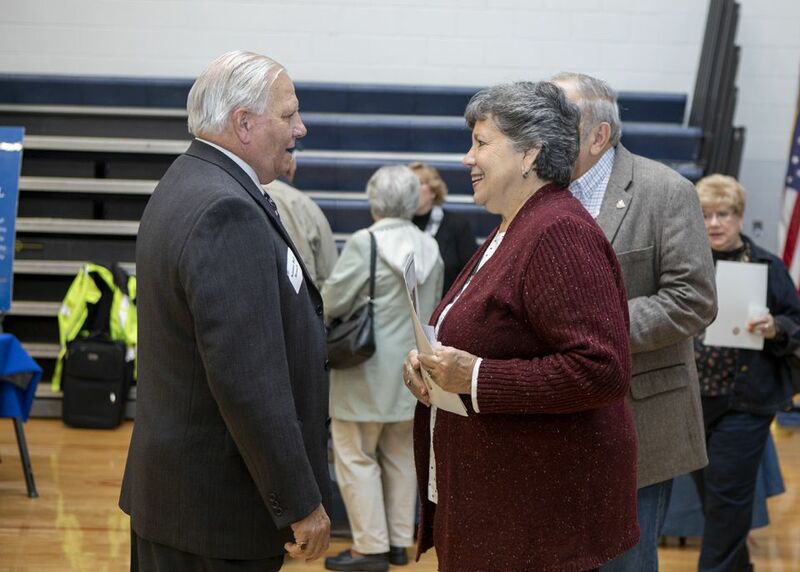 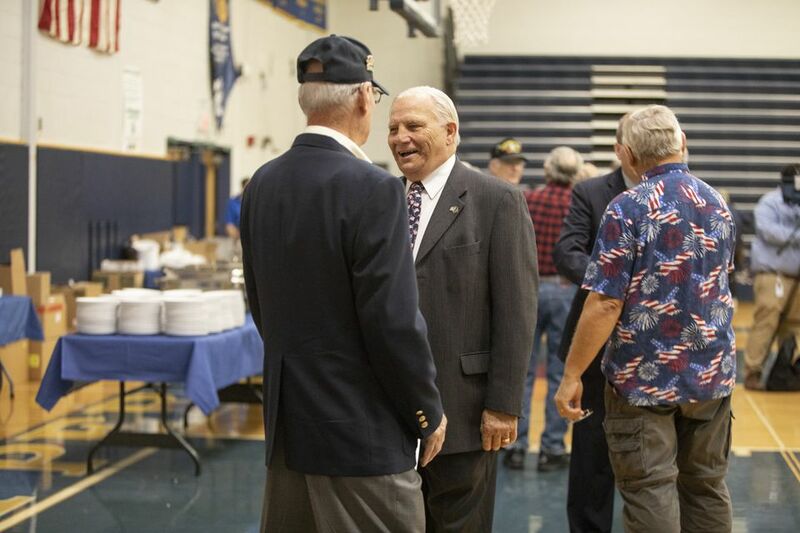 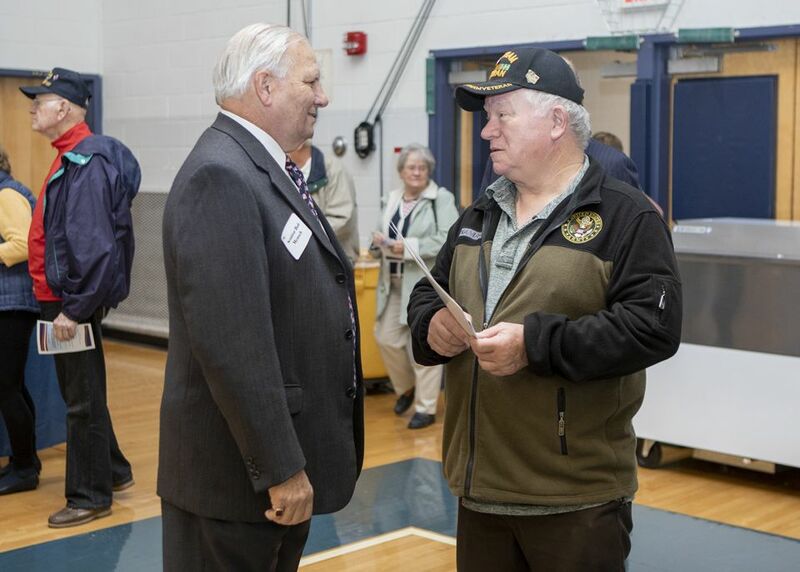 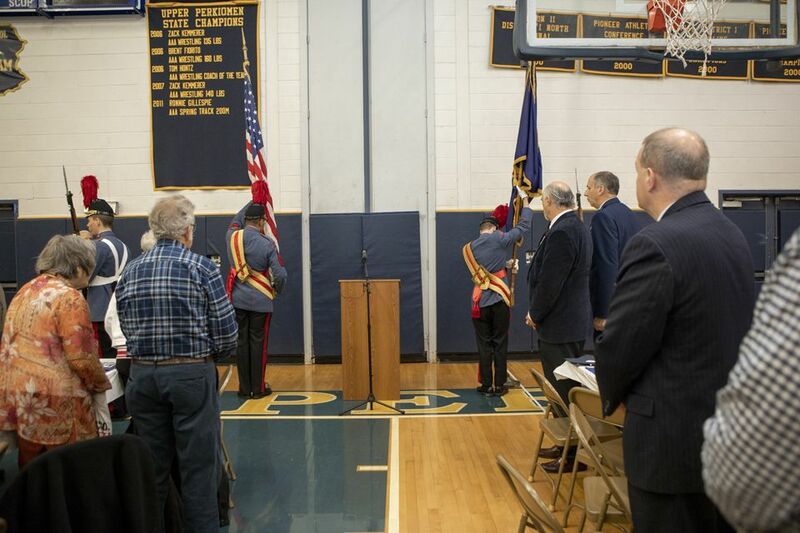 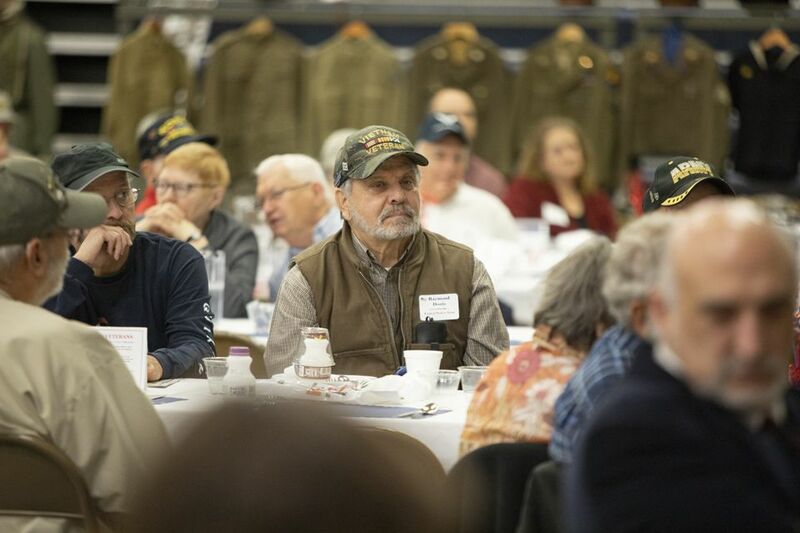 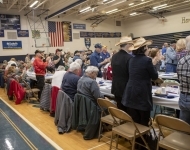 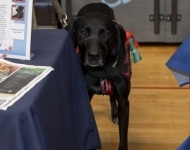 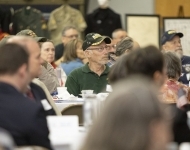 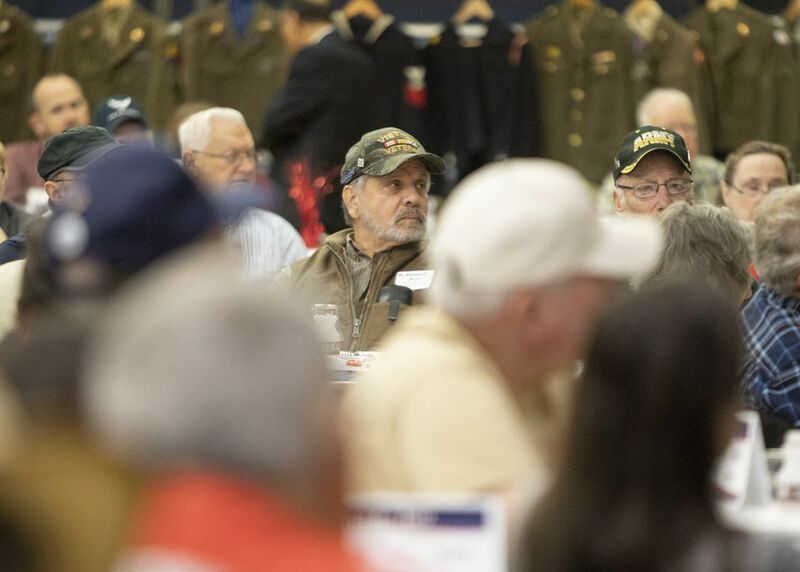 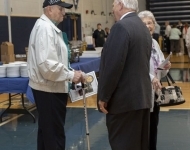 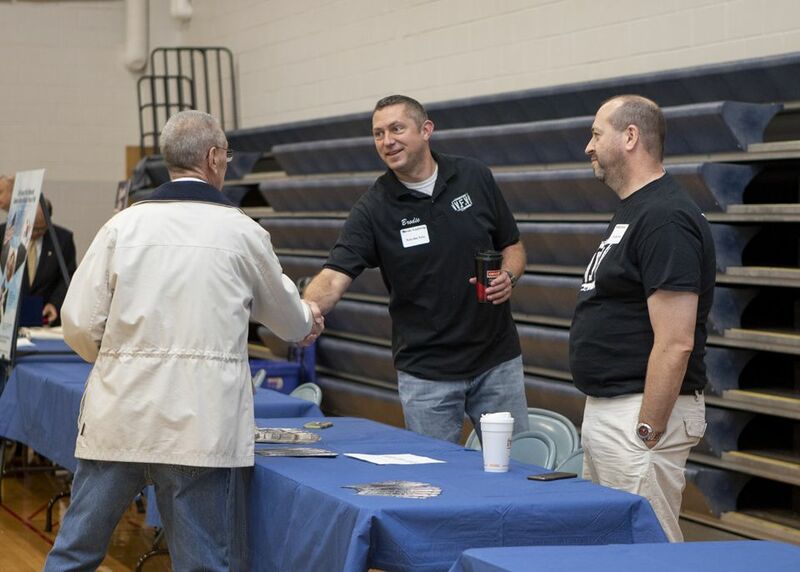 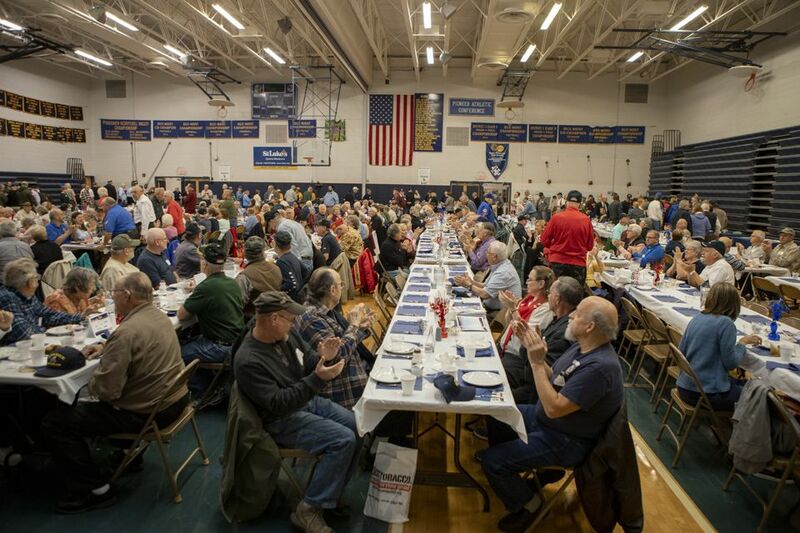 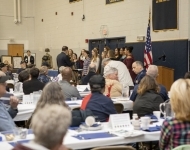 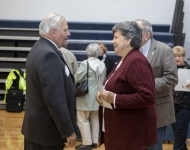 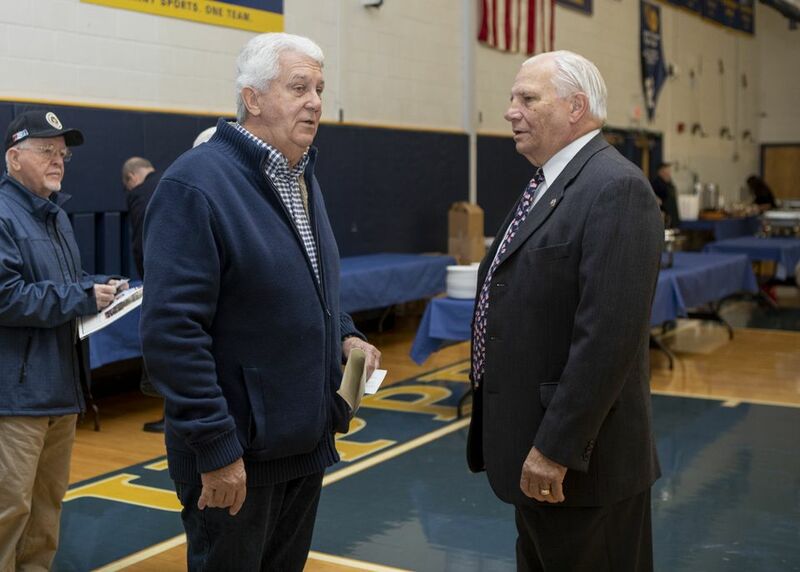 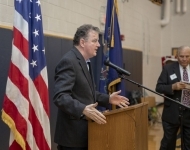 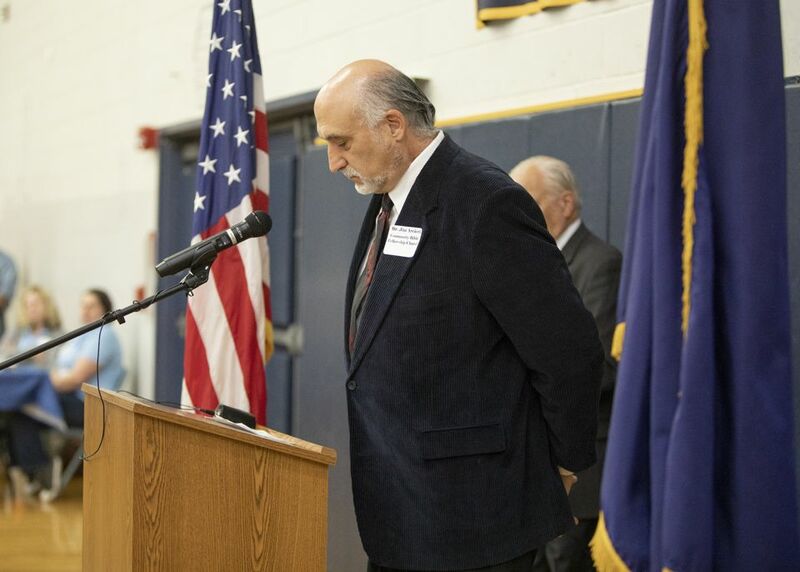 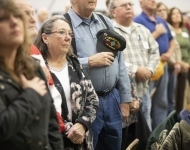 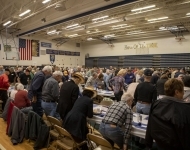 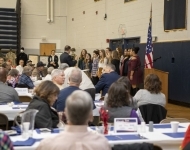 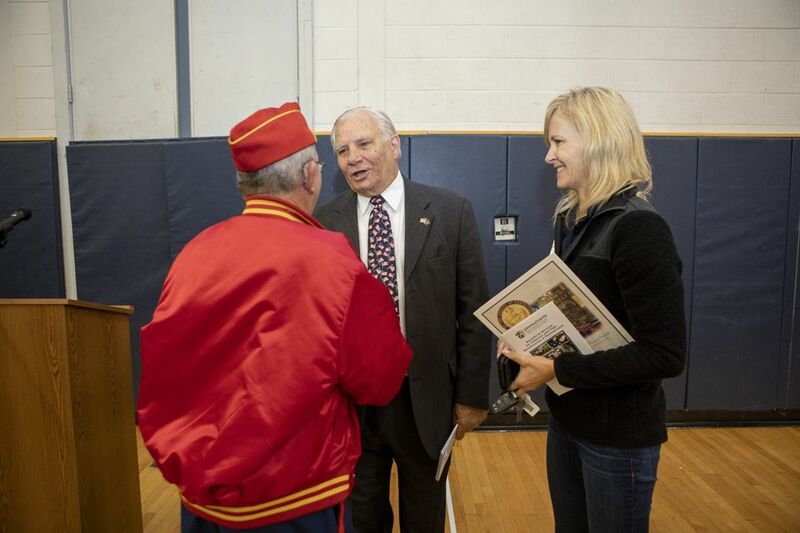 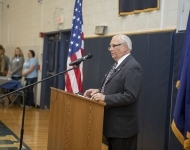 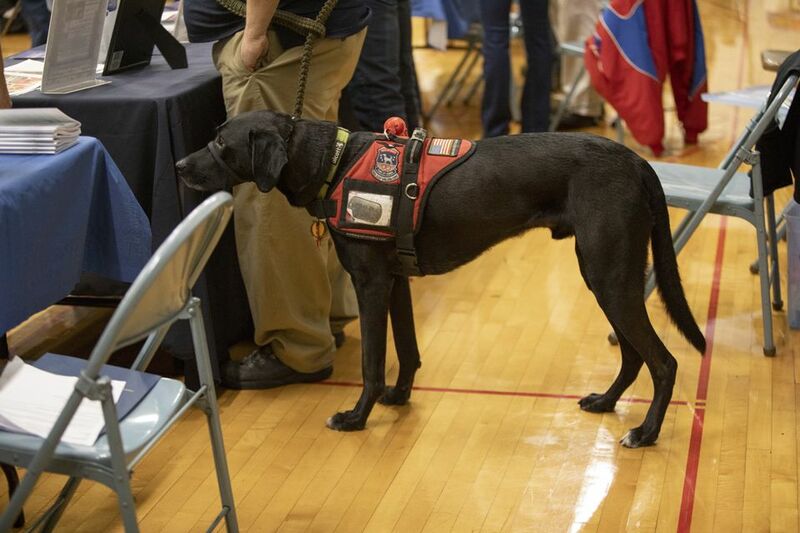 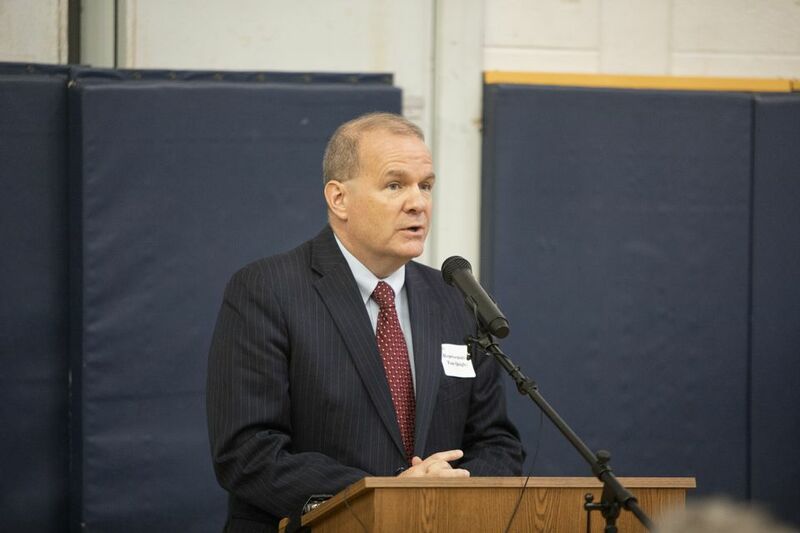 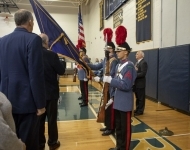 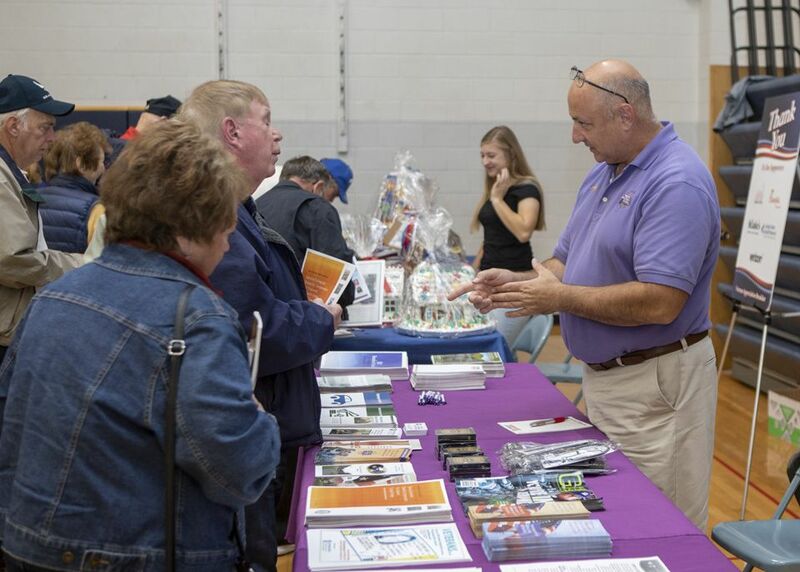 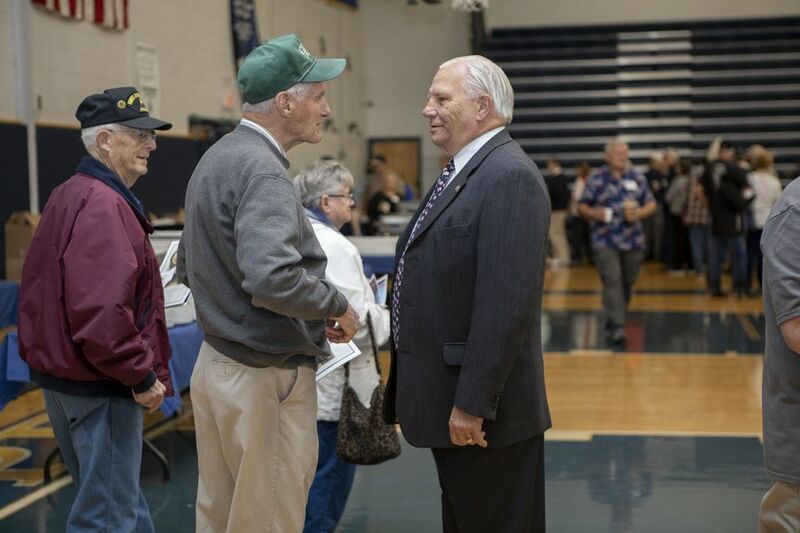 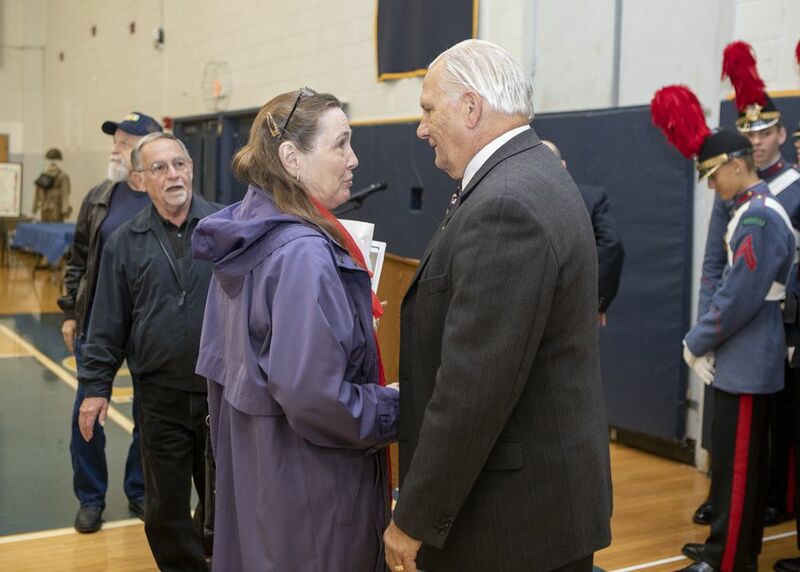 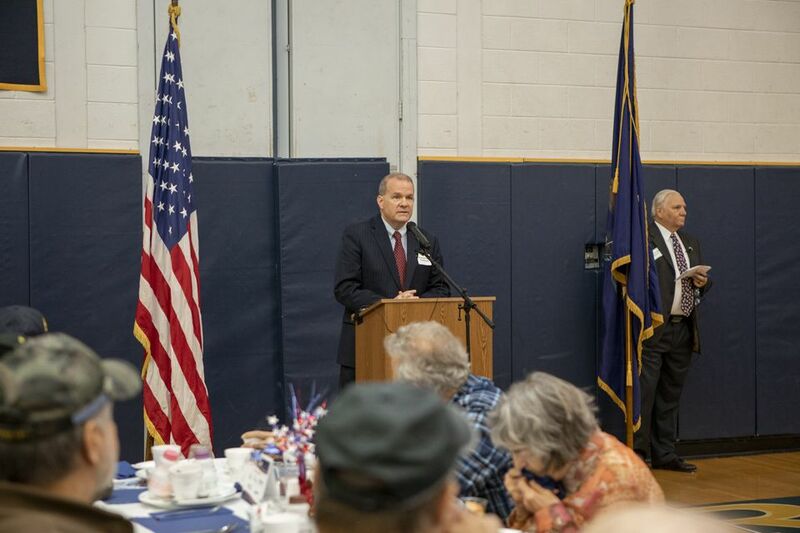 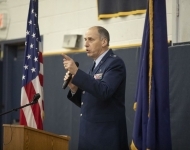 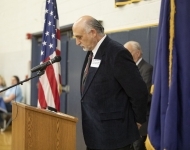 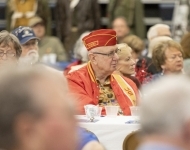 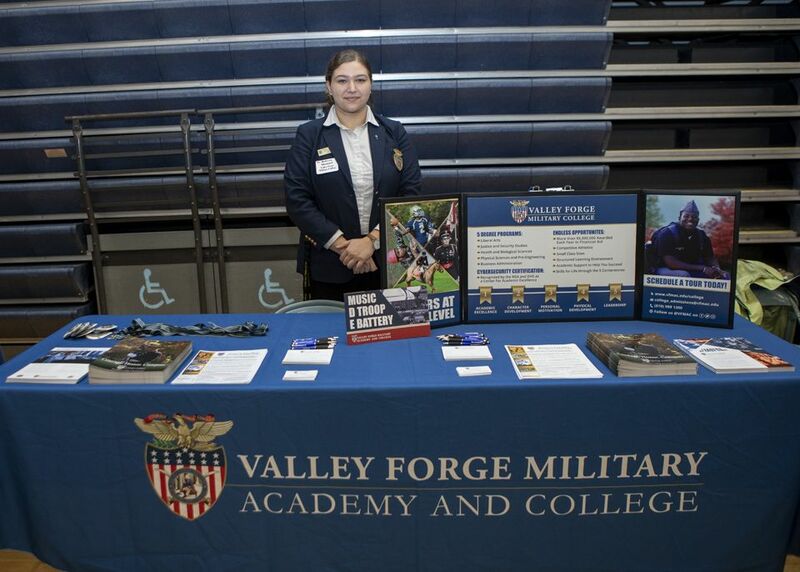 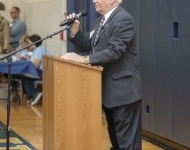 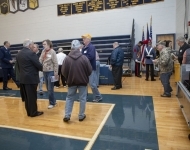 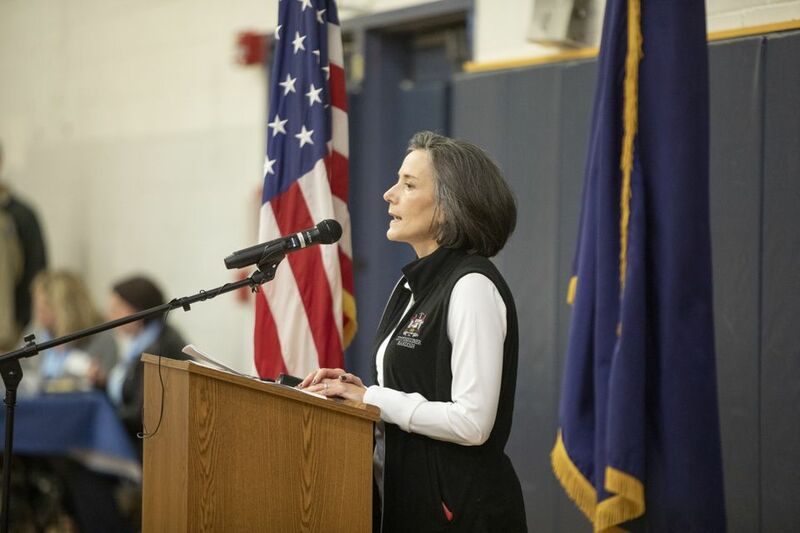 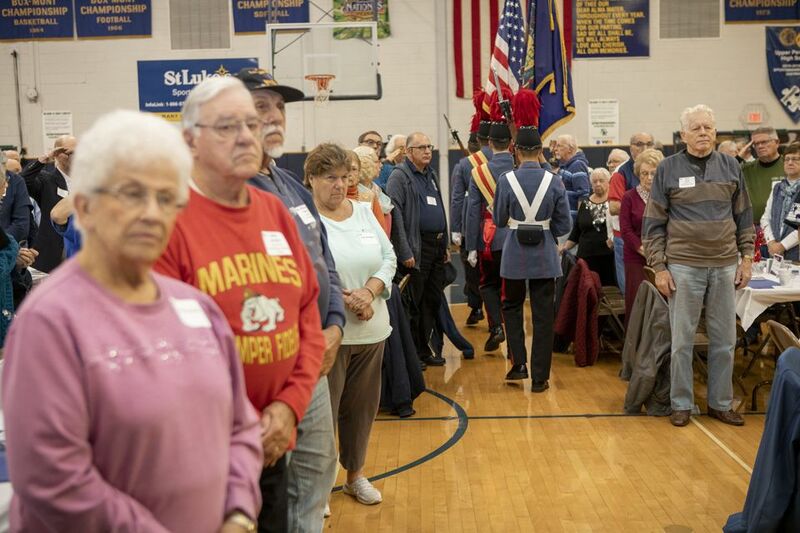 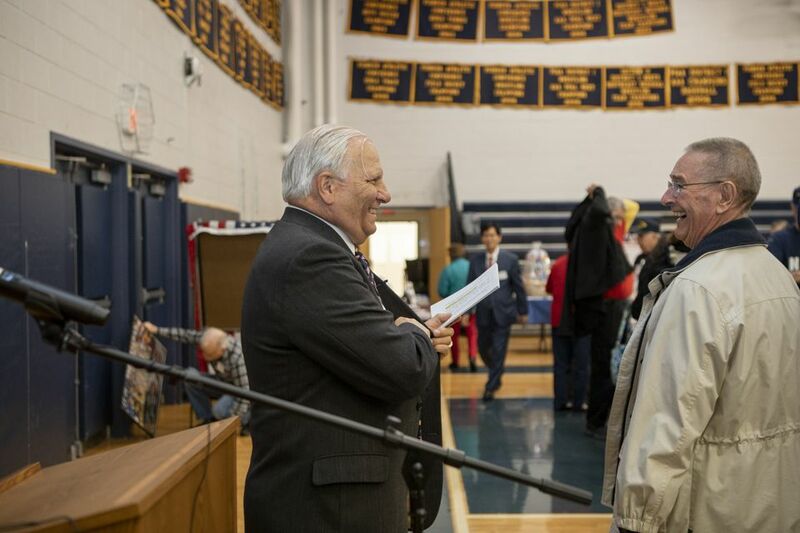 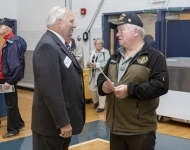 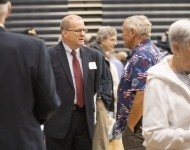 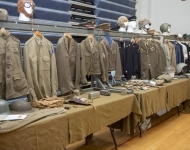 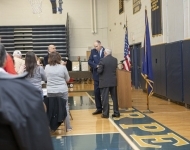 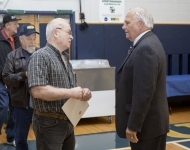 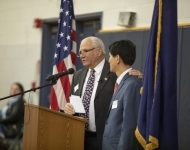 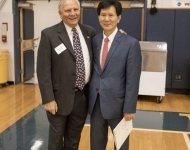 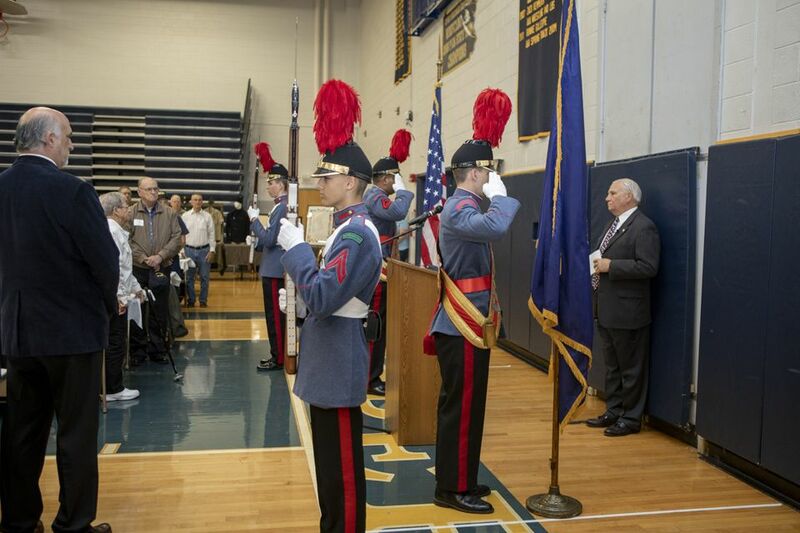 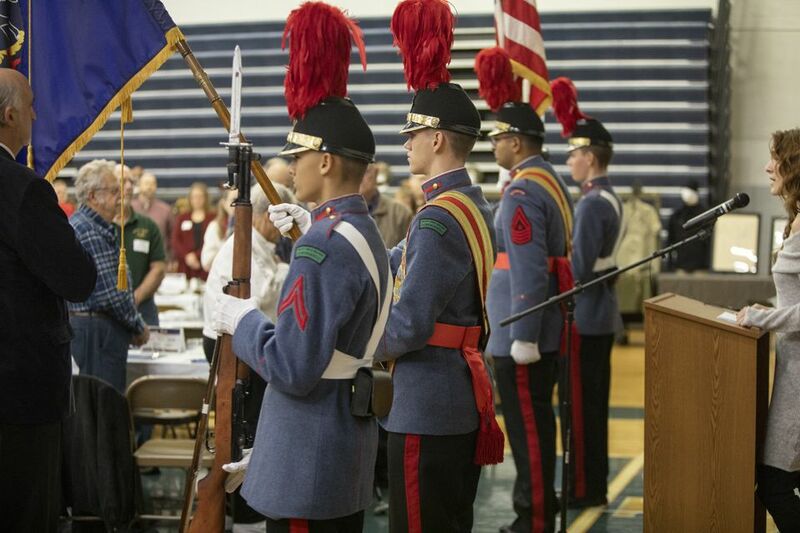 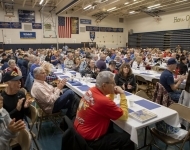 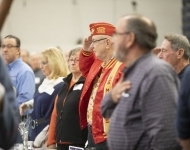 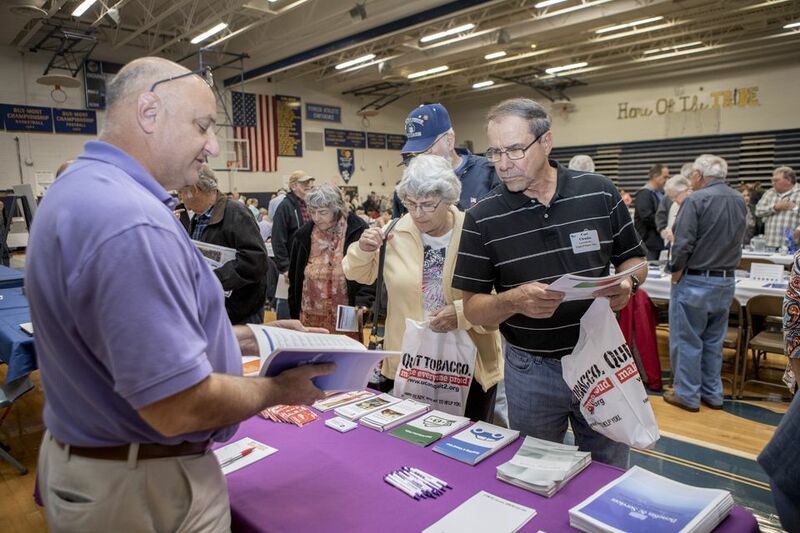 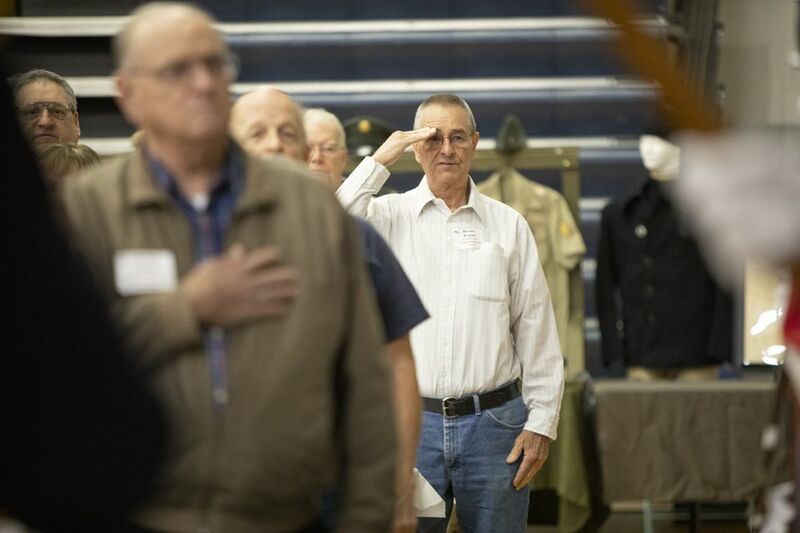 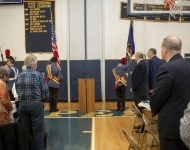 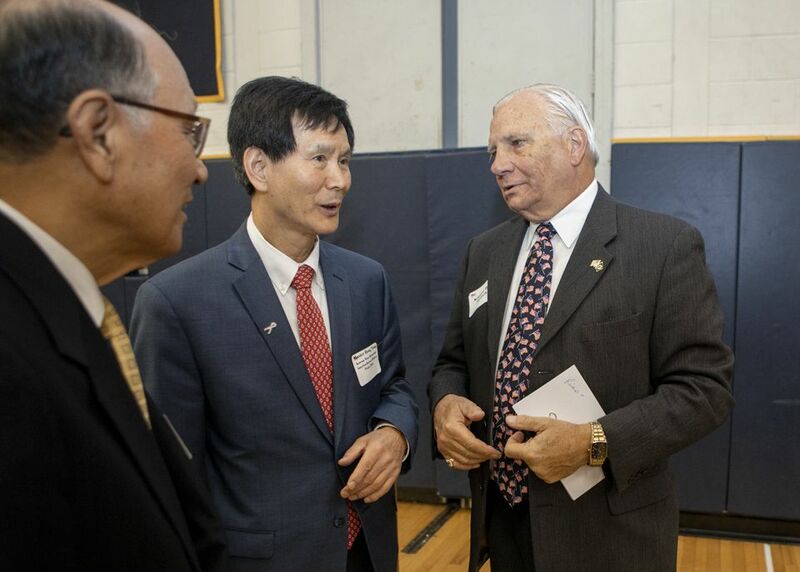 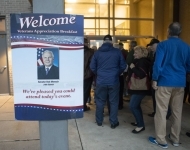 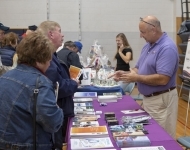 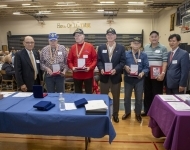 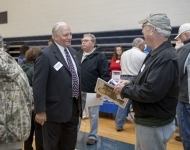 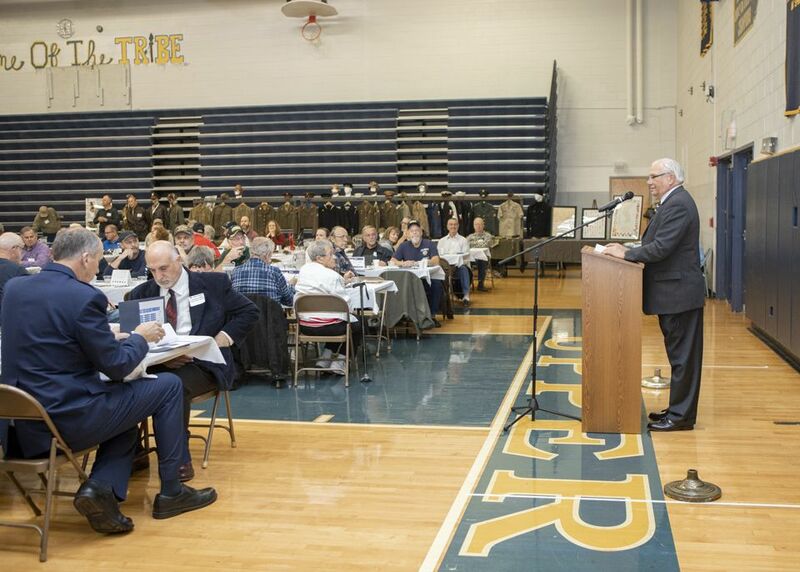 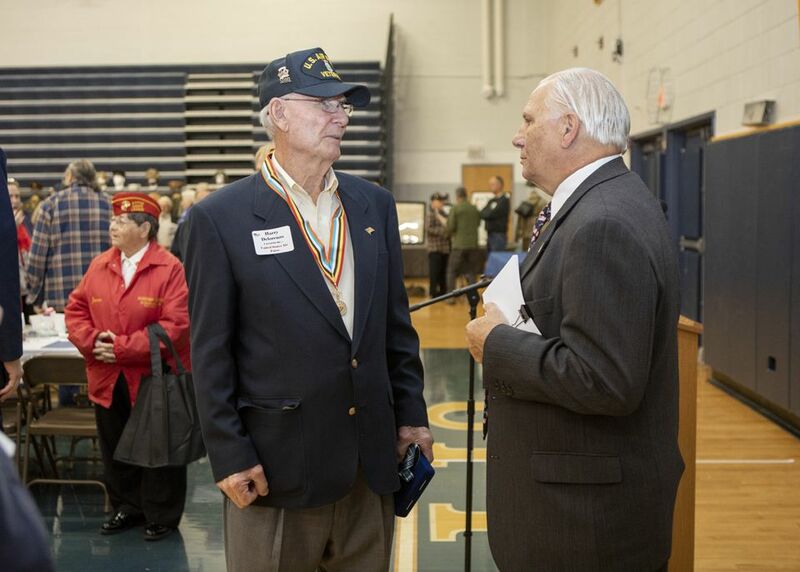 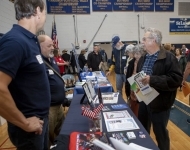 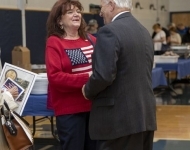 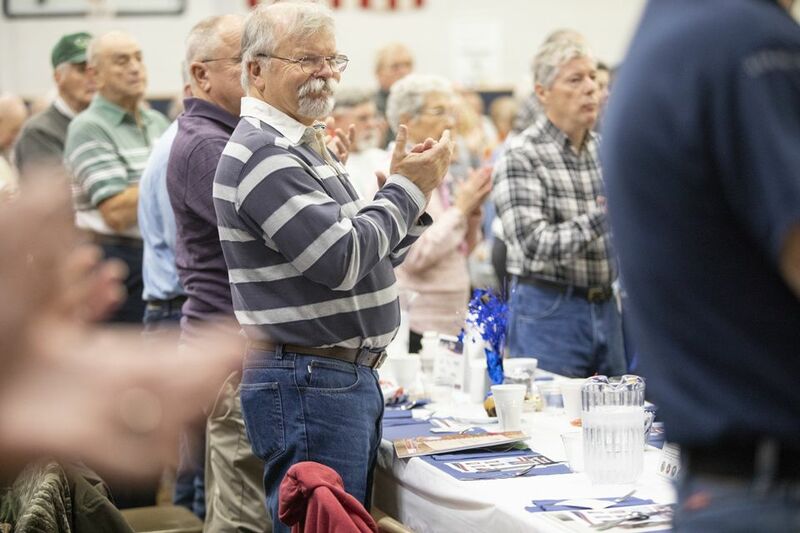 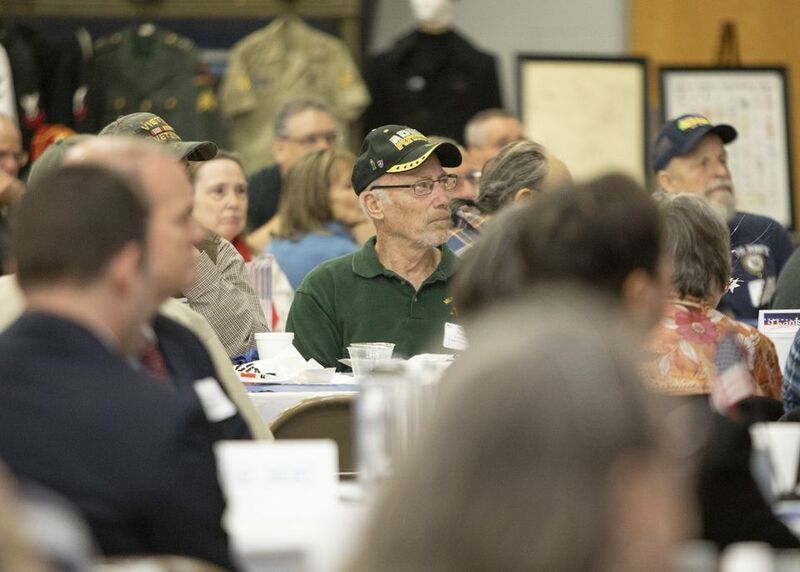 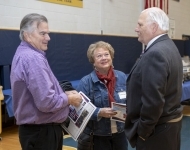 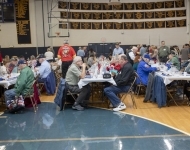 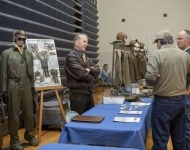 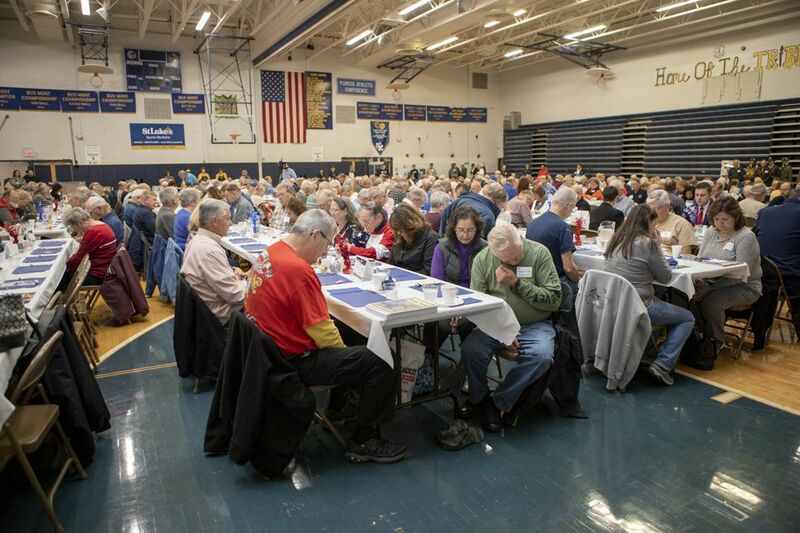 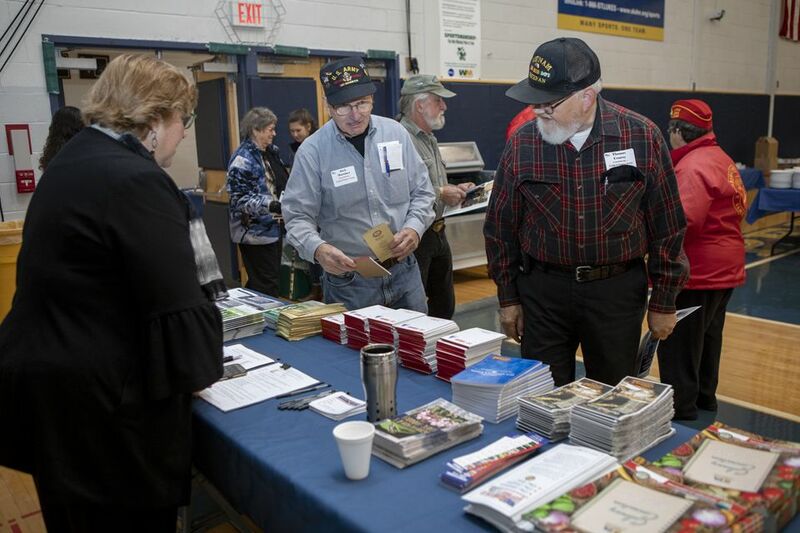 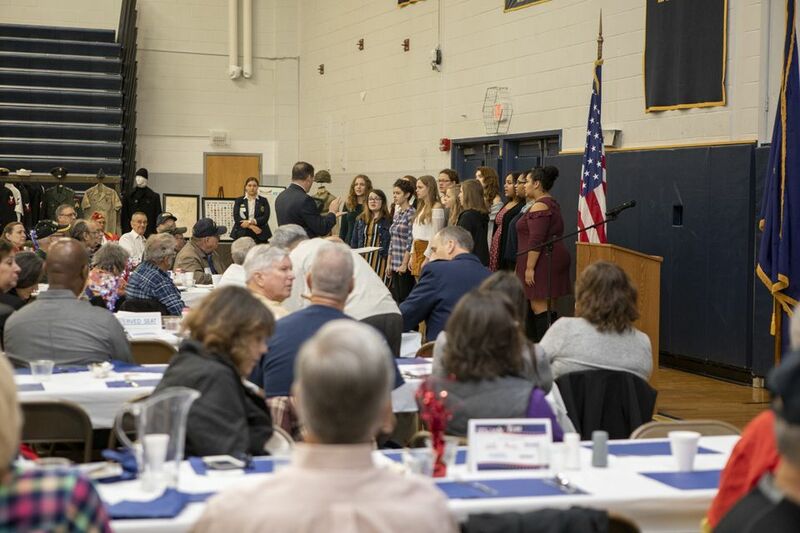 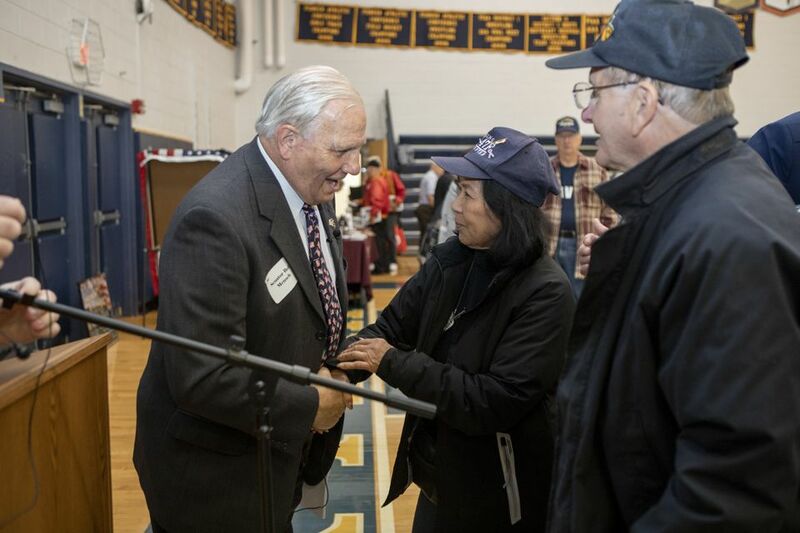 Over four hundred and fifty veterans and their families attended Senator Mensch’s seventh annual Veterans Appreciation Breakfast on November 3, 2018. 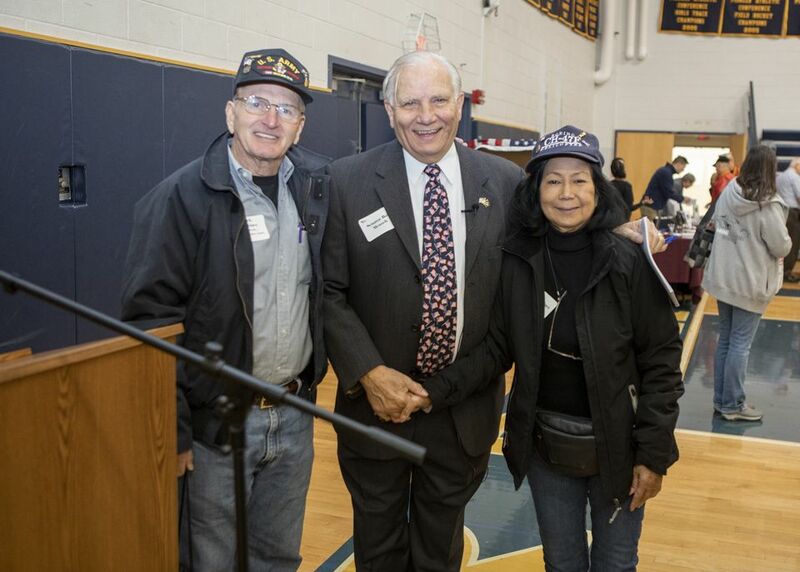 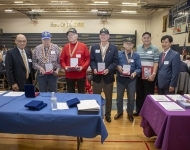 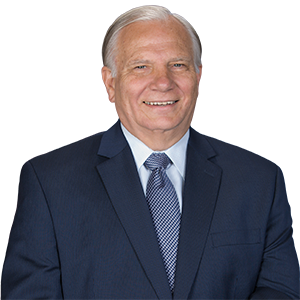 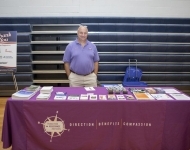 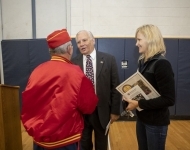 Senator Mensch’s goal and mission has always been to personally thank the dedicated veterans for their service and sacrifice that they made for our country. 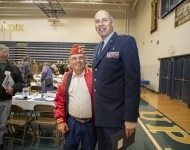 Senator Mensch thanks Chaplain Lt. Col John Groth, Former U.S. 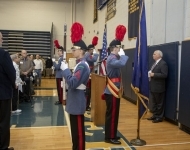 Congressman Michael Fitzpatrick, State Representative Tom Quigley, State Representative Marcy Toepel, State Representative Ryan Mackenzie, State Representative Justin Simmons, Montgomery County Commissioner Dr. Valerie Arkoosh, Dr. Jim Arcieri, the VFMC Color Guard, the Upper Perkiomen High School Women’s Choir, Veterans Brotherhood, Bucks County Department of Military and Veterans Affairs, Bucks County Recorder of Deeds, Montgomery County Veterans Affairs, PA Department of Military and Veterans Affairs, Greater PA Military Vehicle Historical Society, Montgomery County Recorder of Deeds, Montgomery County Vet Center, PA National Guard Transition Assistance Program, Tails of Valor, Paws of Honor Program, Inc., The Korean War Memorial America-Korea Alliance Peace Park, TRIO Veterans Upward Bound – University of Pennsylvania, Valley Forge Military College, and Vets for Vets for being a part of this memorable event.